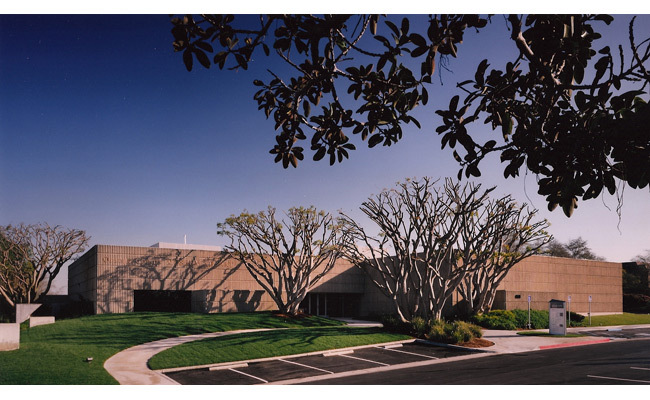 The Orange County Museum of Art, formerly the Newport harbor Art Museum, presented a difficult series of challenges. 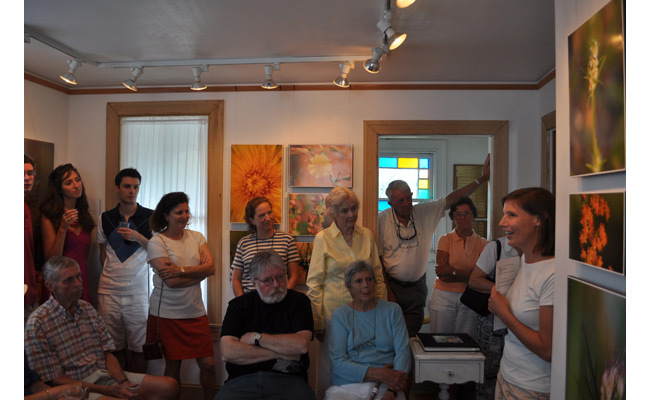 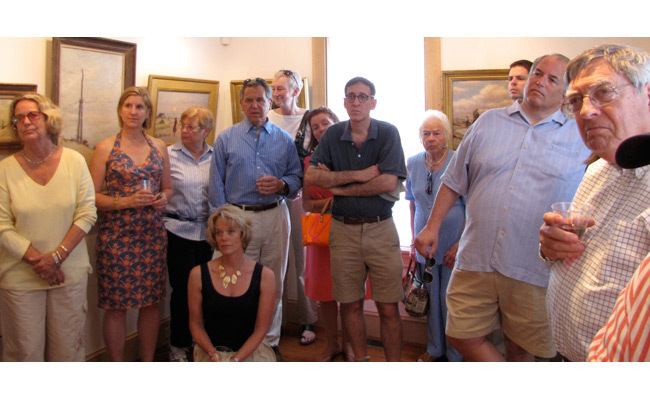 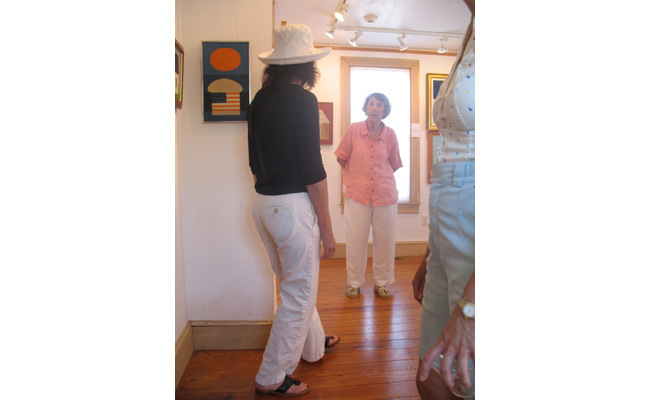 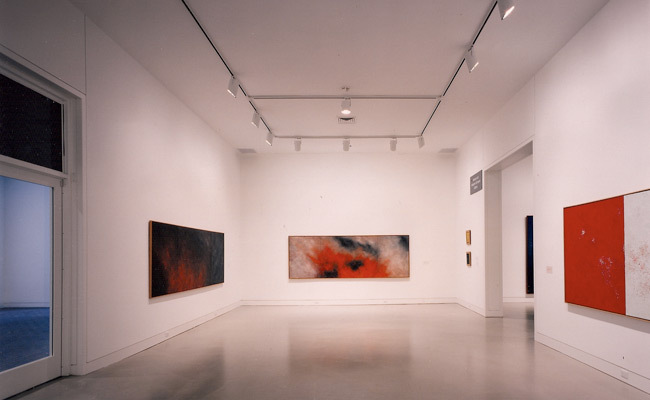 The core of the program is devoted to a wide ranging inquiry into contemporary art. 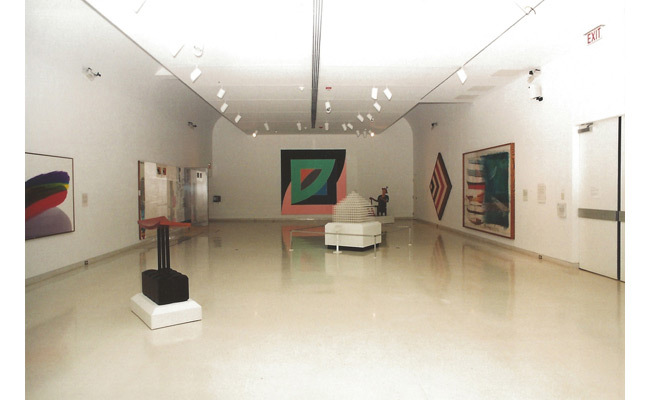 Large scale installations, and large scale work are integral to the museums mission. 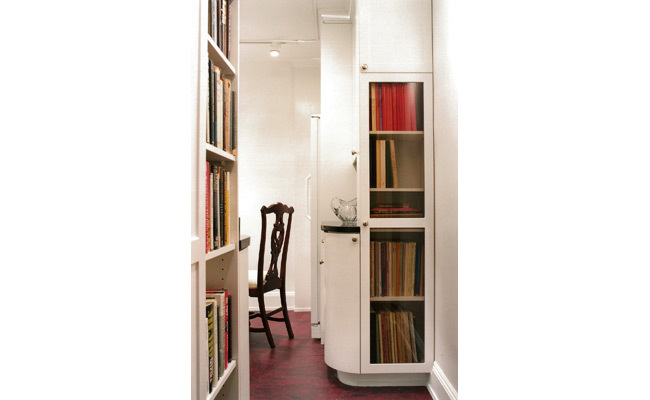 Most of this had previously been carried out in a large undefined space that provided great flexibility but at a high cost of effort and entirely without any aesthetic character. 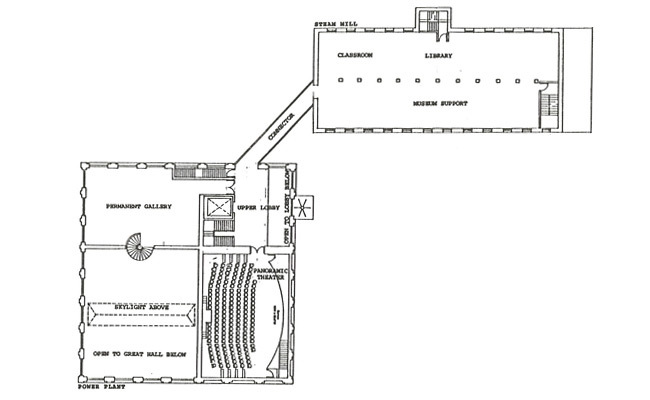 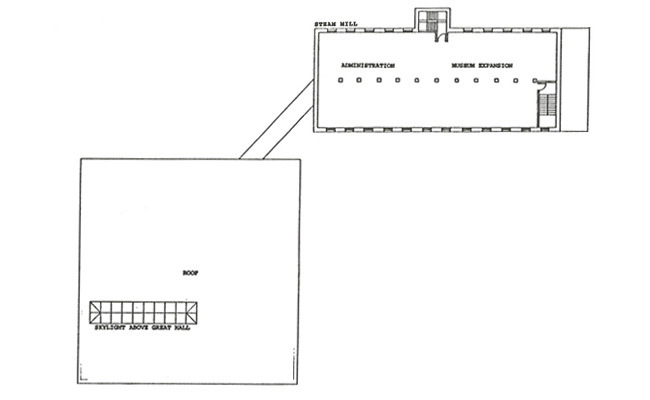 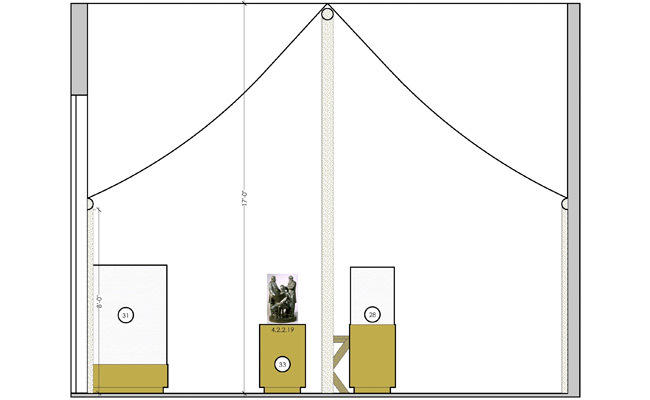 The solution involved moving all non exhibiting functions out of the main building into an adjacent and vacant Public Library Building and creating within the volume of the first building a sequence of spaces that could handle large scale work, coherent permanent collection presentations in a variety of scales and styles, and the most technically challenging installations that required the equivalent of a "black box" theater. 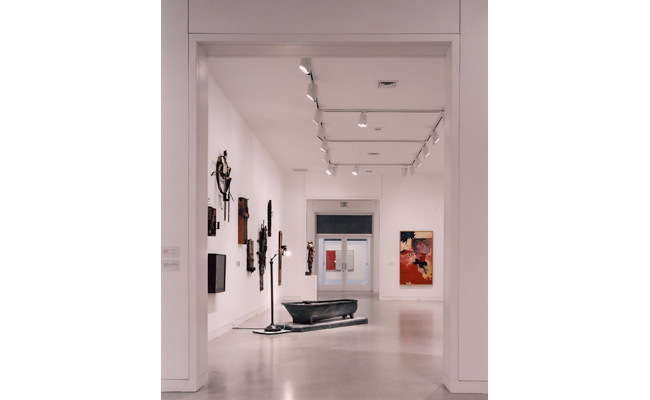 The execution of the program matched very well with the museum's sense of mission, achieved within a clean and very present modernist aesthetic that gave character and resonance to the spaces. 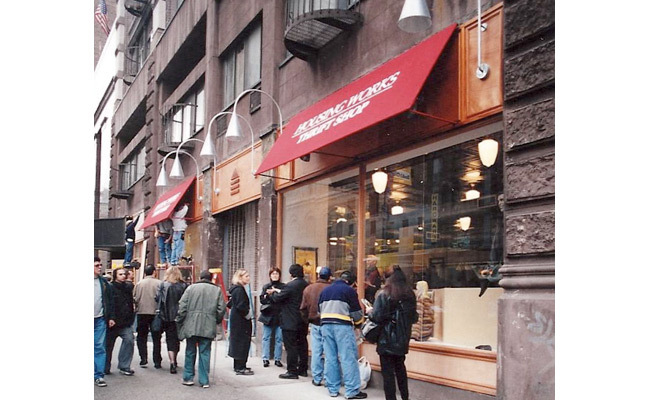 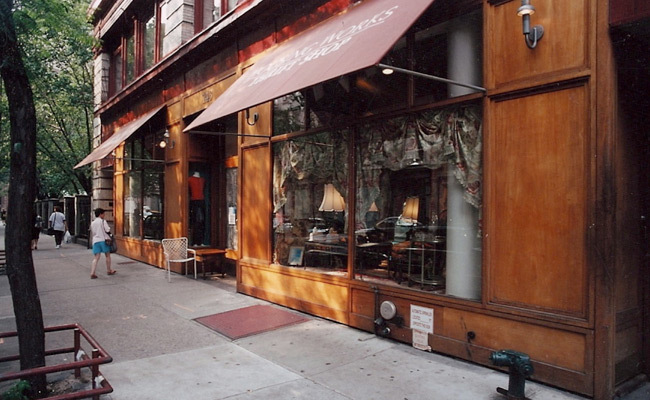 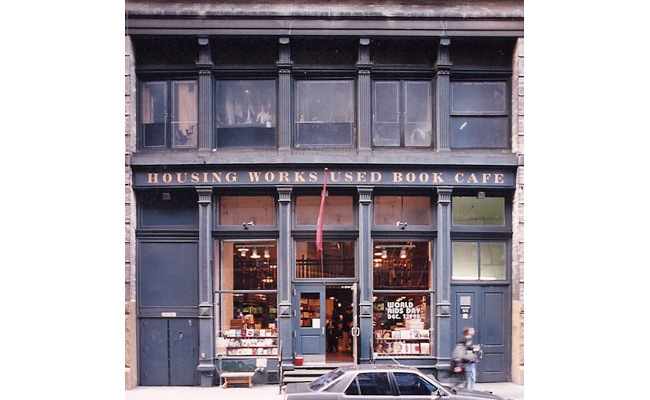 The Housing Works Used Book Cafe in the Soho district of Manhattan was completed in 1996. 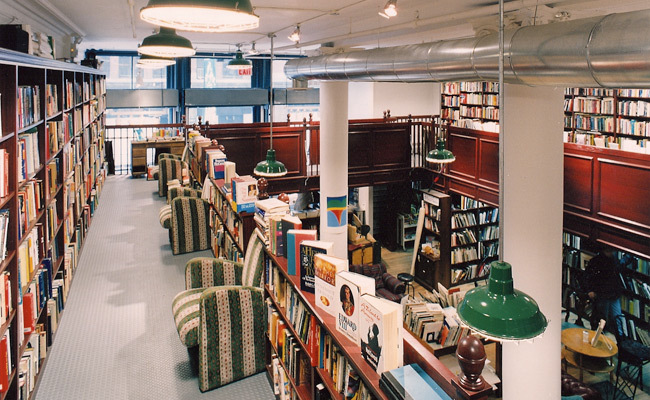 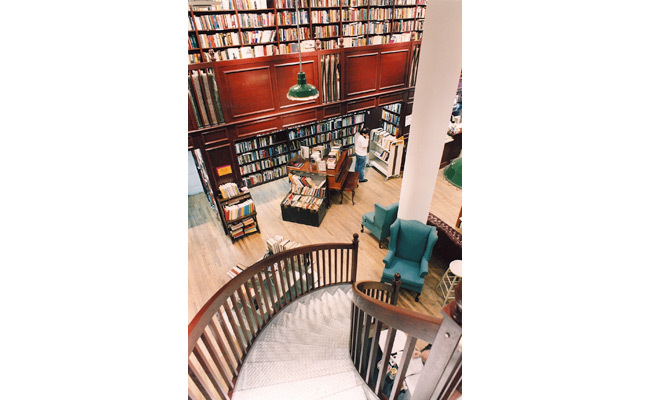 As described in the Village Voice on July 4, 2000, "the store has a spiritual aura that inspires generosity" and "an almost eerie quietude and generosity". 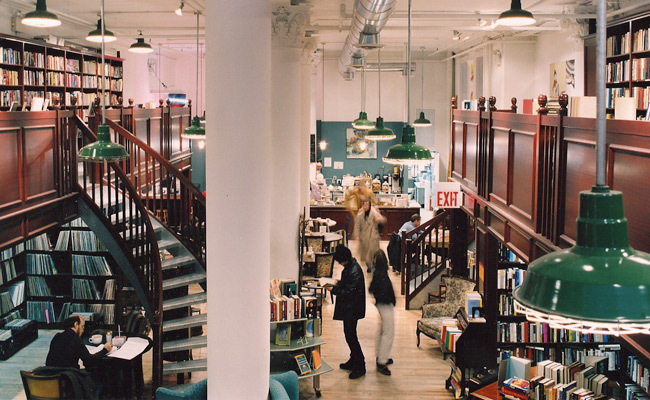 Like the Housing Works Thrift Shops, the Used Book Cafe has pioneered the use of good contextual design in creating a successful entrepreneurial venture for a pioneering not-for-profit. 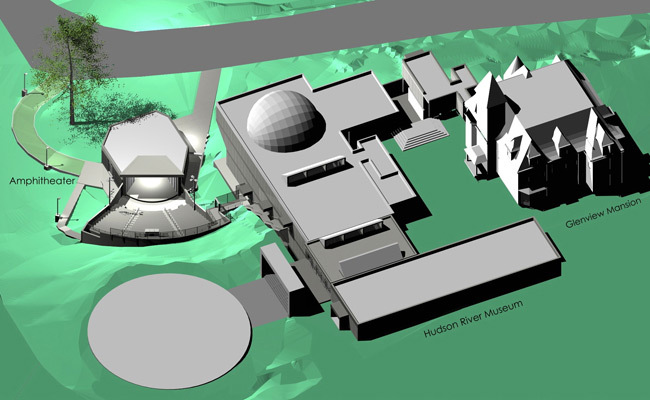 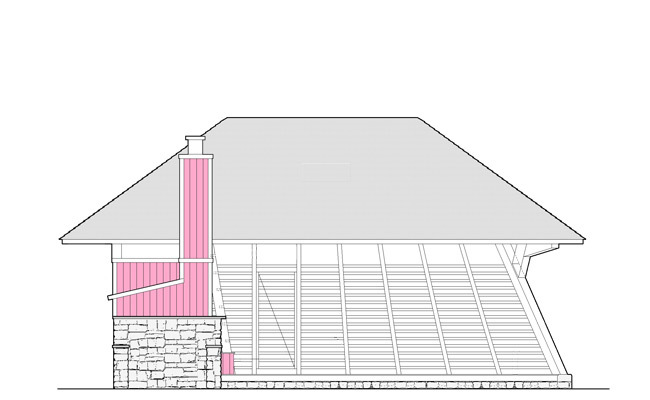 Archimuse has crafted a phased Master Plan for this important regional museum which includes Glenview, an 1976 house on the National Register of Historic Places in the Victorian Aesthetic Movement Style, and a museum wing constructed in 1969 housing galleries, workshops, and a planetarium. 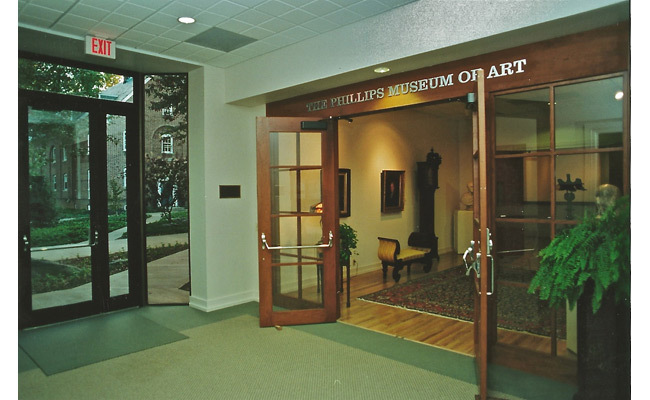 Under the Master Plan, phased additions and renovations have added a new entrance lobby, modernized existing galleries and classrooms, and create a gala space for special events. 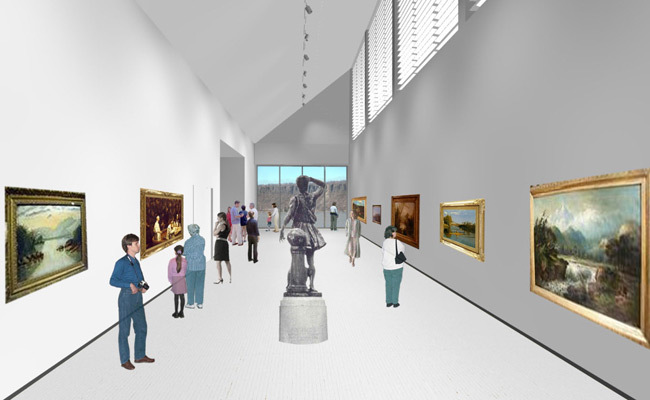 The second floor of Glenview will be restored to exhibit 19th century paintings, sculpture and decorative arts, and a new West Wing Addition with provide a large and much needed Change Exhibitions Gallery, Art Storage, and other technical space, freeing space in the existing galleries for increased display of the Museum's permanent collection. 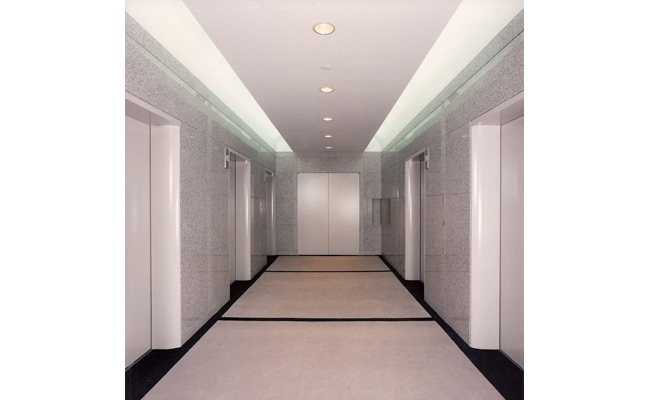 Lobby Project, the first phase of the Master Plan, was completed in September 2006. 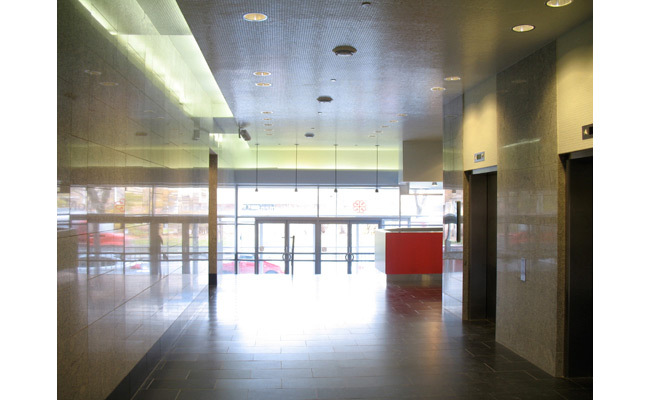 The new lobby fully integrates two wings of the building that had been separate. 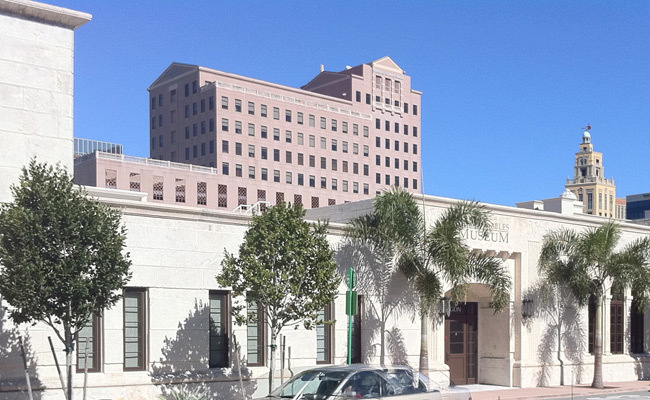 The Gate in the plaza serves as a frame for the building and for Glenview behind it. 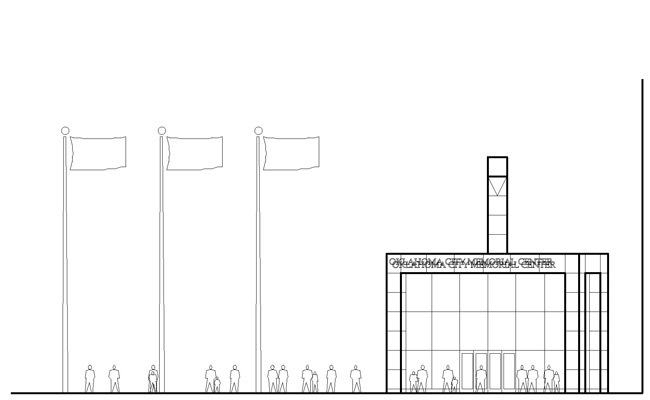 It is also a signifier for the Museum as a gateway to knowledge and experience for the visitor. 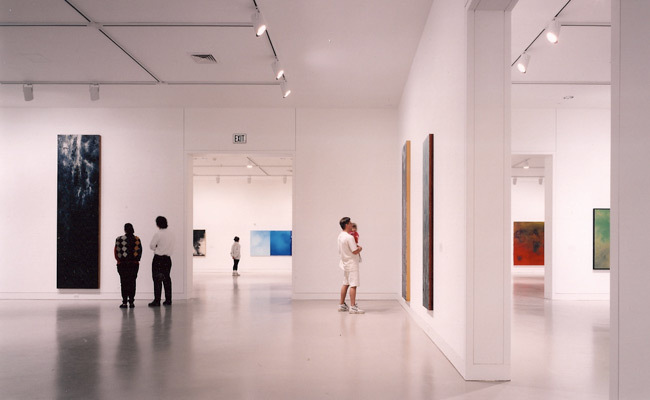 Gallery Modernization, the second phase of the Master Plan, was completed in November 2007. 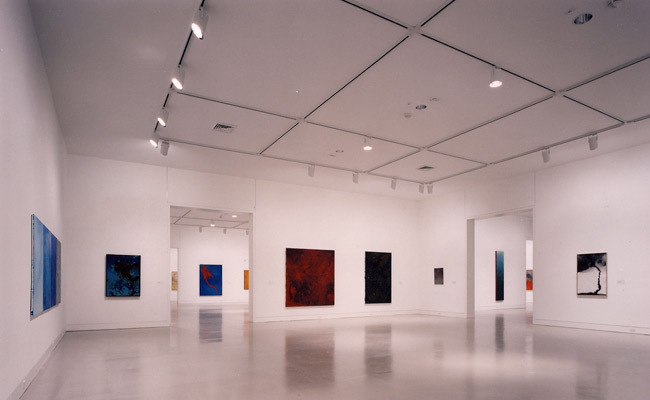 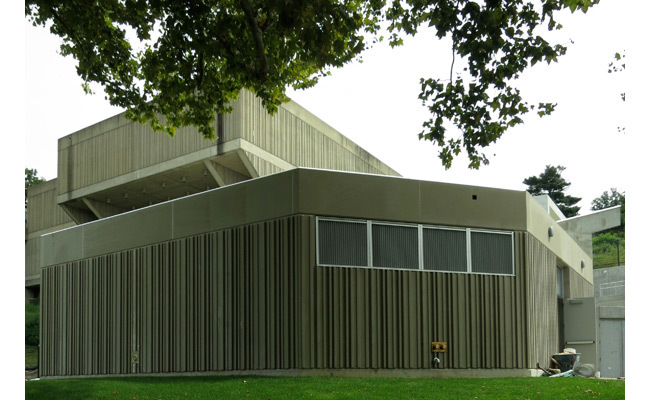 The work consisted of improvements of the existing galleries of the 1969 Addition, and included an interior addition of almost one thousand square feet of new gallery space. 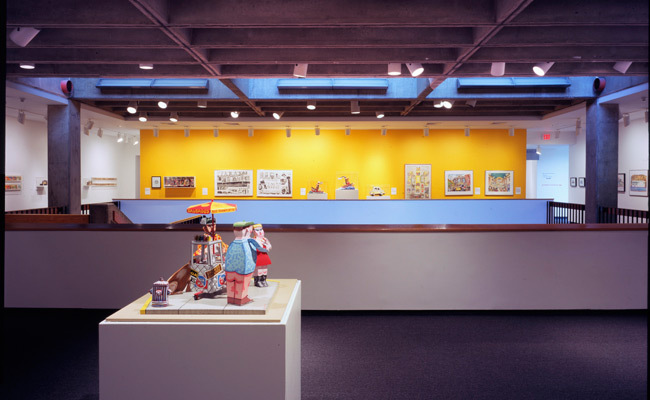 "The Bookstore", created as a working gift shop for the Hudson River Museum in 1979, was reinstalled in its own, new gallery. 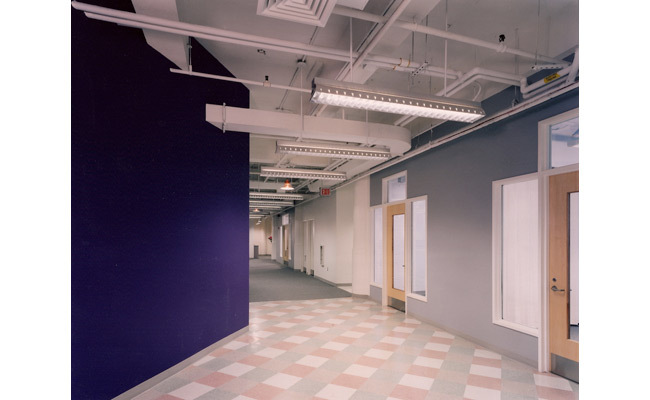 Lower Level Modernization, the third phase of the Master Plan, was completed in June 2009. 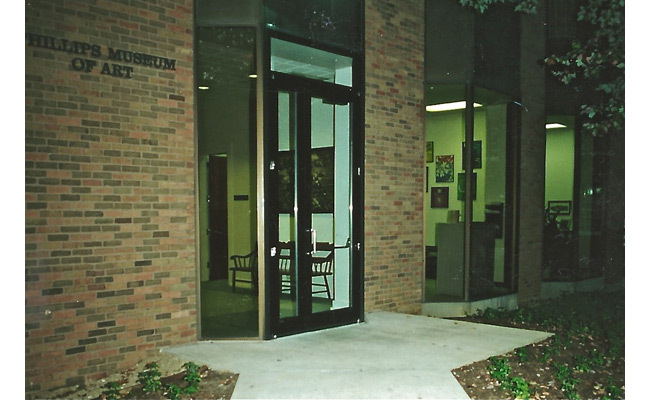 This project converted the Museum’s existing lecture space into a gala banquet space with appropriate catering facilities and restrooms. 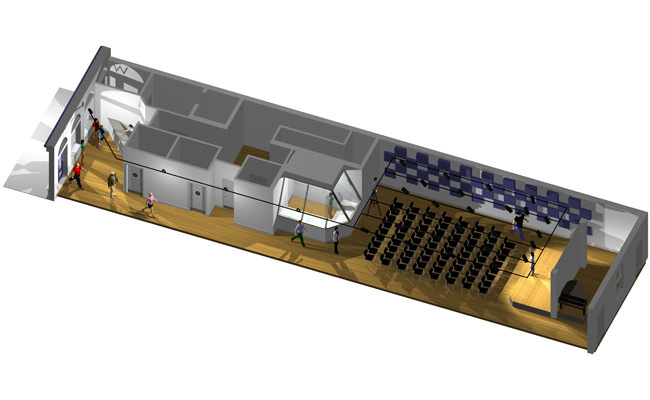 The space is also designed to function as a multimedia lecture hall for almost 500 people. 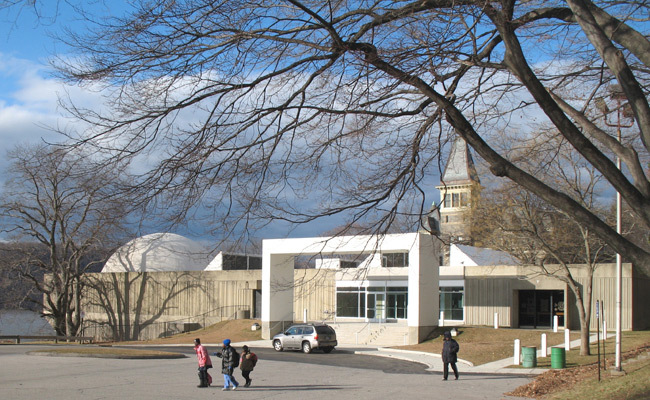 Greene Wing Modernization, the fourth phase of the Master Plan, was completed in September 2010. 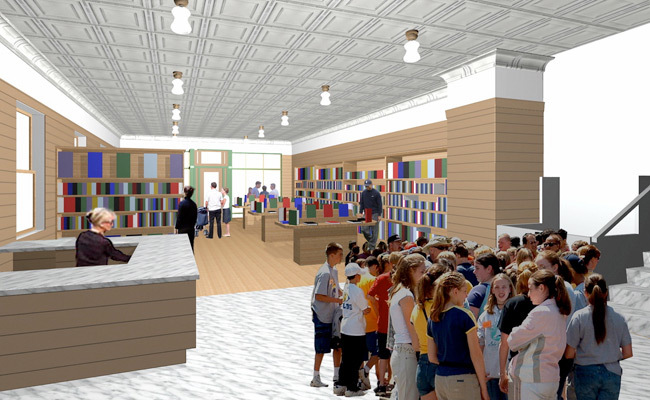 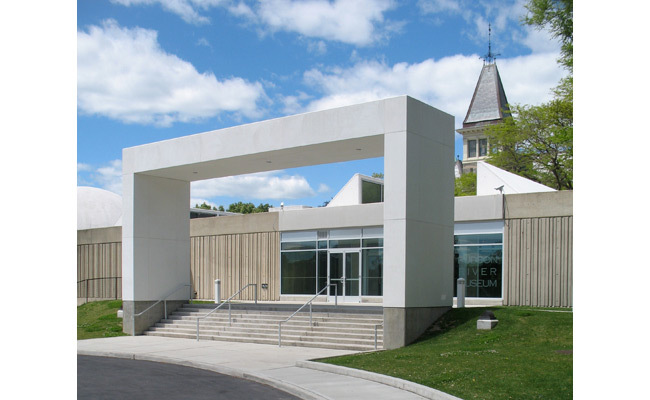 This 6,000 square foot education wing was completely renovated and updated to better accommodate the Museum’s expanding and nationally recognized education programming, particularly those serving children from the surrounding Westchester public school system. 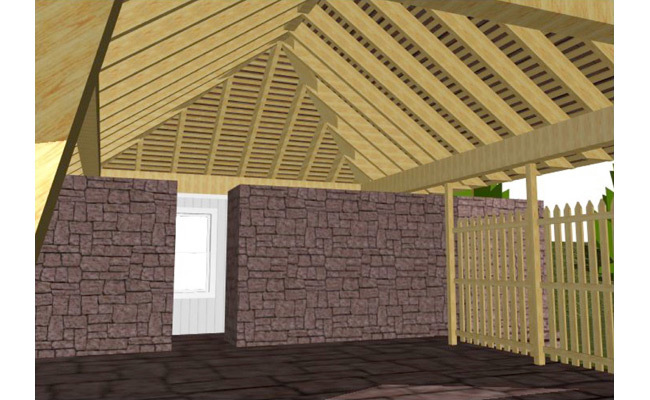 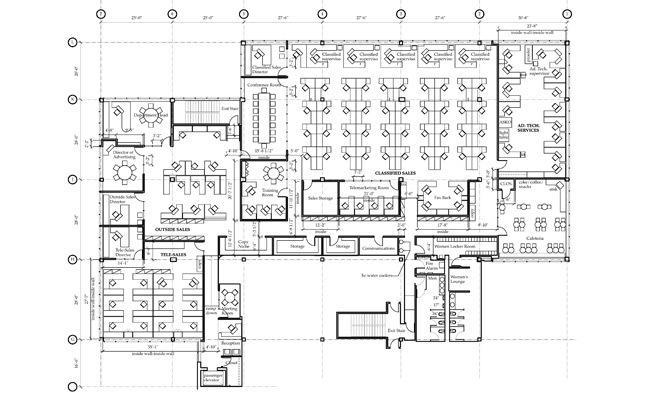 West Wing Addition, the fifth phase of the Master Plan, is in the planning stages. 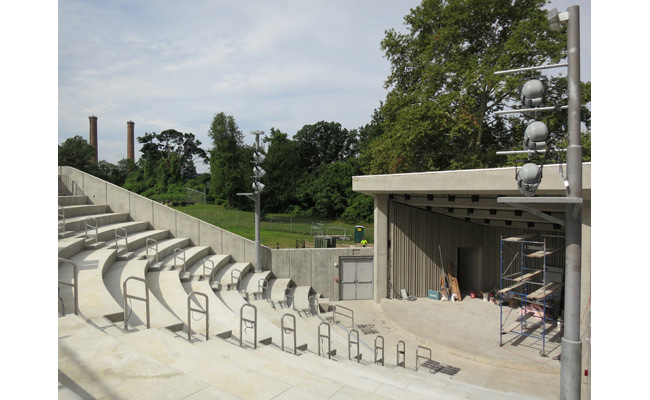 It is coordinated with the Yonkers Amphitheater designed by Archimuse and constructed in 2012 on the south side of the Hudson River Museum. 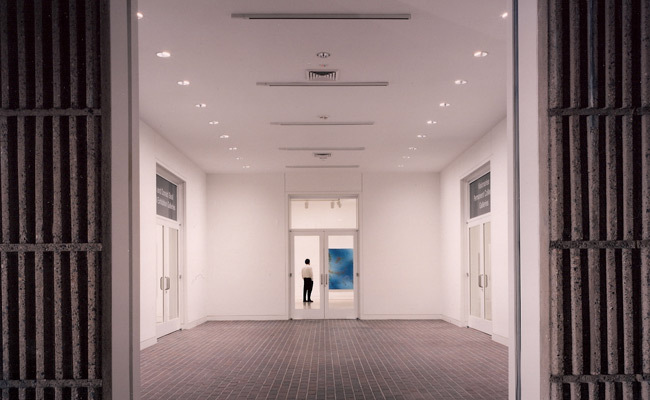 It will add a 6,000 square foot Changing Exhibitions Gallery to the Museum, with associated art storage and exhibition preparation spaces, and new museum offices. 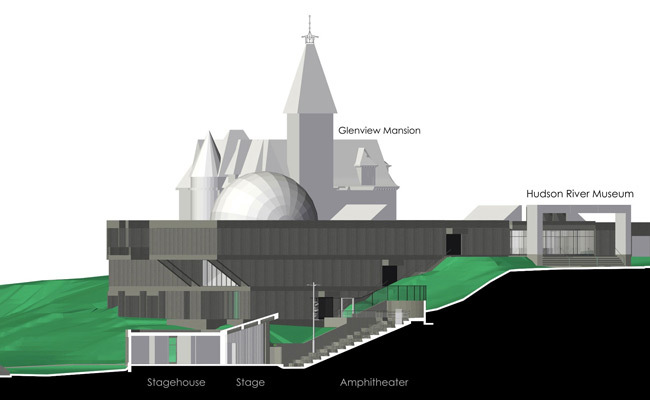 The West Wing Addition will also create a new special events entrance to the Museum facing the Hudson River, and share a public riverfront plaza with the Yonkers Amphitheater. 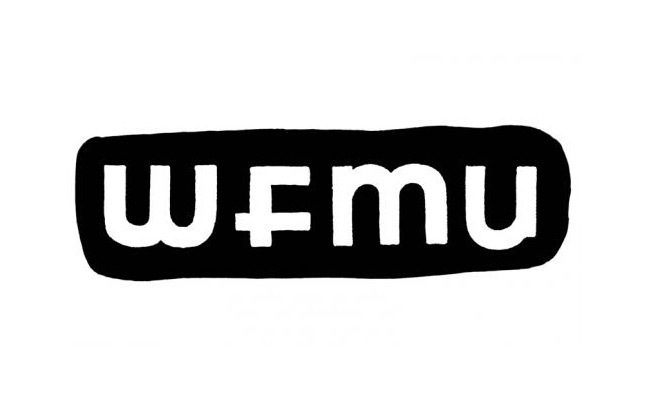 WFMU is the leading independent, freeform, radio station in the world, and the longest-running freeform radio station in the United States. 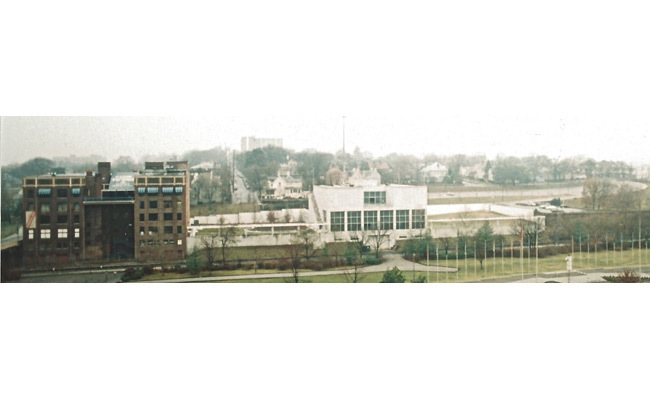 Listener-supported, headquartered in Jersey City, broadcasting at 91.1 (and at 90.1 as WMFU) WFMU commenced broadcasting in April 1958. 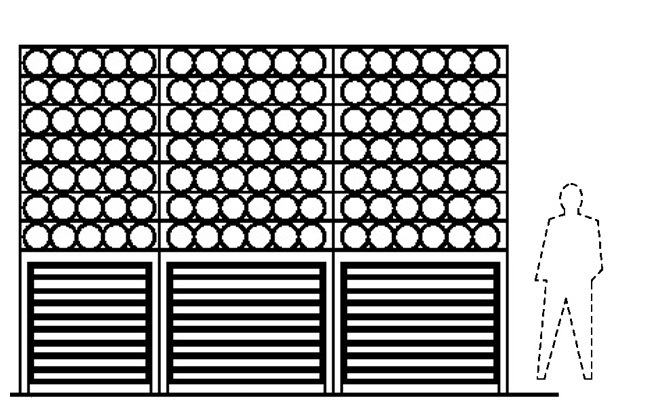 WFMU has a stated commitment to unstructured-format broadcasting, with all programming created by each individual air personality: experimentation, spontaneity, variety, and humor are among the station's distinguishing features. 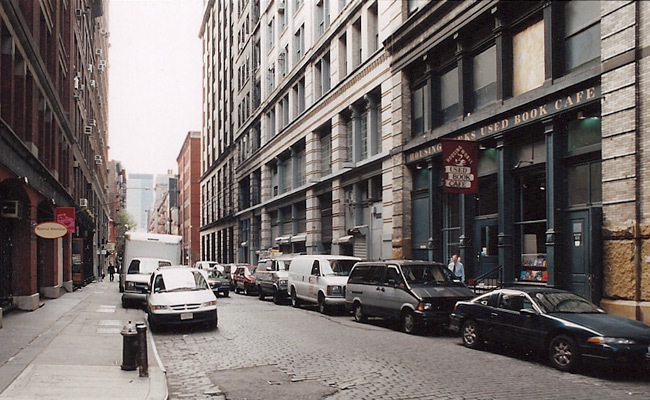 WFMU was named "Best Radio Station in the Country" by Rolling Stone magazine for four consecutive years (1991–1994) and has also been dubbed the best radio station in either New York or the United States by The Village Voice, New York Press, and CMJ. 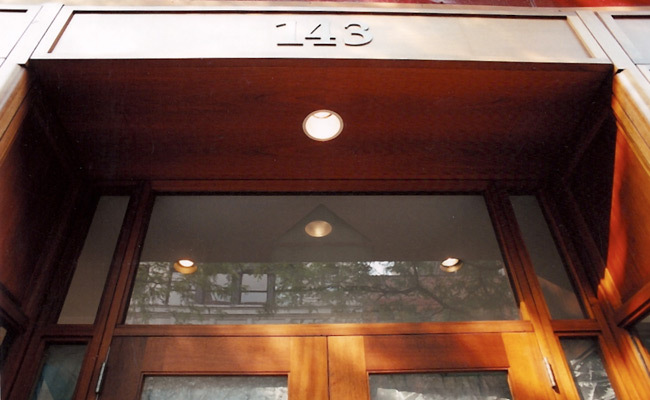 WFMU, broadcasting live music from its studios for decades. 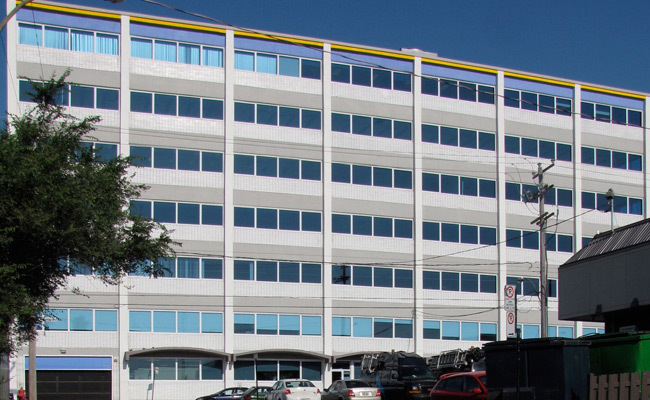 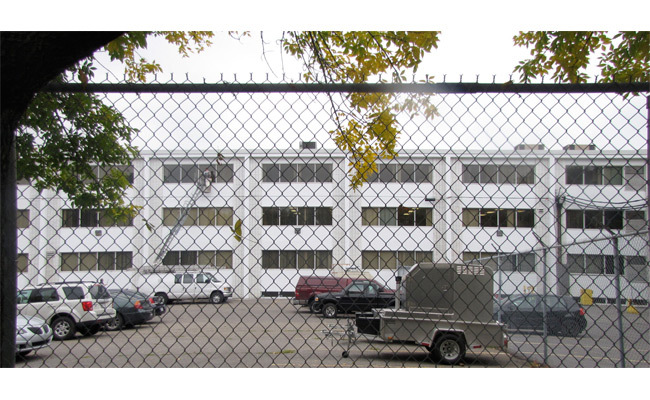 is now creating a live performance space on the ground floor of its five story building in Jersey City. 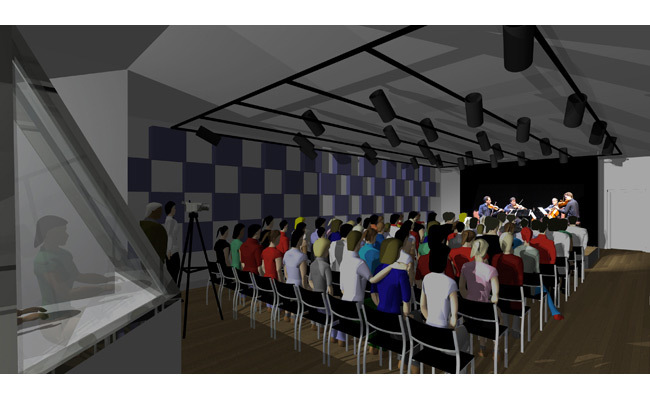 Called the WFMU Radio Theater, it is conceived for the facilitation of the widest range of freeform music in front of a live audience, simultaneously broadcasting audio and video to a local and a worldwide audience. 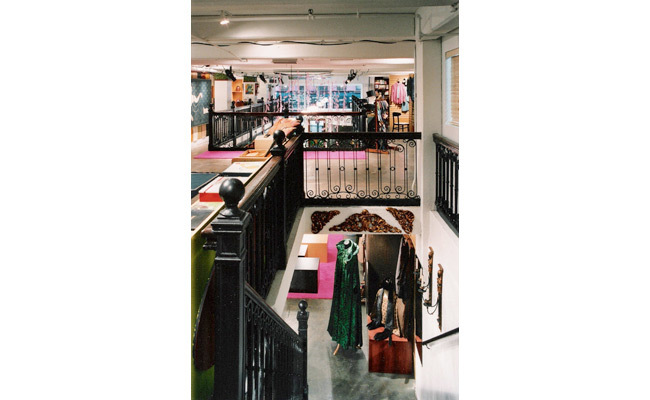 Innovative and progressive programming pioneered by WFMU since 1958 will be complemented by regular live theater experiences accessible locally and globally. 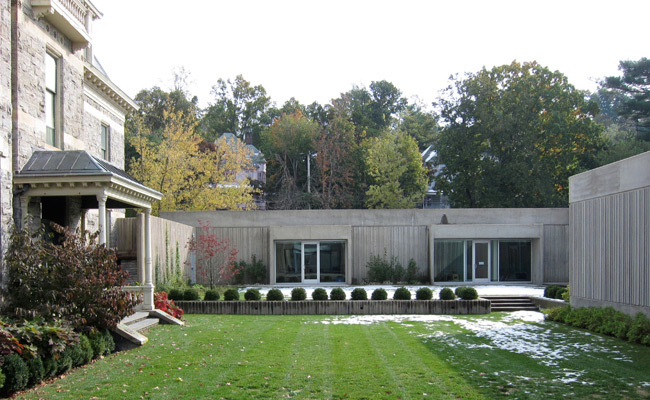 The addition in 2004 increased the size of the existing house, built in the 1980s, from 2,000 to 3,500 sf. 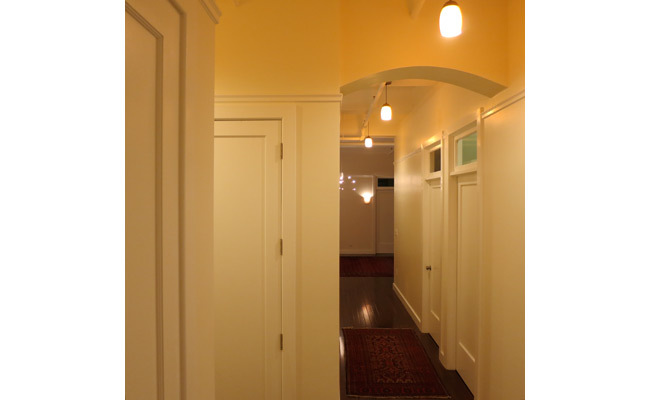 The key to harmonizing the addition with the original house was the gallery, replacing the original kitchen and dining room, and becoming a new center hall for the enlarged house. 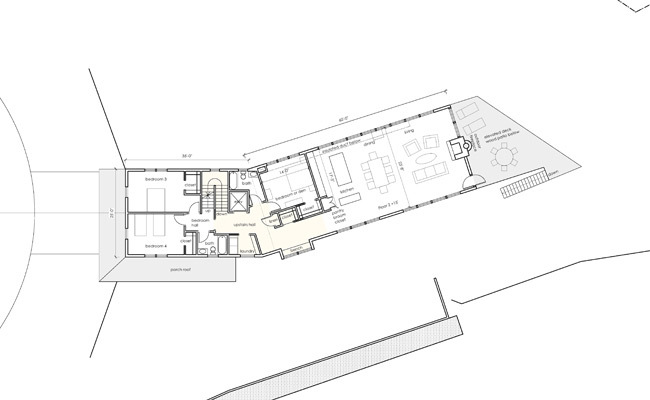 The effect was as if a lung was added, allowing the ground floor space to breathe through its new center, enhancing in equal measure existing house and addition. 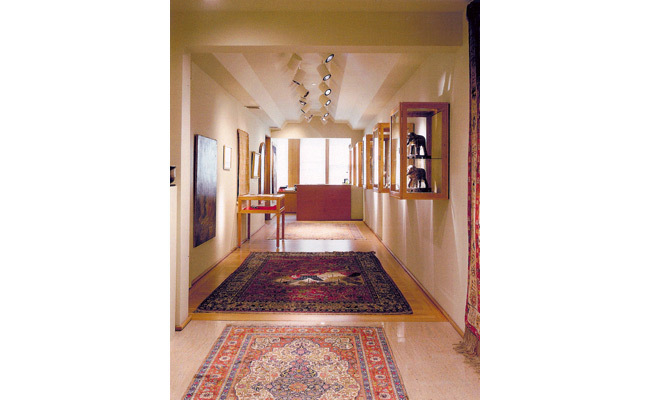 For that reason alone, the gallery, a room almost always empty, is perhaps more vital to the house than any other space. 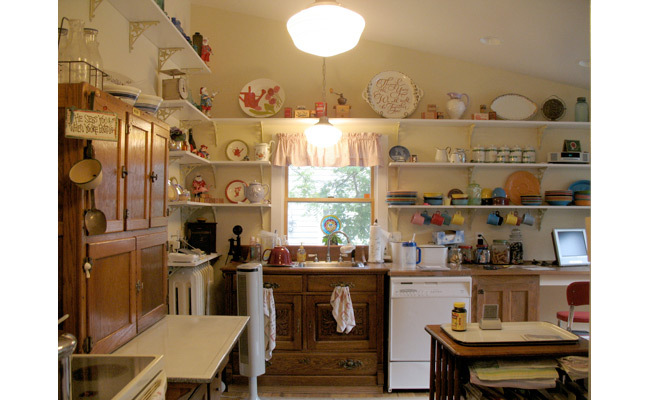 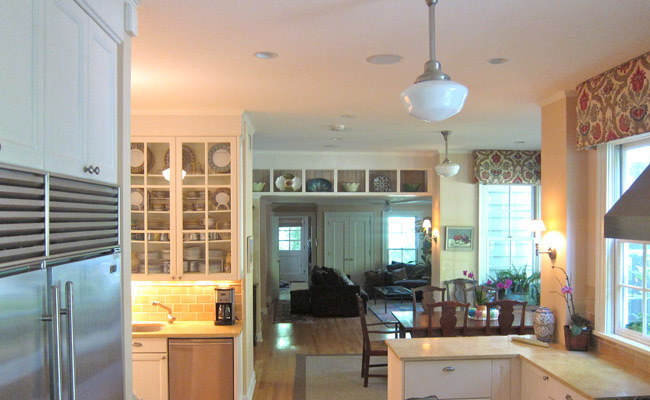 Kitchen, dining room, and great room are connected to each other with the gallery always providing the stability of an architectural connection to the original house. 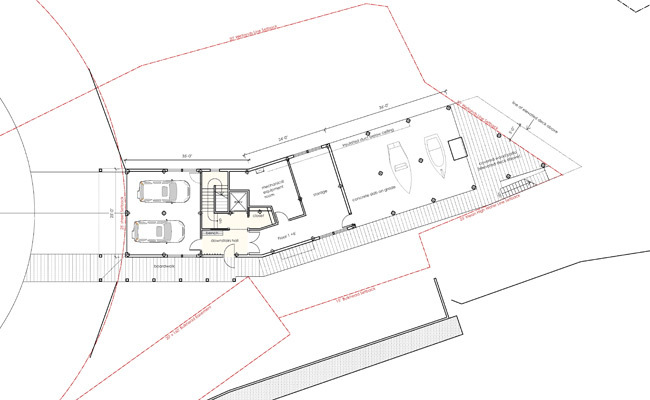 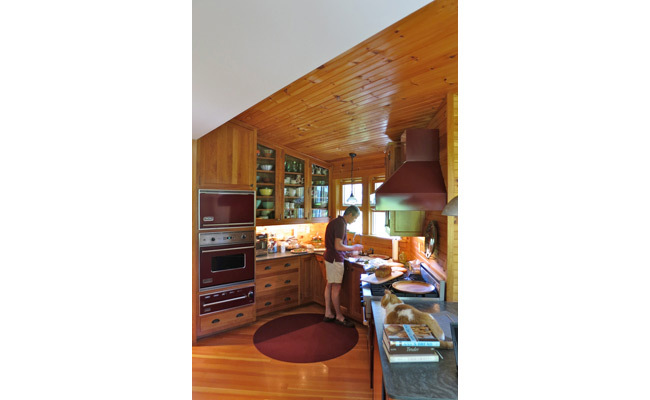 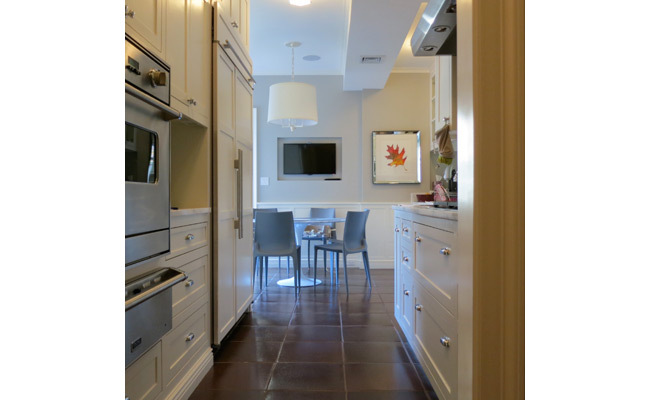 The kitchen is a curved path between great room and dining room, both main rooms exposed to and engaged with the on site pond in different ways. 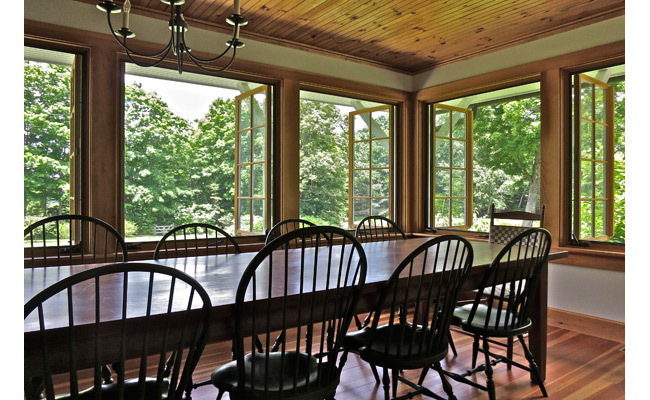 The dining room has the character of a screened-in porch, with “congregational” seating at a long shaker style table. 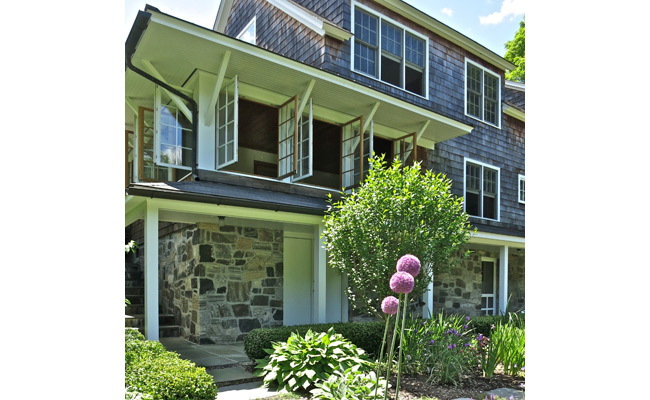 The great room is a soaring double height living space attached to an outdoor bellevoir stone terrace with frontal views of pond and meadow, almost a separate pavilion rotated away from the original house to face the small but beautiful Connecticut wetland pond that is home to a diversity of plants and wildlife. 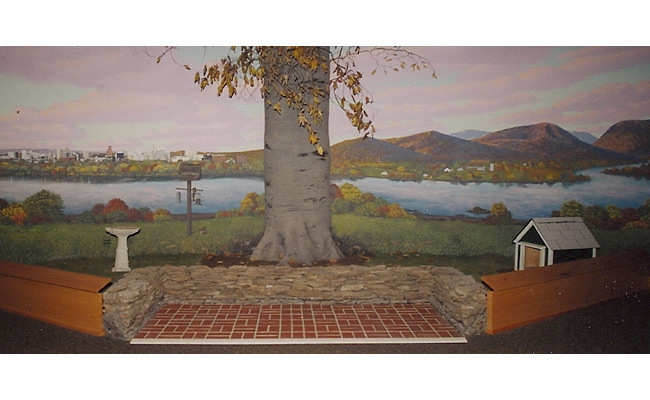 Thaddeus Stevens was born in Vermont in 1792. 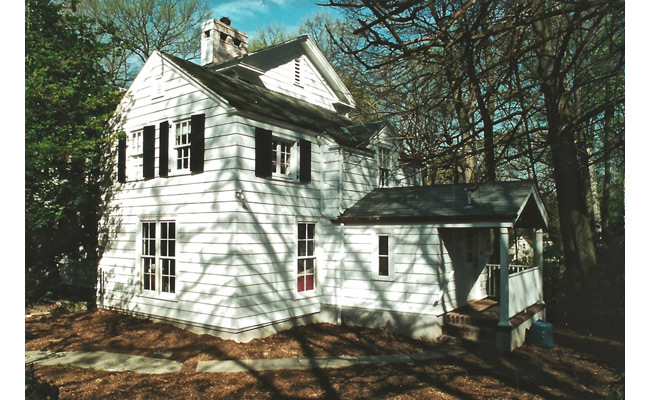 A congressional leader known as the Great Commoner, and with the life-long assistance of Lydia Smith, an African-American woman, Stevens led the nation in the political and legal implementation of American equality during the reconstruction of the American Constitution following the Civil War. 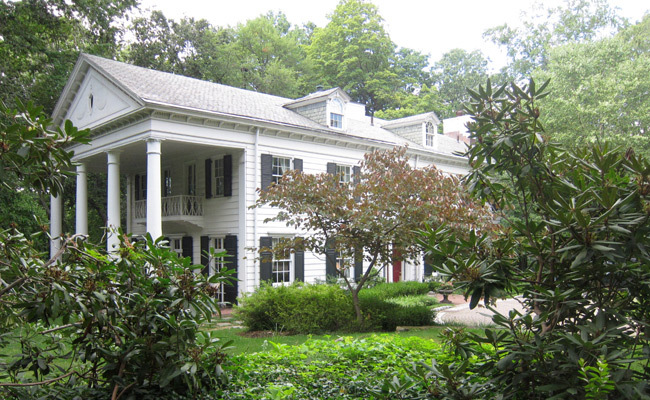 Stevens, the congressional sponsor of the 13th, 14th, and 15th Amendments to the Constitution, passionately fought slavery and discrimination in America from the 1830's until his death in 1868. 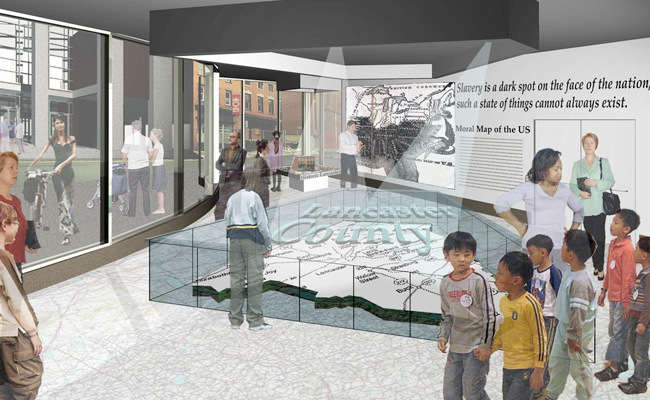 With Smith's assistance, he was active in the Underground Railroad in Lancaster and Pennsylvania. 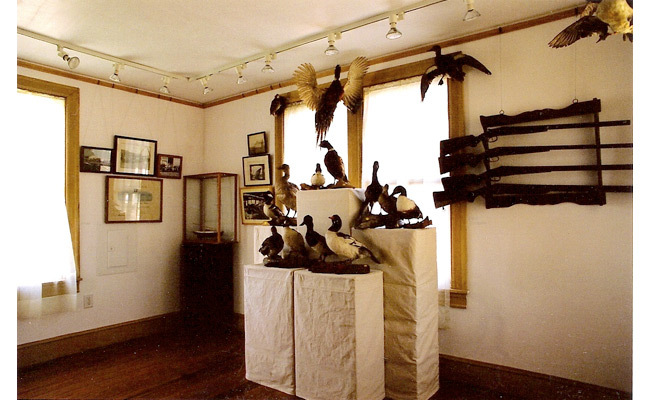 The Stevens Smith Historic Site in Lancaster provides a unique opportunity to experience the profound forces shaping American society in a context that bore witness to its daily struggle. 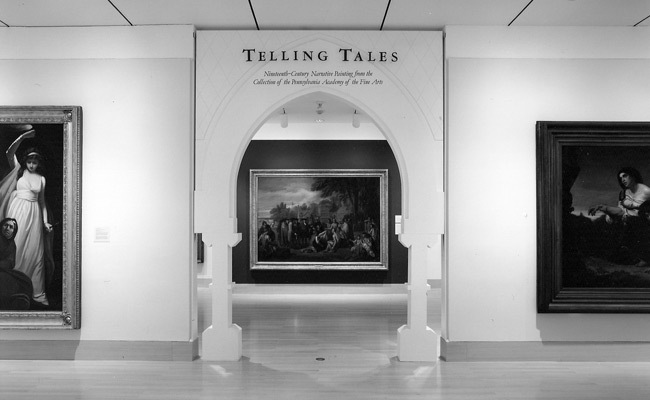 Archimuse, with the assistance of American History Workshop, has enlivened this experience with "story-telling, theater, and exhibitry." 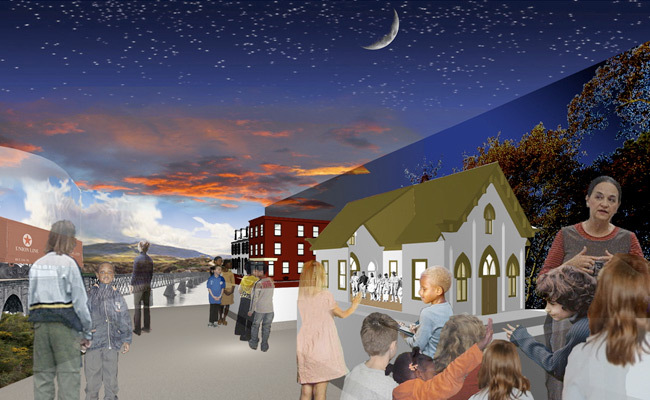 Two distinct areas of the Historic Site in Lancaster were planned to be developed into interpretive buildings for public visitation. 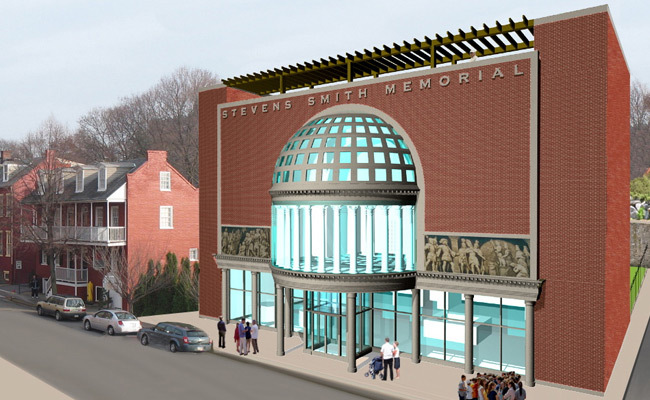 The Stevens Smith Memorial Museum, an interactive education, exhibition, and retail complex, was to be a new 20,000 square foot building constructed on vacant land. 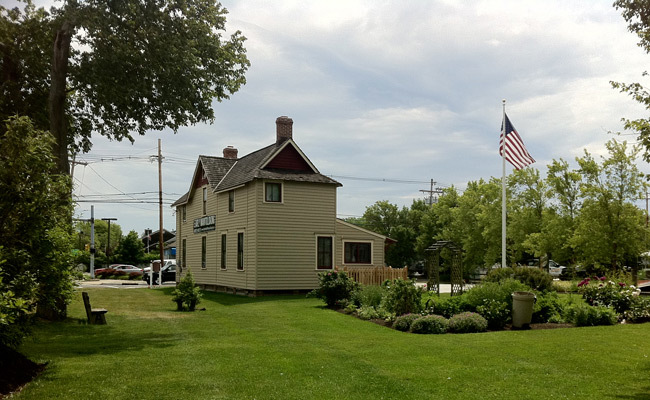 The surviving historic buildings, the homes of Stevens and Smith, as well as Stevens' law office, were be restored as the Stevens Smith Historic Site Museum. 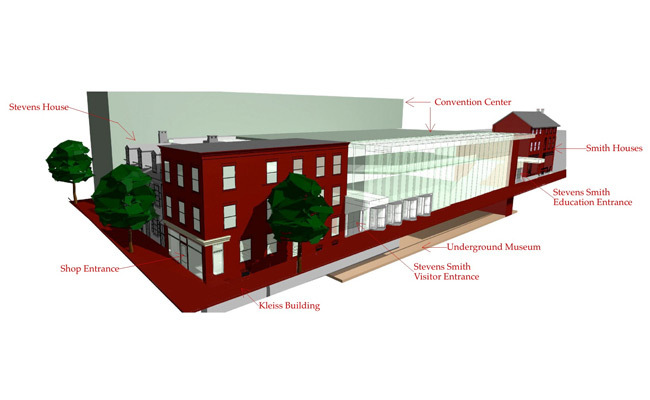 In 2003 a group of archaeologists led by Jim Delle from Kutztown University and Mary Ann Levine from Franklin & Marshall College were commissioned by the Historic Preservation Trust of Lancaster County to dig in the courtyards between the historic buildings. 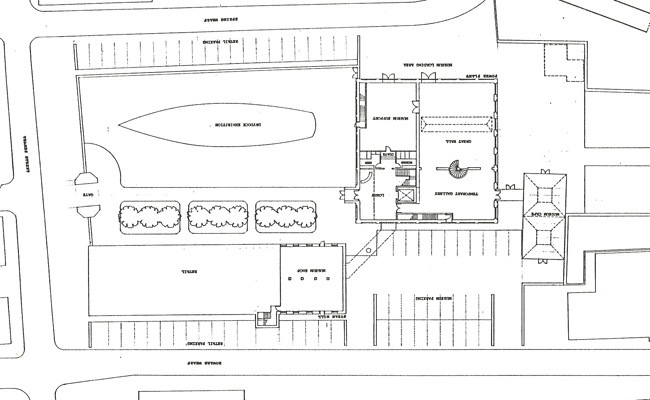 What they discovered, in addition to thousands of 19th century artifacts, was an empty brick cistern beneath the courtyard between the Kleiss Saloon and the Stevens House, with a cast-iron spittoon inside, connected via a makeshift tunnel to the cellar of the saloon. 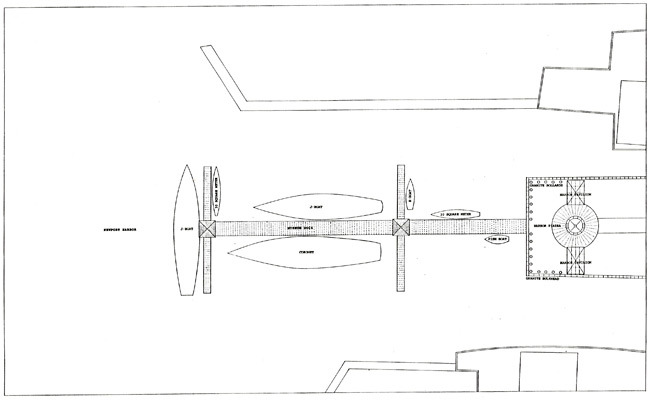 This has been interpreted by the discovering archaeologists, and other experts , as indicating Underground Railroad activity under the agency of Stevens and Smith. 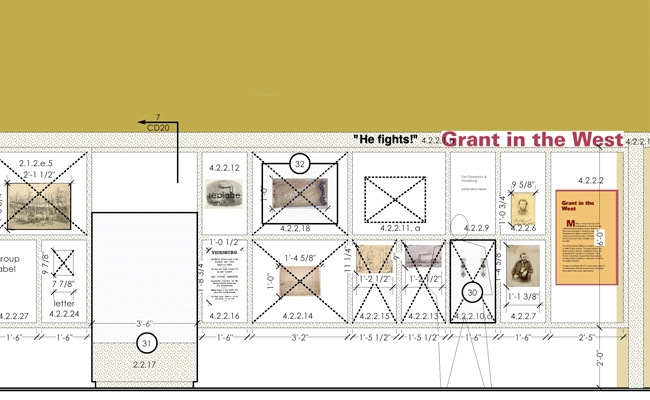 This aspect of Stevens’ and Smith’s history, long suspected will constitute an important element of the Interpretive Center. 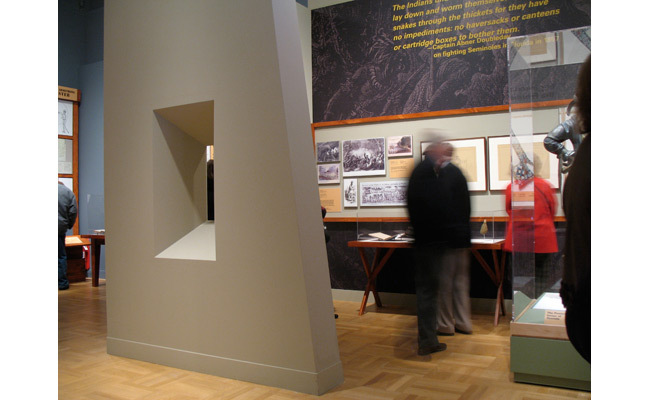 The Archimuse design for the Stevens Smith Historic Site and Interpretive Center consists of the restoration of historic buildings, including the excavated cistern, combined with new structures that make it possible to introduce large numbers of people into exhibits within the historic buildings and archeology. 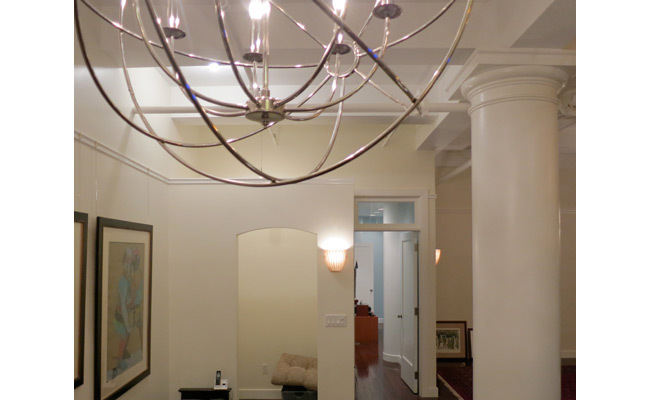 This classic Manhattan townhouse is situated on a street on the Upper East Side with a an uninterrupted row of identical mid-nineteenth century brownstones. 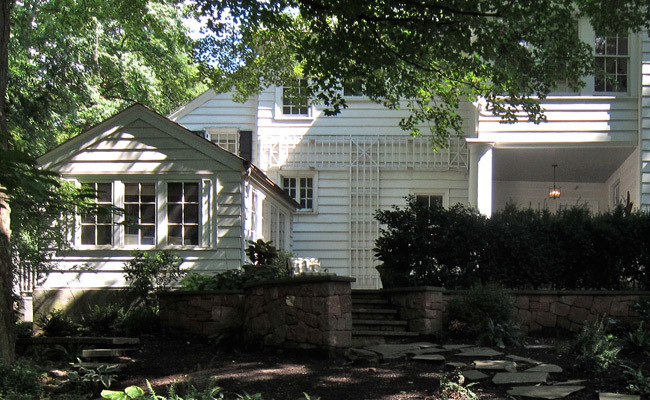 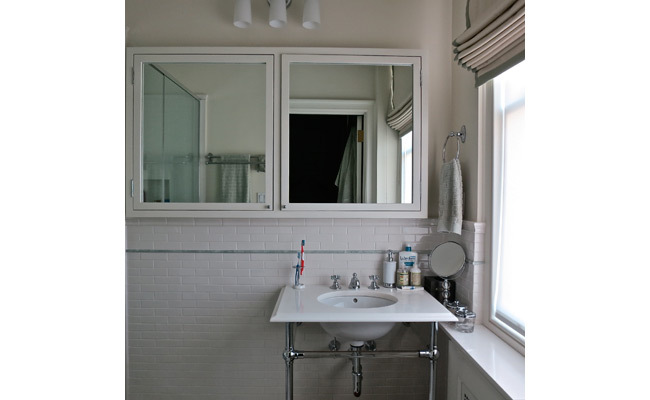 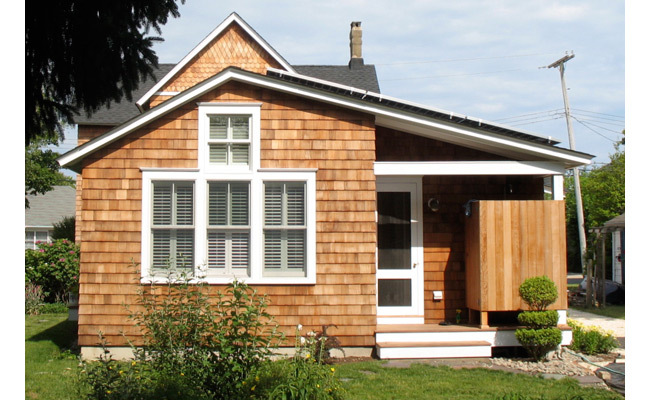 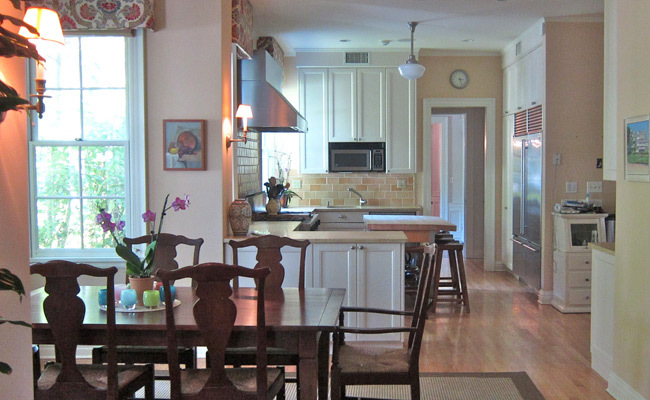 This mid-block house was stylishly renovated in the 1920s by a society architect. 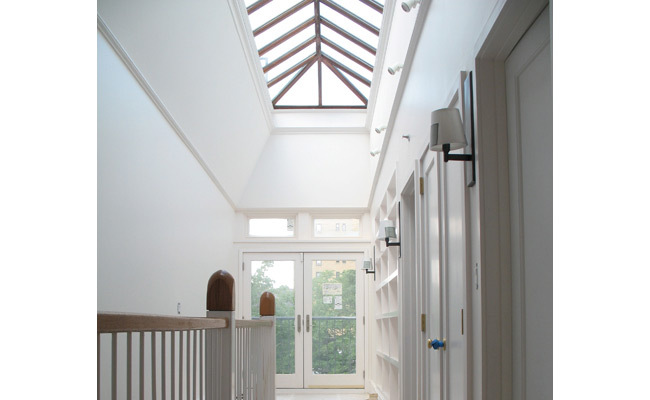 We added a full floor addition above the fourth floor of the containing two bedrooms and a full bath, and access to a rooftop terrace. 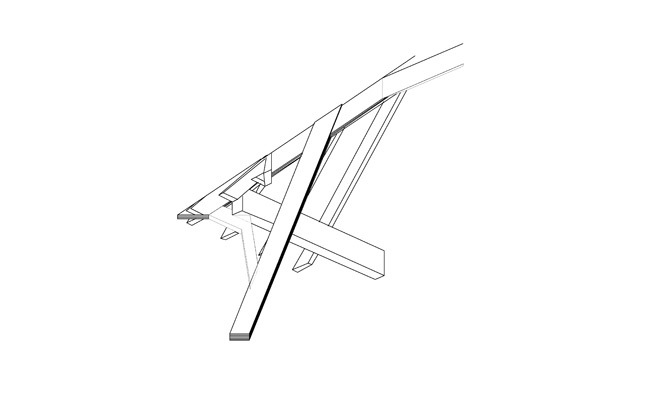 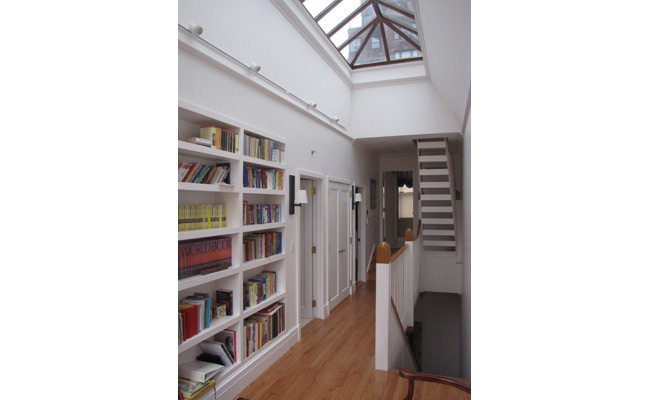 The appearance of the rooftop addition from the street is of a complexly curved pediment adorning a nineteenth century brownstone facade, and providing a vertical loft to the interior of the new bedroom that it adorns. 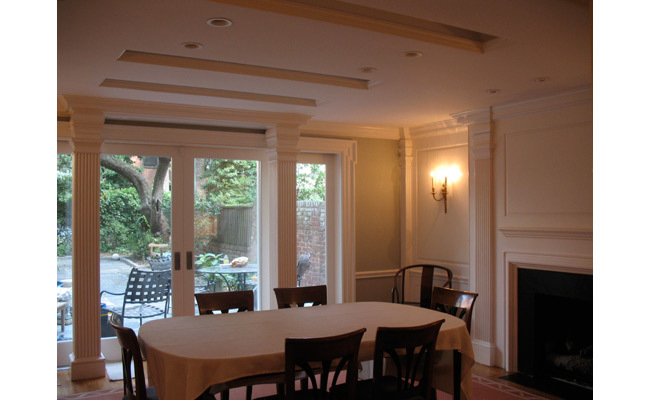 To the elegantly designed 1920s renovated dining room on the garden level, we added a full width glass wall opening it to the garden while enhancing its early twentieth century design. 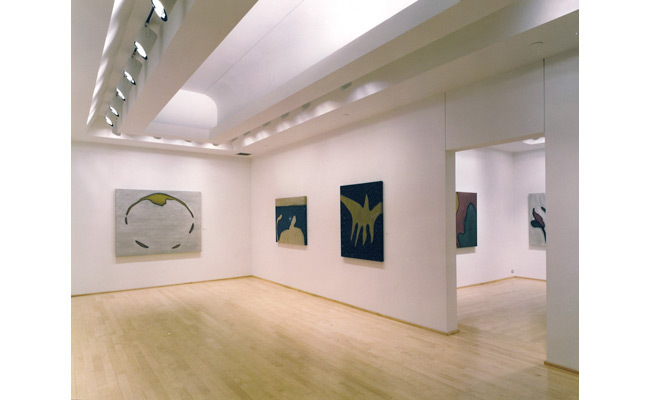 This multi-purpose exhibition gallery was administered by the AXA corporation and located in the Equitable Building in midtown Manhattan. 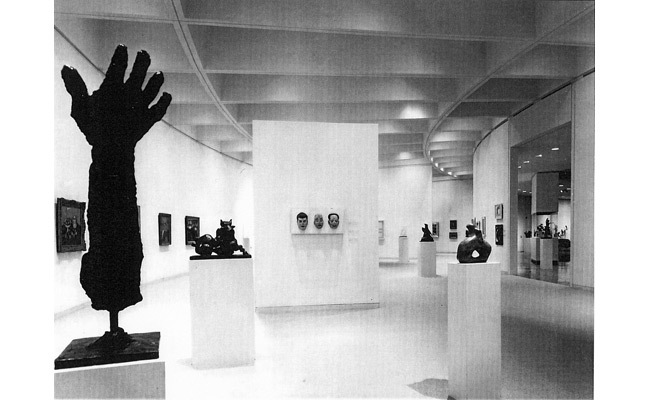 The design of the gallery by Archimuse produced a series of interlocking spatial volumes which have proved very successful in accommodating exhibitions ranging from ancient artifacts to contemporary photography, from site specific installations by young artists to retrospective exhibitions of recognized masters. 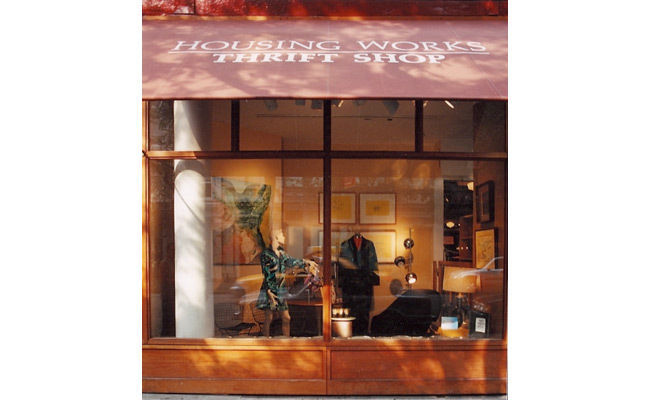 The three Housing Works Thrift Shops designed by Archimuse have re-defined the thrift shop as a uniquely compelling retail venue, and a major profit center for Housing Works while raising its public profile. 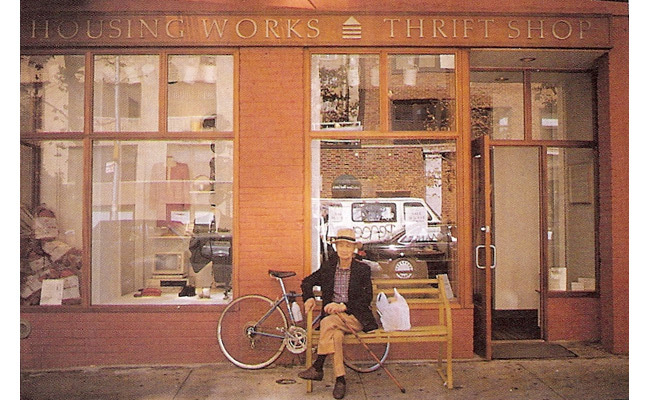 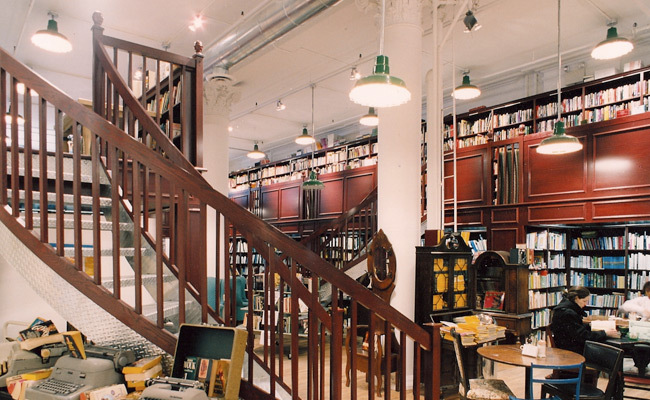 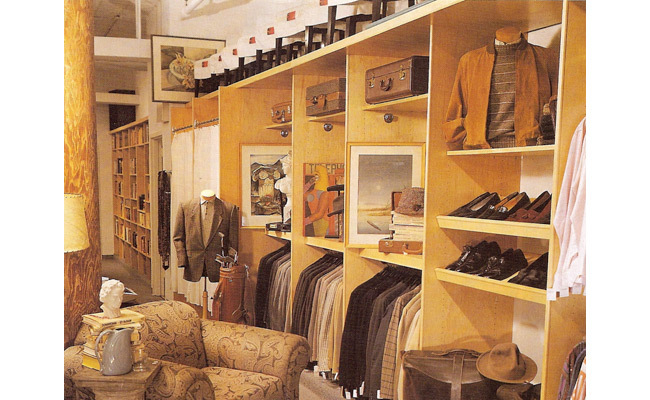 The New York Times wrote on January 14, 1996: "The Housing Works Thrift Shop in Chelsea, an immaculate 3,000-square-foot store, with track lighting and towering ceilings, resembles a minimalist Soho loft." 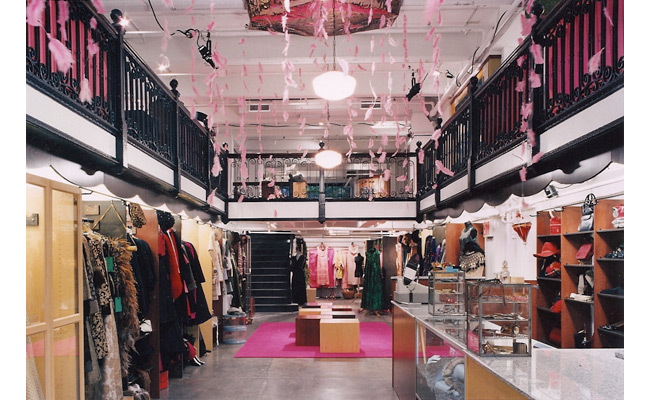 Regarding the Upper East Side store, the New York Times wrote on February 17, 1994: "Can a thrift shop look expensive and still have bargains? 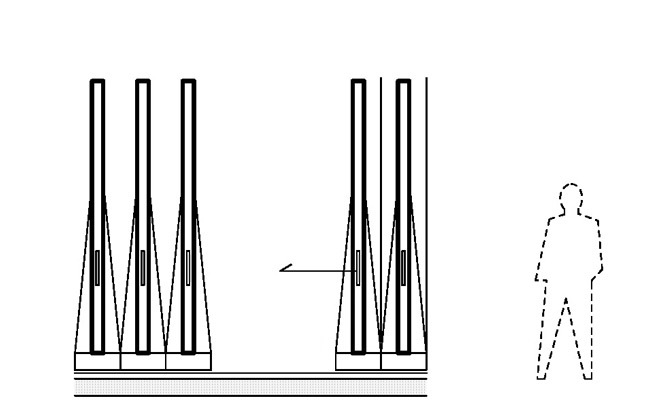 The answer is yes." 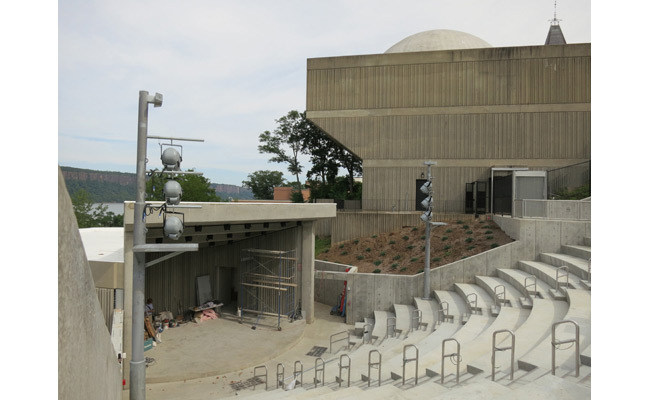 Yonkers Amphitheater, a new 500 person performance theater nestled into the highlands sloping to the Hudson River, has the New Jersey Palisades as a backdrop for its bandshell. 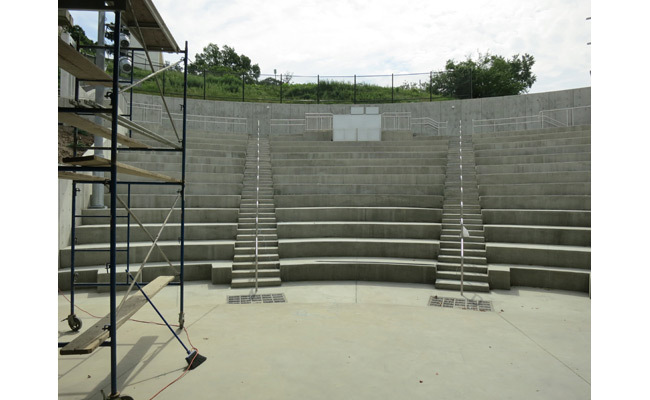 This outdoor theater is merged into its naturally sloping site with its radial geometry like a Greek amphitheater, and cast in place concrete as its marble. 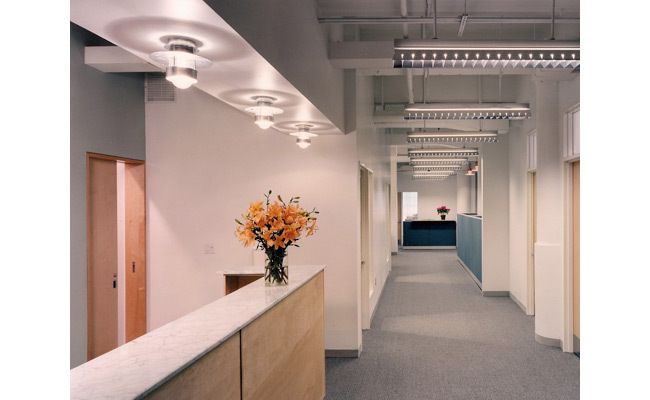 With the assistance of Fisher Dachs Associates, the sophistication of a Broadway theater has been merged with the simplicity of a high school auditorium. 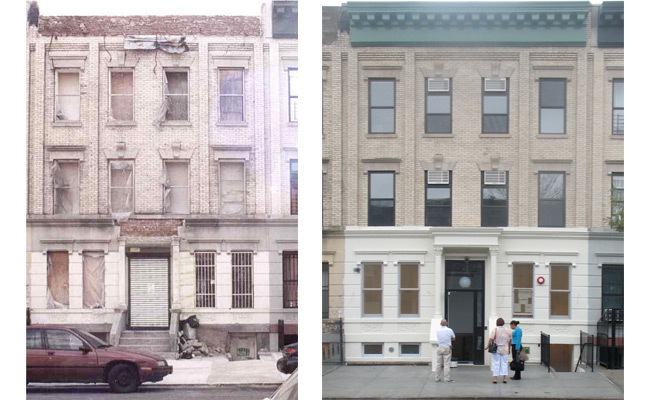 Housing Works Brooklyn Housing was total (gut) renovations completed in 2007. 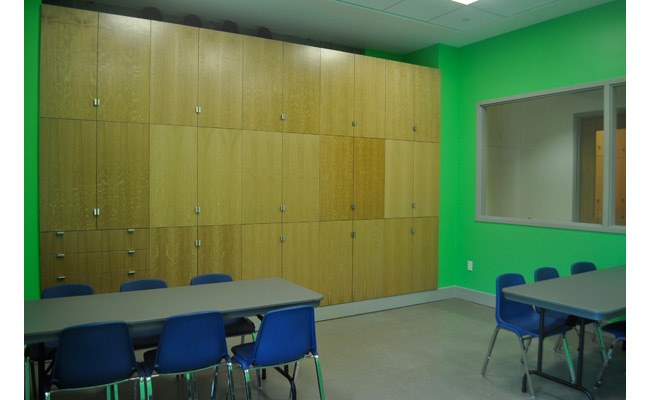 In the Bedford-Stuyvesant section of Brooklyn a four-story building was transformed into a community facility with 20 transitional housing units, elevator, internal fire stairs, support staff in an open plan office, and common areas. 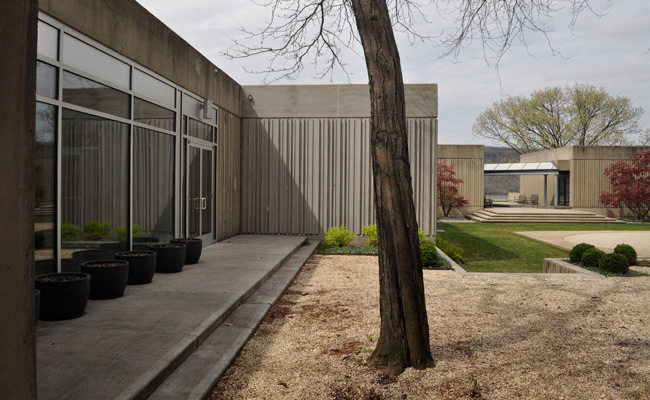 The facility is graced with a restored rear garden. 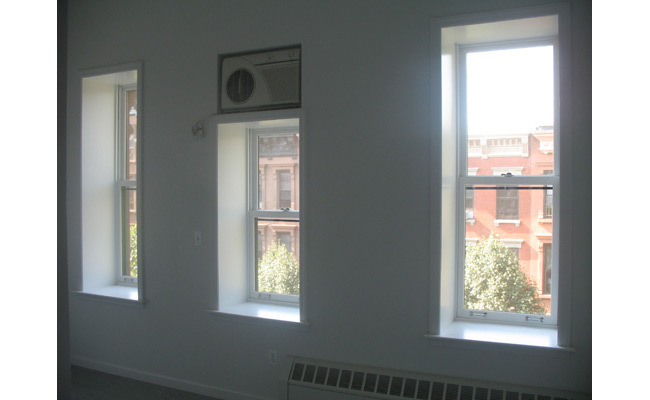 The Brooklyn project received a Federal HUD grant. 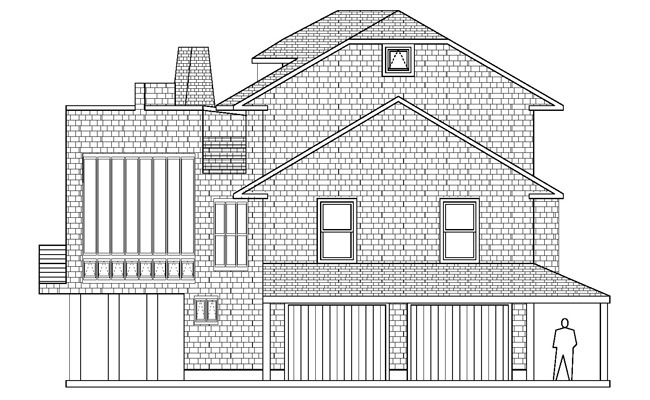 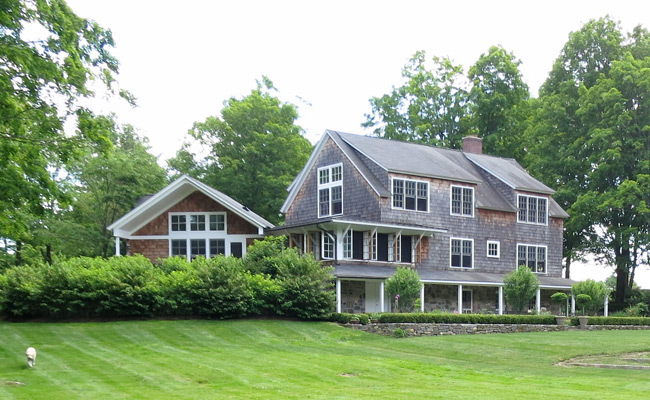 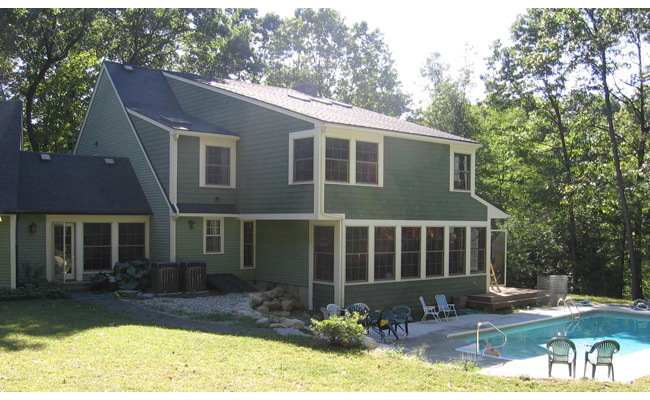 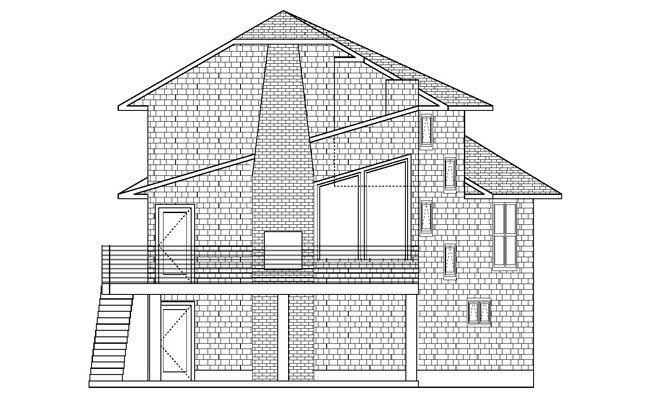 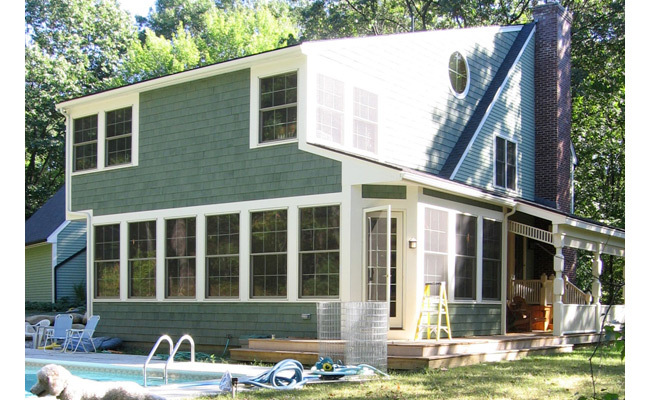 The site for this new shingled house is surrounded by water on 3 sides—marsh bog north and east, canal waterway to the south.The design solution was developed by honoring those water and wetland views, with the goal of causing minimal disturbance to natural setting and ecosystem, and achieving net-zero energy consumption. 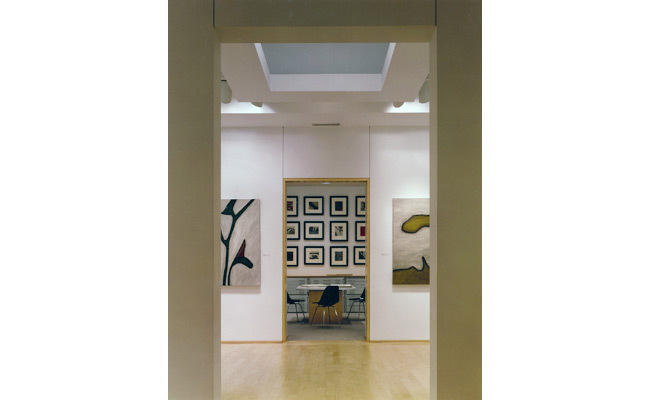 Limited square footage for this 57th Street gallery for works of art on paper inspired the design of ceiling vaults with cove and recessed track lighting to increase the perception of light and space. 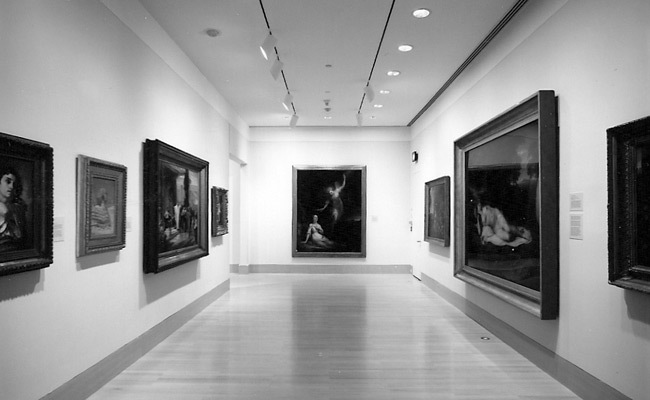 The combination of light sources creates proper viewing condition as well as conservation light levels–two demands often at odds. 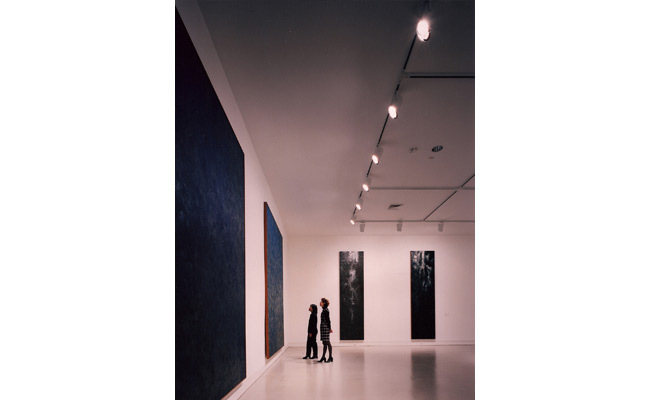 In this architectural setting enhanced by lighting, works of art are pleasurably viewed while the full functions of a commercial gallery take place discreetly behind the scenes. 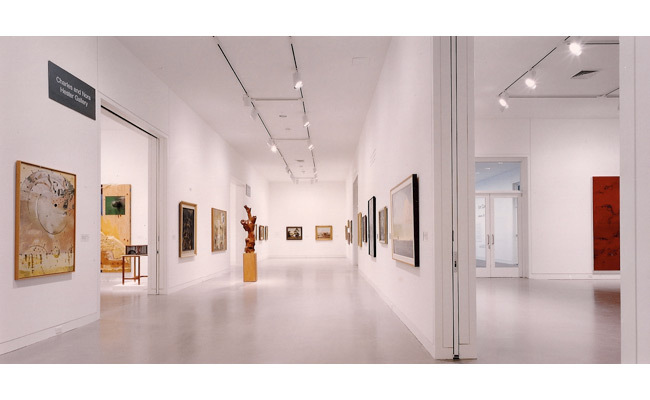 Archimuse accepted the challenge of limited space, limited budget, conservation demands, mid-town New York City building conditions, along with stringent client requirements for exhibiting, viewing and selling. 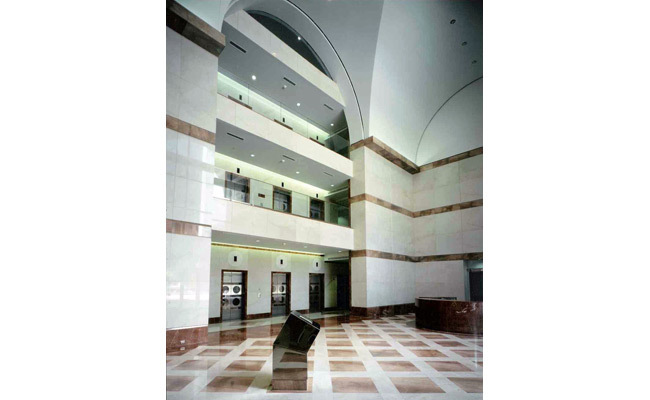 This Mediterranean Style office tower is designed in a contextual style mandated by local design code and an Architectural Review Board. 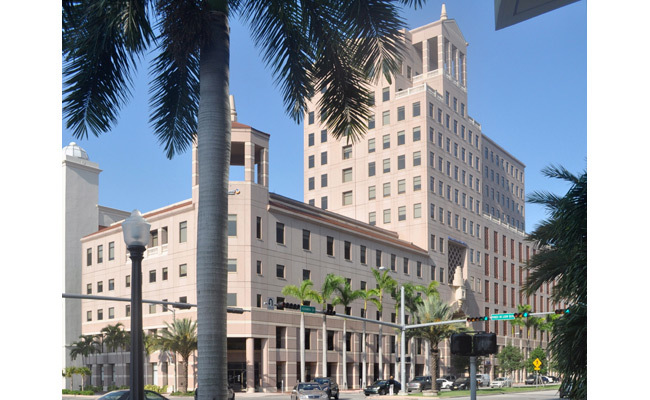 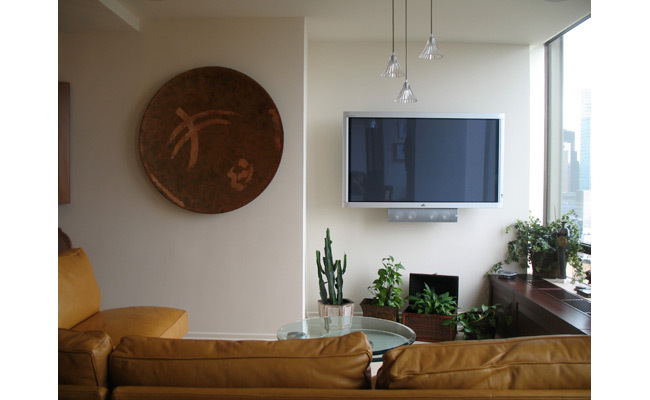 Design of the project merited high praise in the local press, and has received several design awards including the “South Florida’s BEST” Award in 1998. 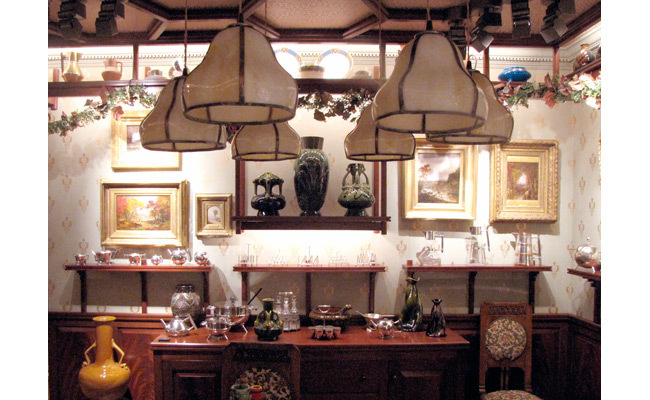 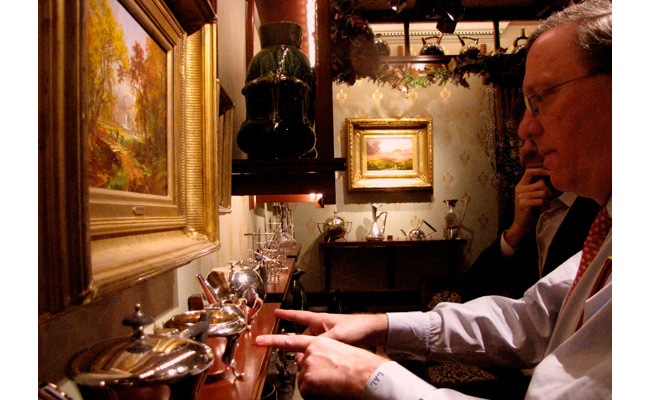 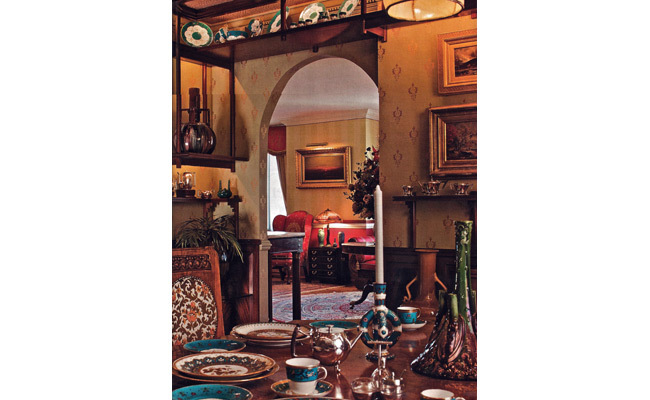 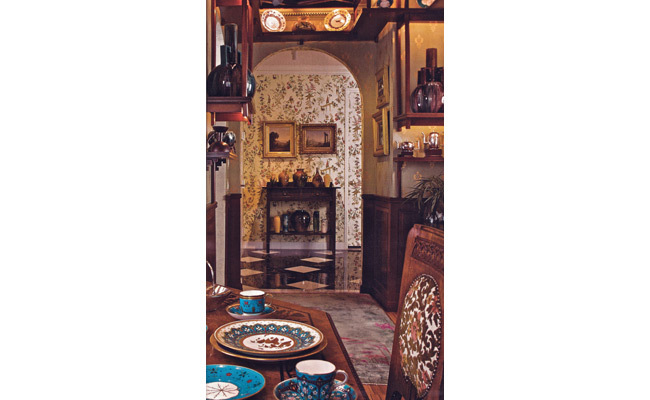 The mandate for a Manhattan dining room that is a mini-museum was the dense but proper display of an encyclopedic collection of Christopher Dresser glass, ceramic, and metalwork, exemplifying the Victorian design reform movement he inspired. 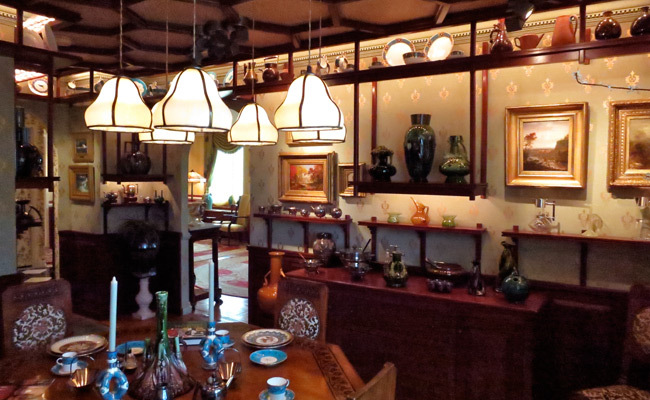 Christopher Dresser (1834-1904) was arguably the world's first professional industrial designer. 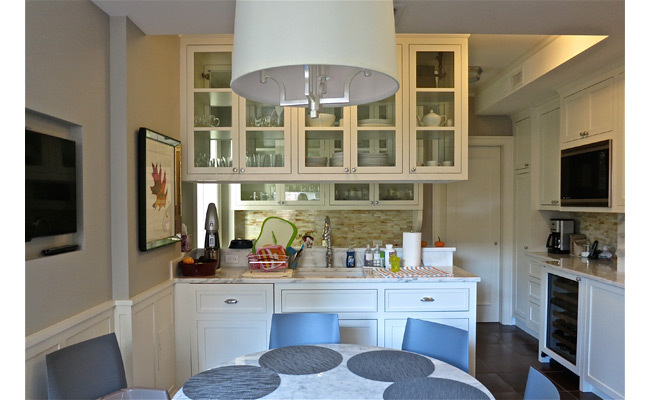 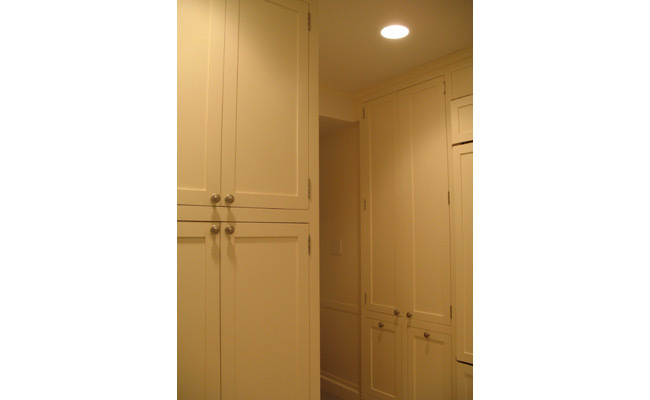 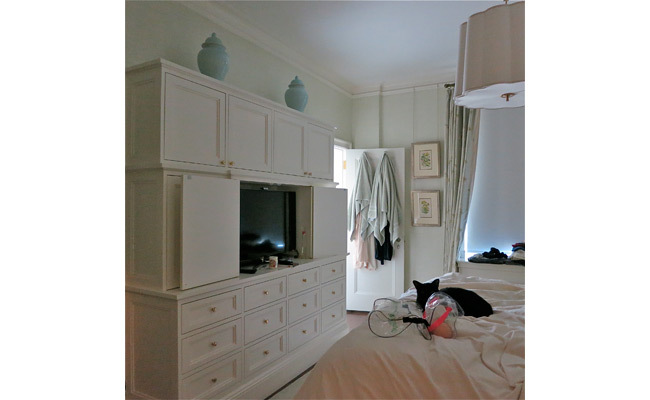 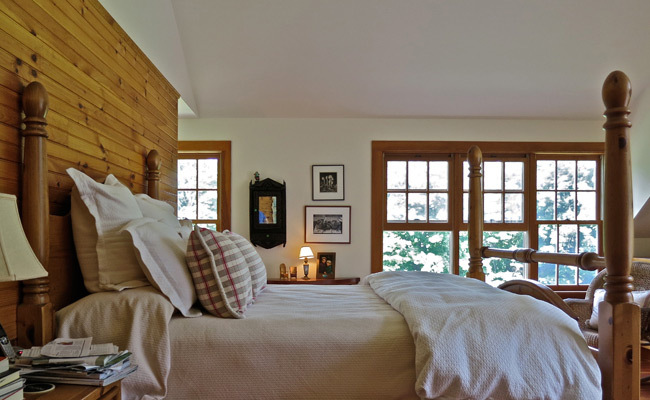 The client has said "This room was built with the sole purpose of bringing Dresser home." 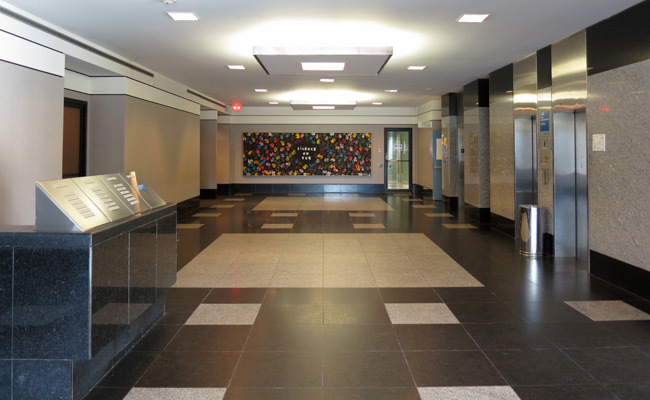 In 1956 the Abstract Expressionist painter Hans Hofmann created a wall-size mosaic on the elevator core of the lobby of this significant example of modernist architecture designed by William Lescaze. 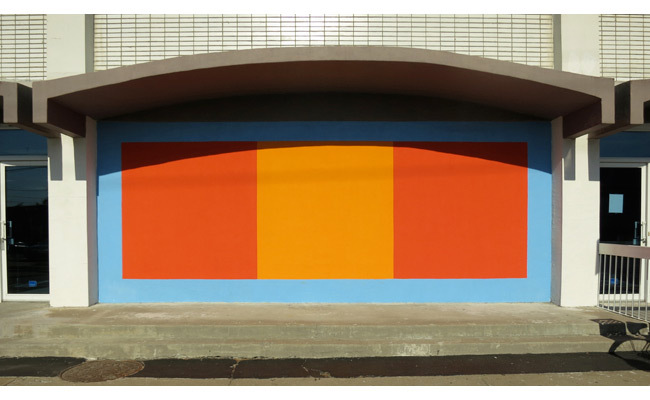 This work of public art is the centerpiece of the rehabilitation of the building’s public entrances and facilities by Archimuse. 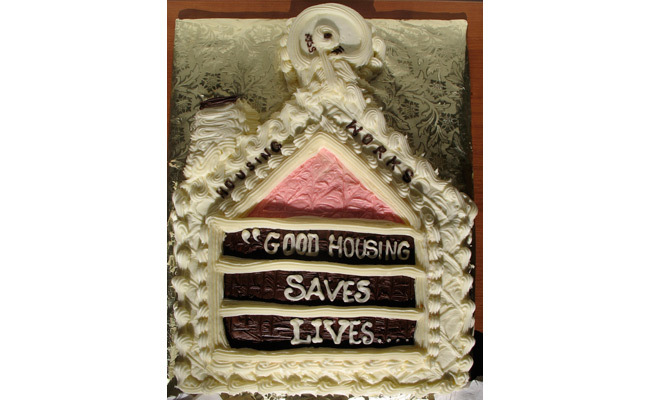 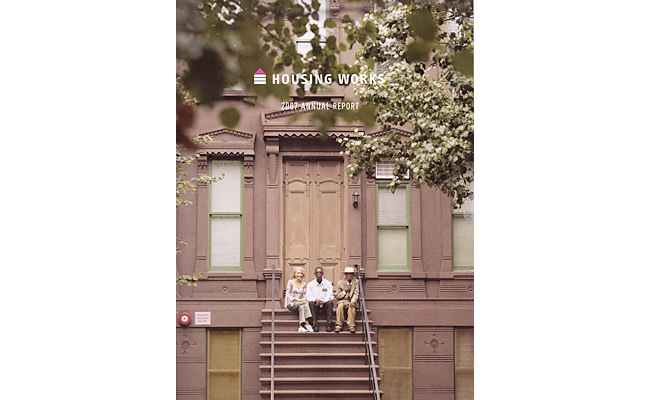 Housing Works has pioneered the development of the walk-in day clinic for homeless people with AIDS and HIV. 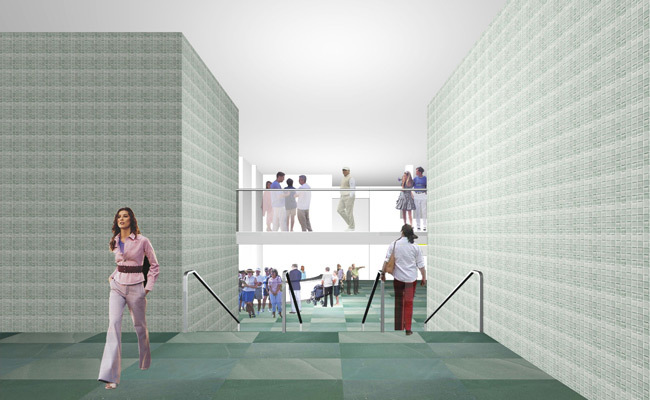 The clinics designed by Archimuse facilitate the humane treatment of disadvantaged New Yorkers at the core of Housing Works' mission. 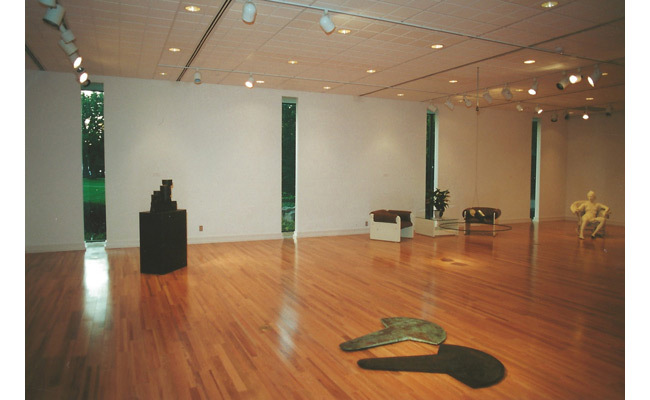 100,000 square feet of gallery and several acres of plaza and sculpture garden were designed and installed to national acclaim. 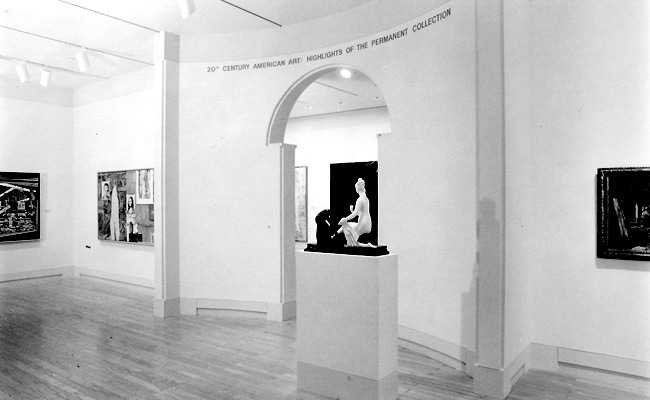 From monumental Auguste Rodin sculpture to diminutive Joseph Cornell boxes, all works of art were installed to allow each their greatest voice whether inside or outside. 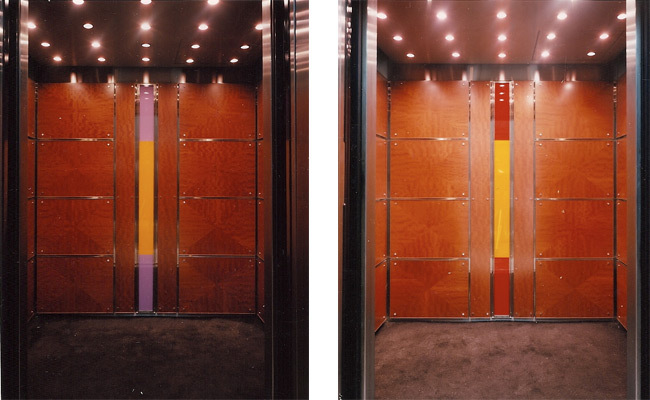 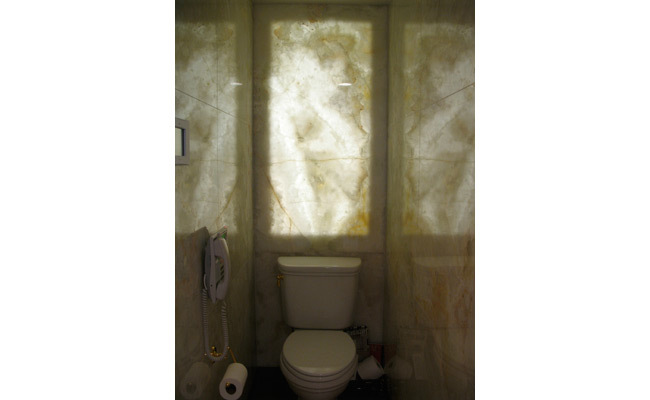 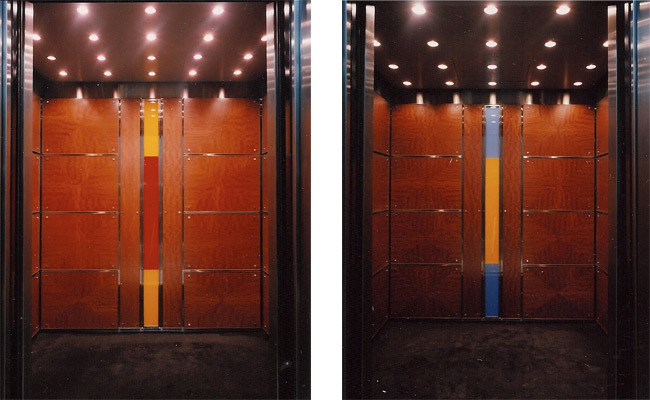 Archimuse designed the renovation of the elevator cabs, tenant floor lobbies, and restrooms between 1991 and 2000, using the same finishes and materials used in the street level plaza and lobby, including the integration of a series of minimalist glass paintings by Canadian artist Richard Perusse inside the four passenger elevator cabs. 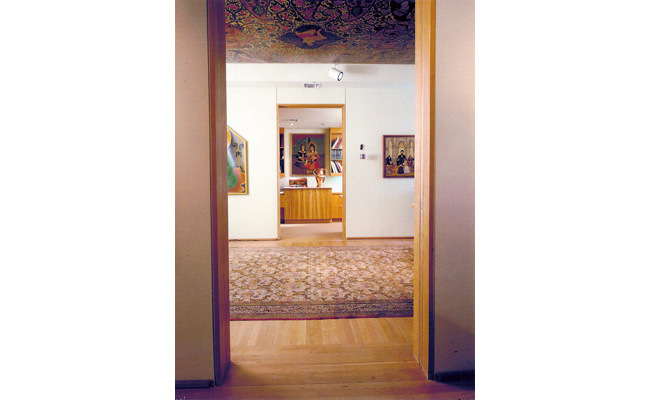 This International Style apartment building was designed by Harrison and Abramovitch and completed in 1965. 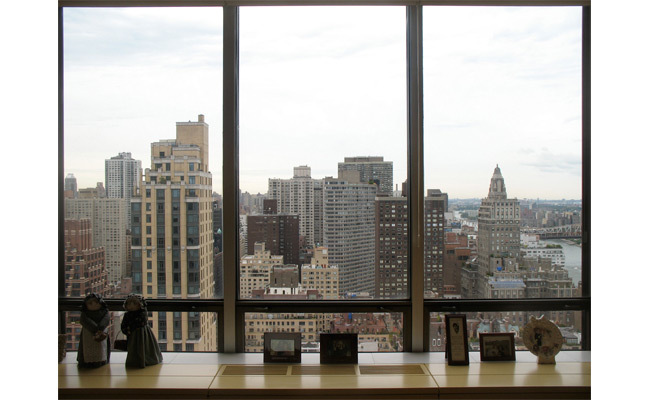 A duplex apartment was updated with an open plan perfectly suited to its continuous 1960s curtain wall with panoramic views of midtown Manhattan and the East River. 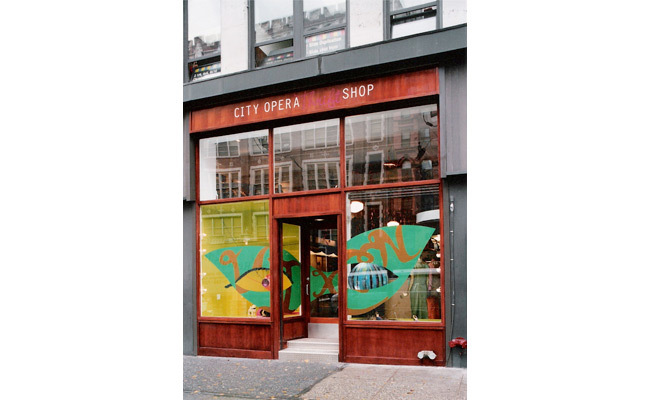 A pioneer in restoring dramatic urgency and theatrical flair to opera performance, New York City Opera was founded in 1943 with the purpose of making great opera available to a modern, wide-reaching audience. 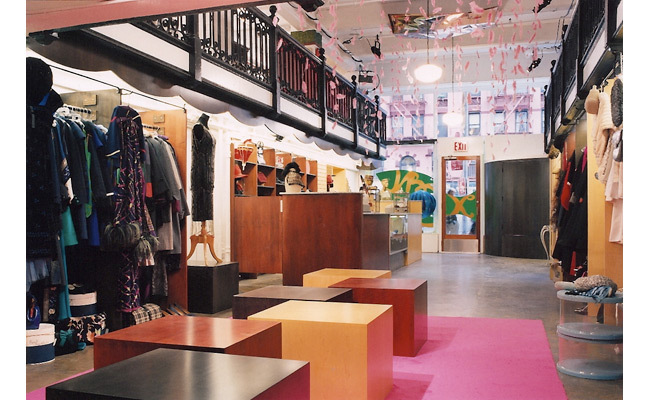 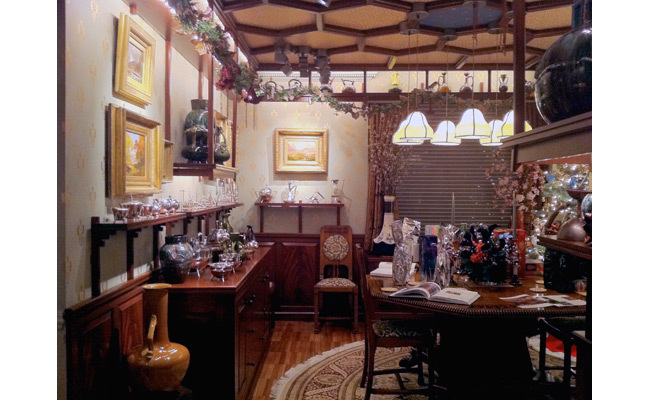 Its two level thrift shop on East 23rd Street encapsulates its artistic spirit. 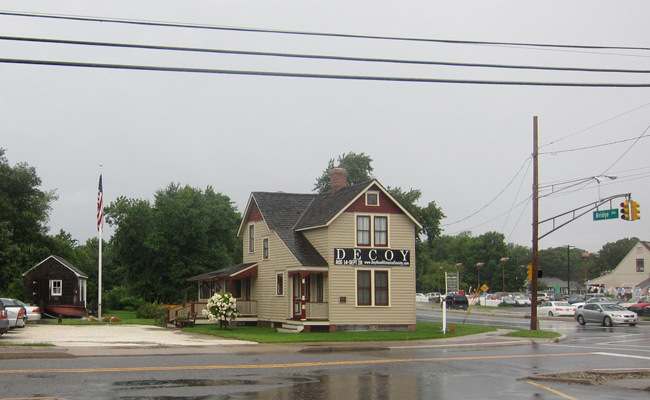 Bay Head, developed in the 1880s, was recognized as an historic district by the State Historic Preservation Office of NJ on November 18, 2005. 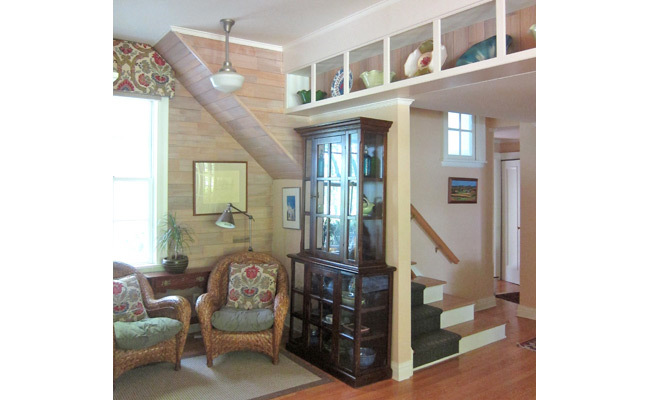 This two story house was built in the 1880s and is listed as a contributing building to the Bay Head Historic District. 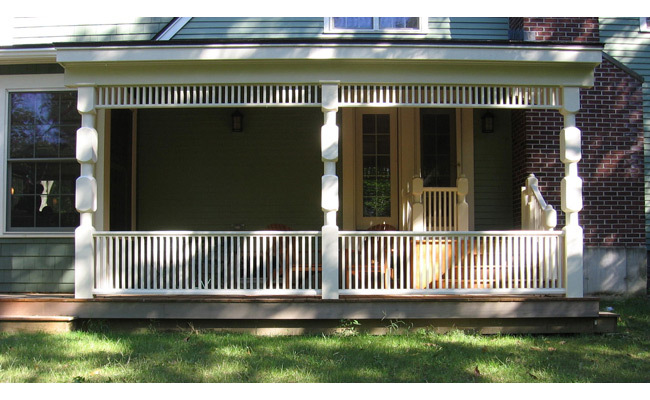 The addition to the ground floor of a master bedroom suite included expansion of the kitchen, an eating porch, an entrance with mudroom and side porch, and a legal outdoor shower plus rear porch—in all, three new entrances and porches created additional to the 1880s porch and front door. 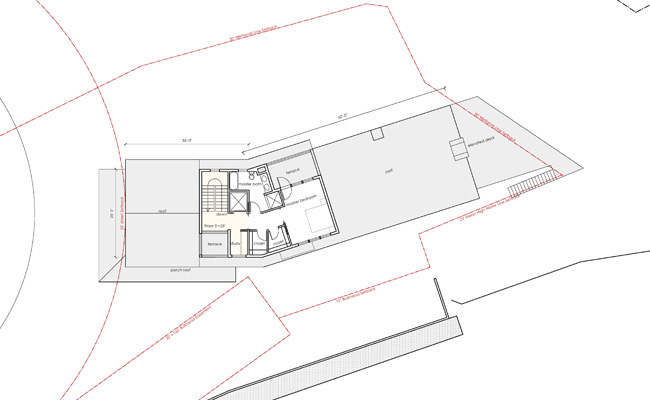 The space of the ground floor addition is free flowing, while the interior of the historic house was restored to its original period on both floors, and a new freestanding garage and garden pavilion at the rear of the property is in design development. 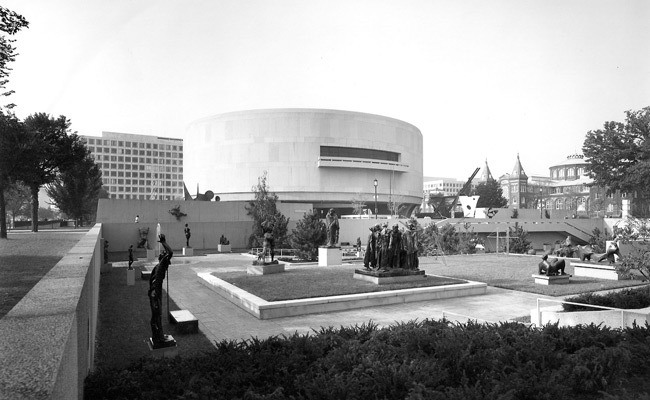 The Knoxville Museum of Art, with its two side courtyards, stands on a bluff overlooking the 1982 World’s Fair site. 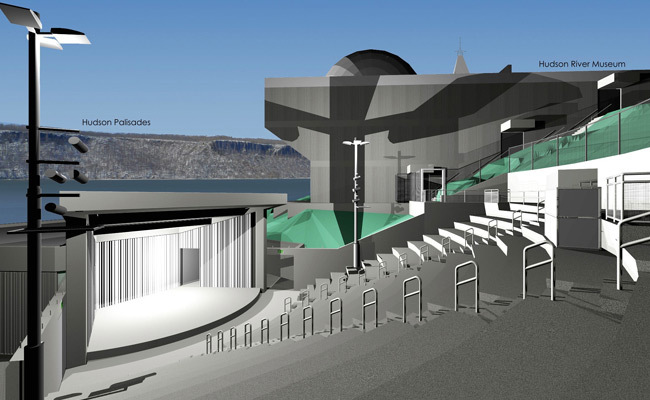 The public entrance is above; the service entrance is at the bottom of the bluff. 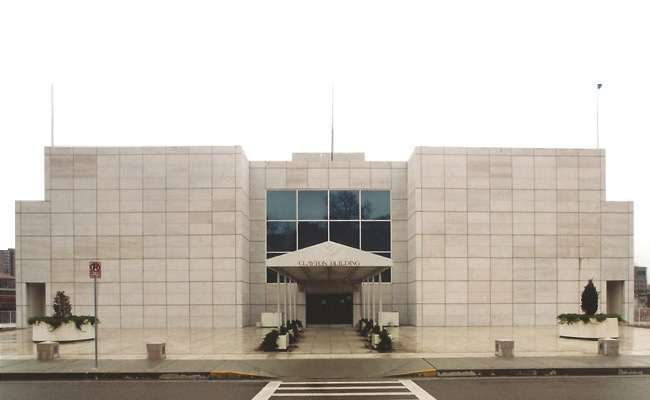 Clad with local Tennessee marble, the plan of this city’s first art museum creates zones with quiet, serene and naturally lit gallery spaces above, and a multi-functional community center, with museum shop, auditorium, and restaurant below. 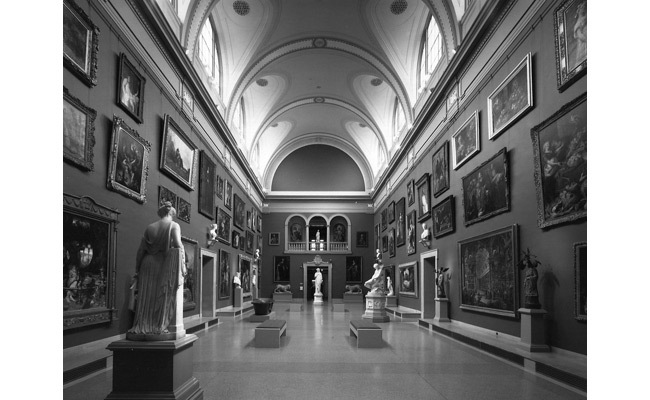 The Morgan Memorial Building, home to the Wadsworth Atheneum’s collection of American and European paintings and designed in 1907 by Beaux-Arts architect Benjamin Wistar Morris, was built by J. Pierpont Morgan between 1908 and 1915 in memory of his father, Junius Spencer Morgan. 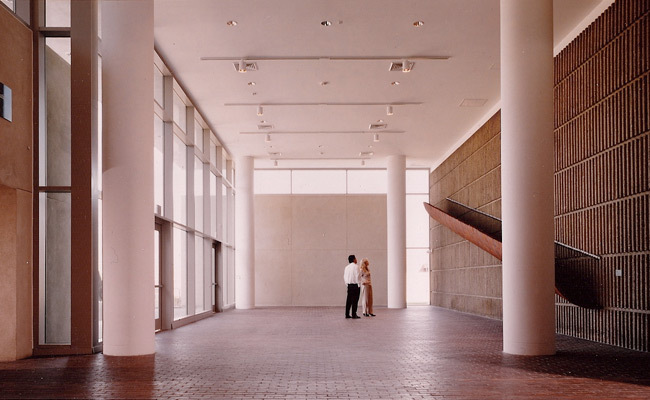 In the 1960's the Morgan Great Hall was painted a uniform shade of white from baseboard to barrel vaults robbing this great building of its architectural identity as a home for art. 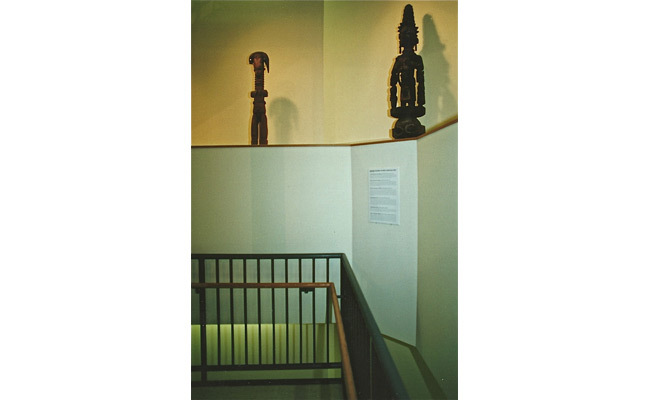 In 1987 the Hall was evocatively restored with a salon style installation of paintings and sculpture fitting the character of the restoration. 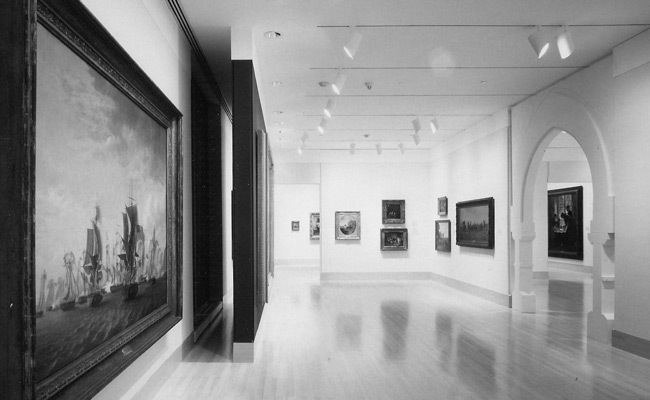 Due to this attentive restoration and installation, Morgan Great Hall is now a vastly successful multi-use space for the oldest public art museum in the United States. 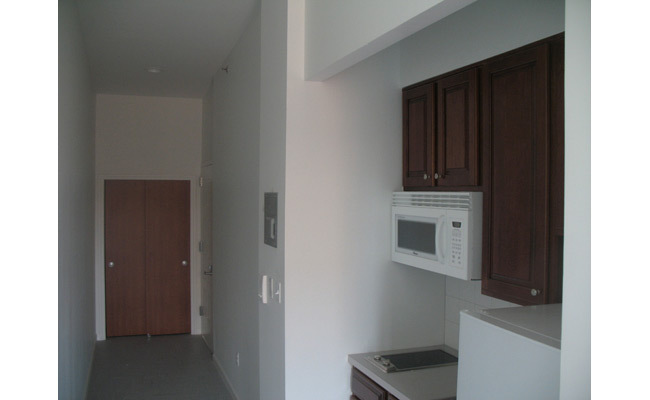 Housing Works Harlem Housing was a total (gut) renovations completed in 2007. 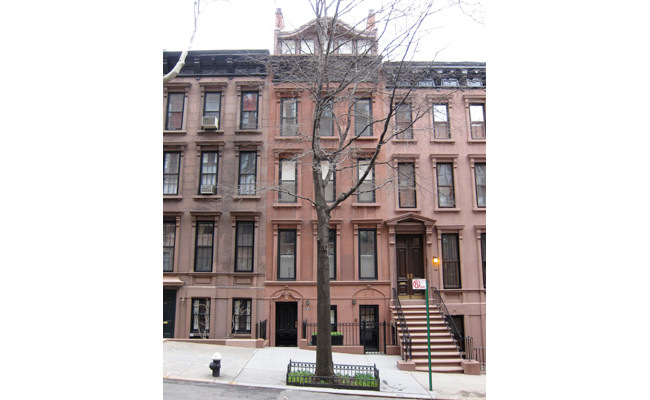 On West 130th Street In Harlem, two brownstones were combined into a single multi-dwelling building with elevator, internal fire stairs, 11 dwelling units, support staff offices, and common areas. 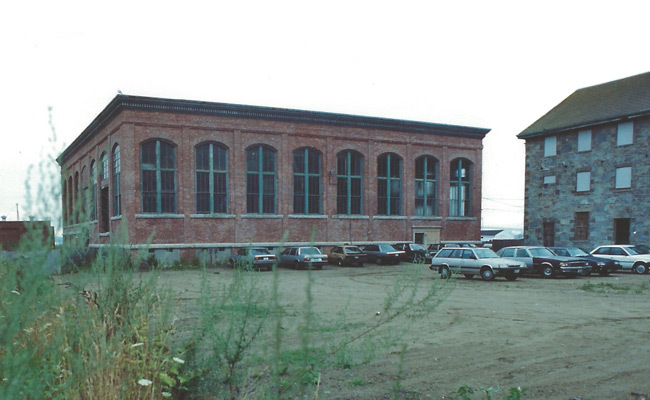 The facility is graced with a restored rear garden. 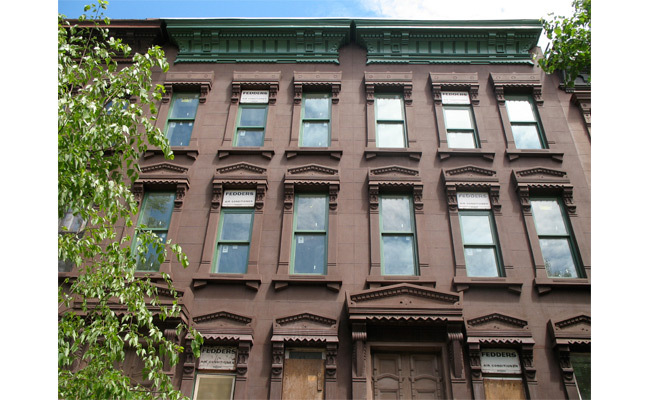 The Harlem project was funded by the New York State Dormitory Authority. 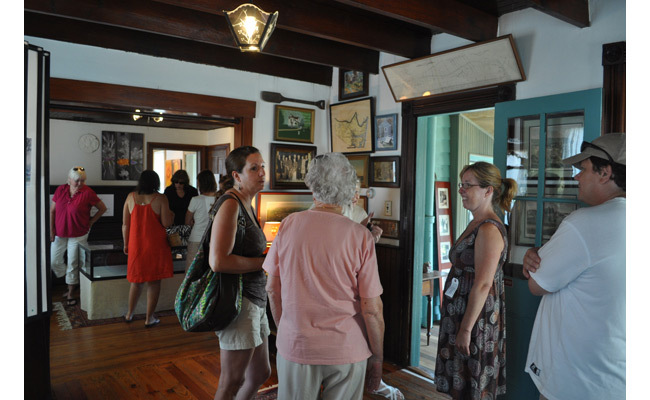 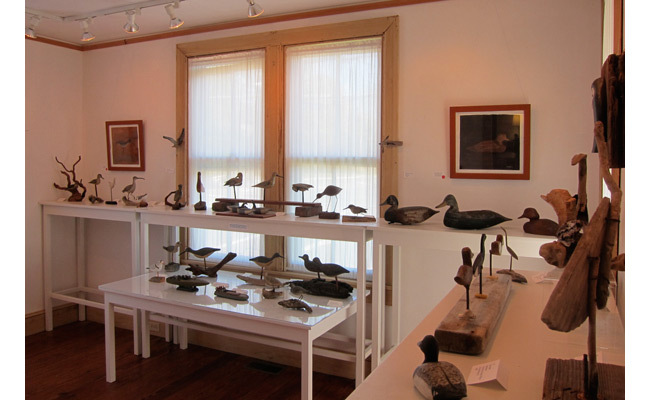 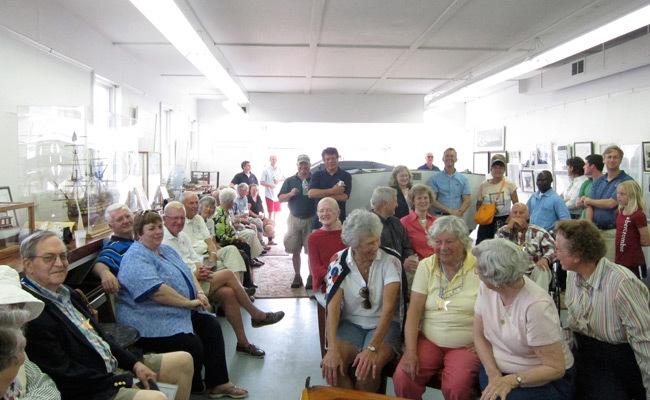 Bay Head Historical Society interprets Bay Head, Mantoloking and Lovelandtown with a museum fitted into a nineteenth century Victorian shingle and clapboard farmhouse. 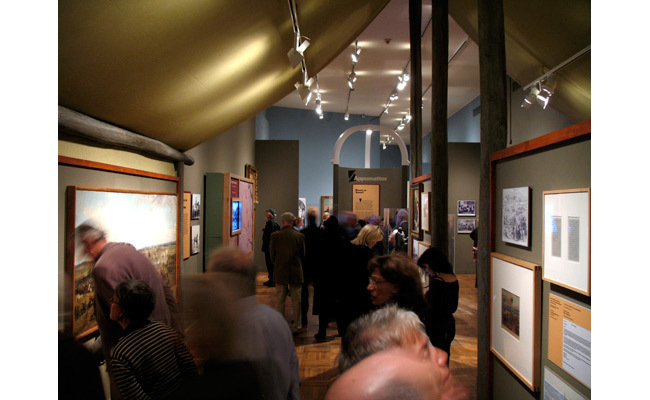 Archimuse has guided the restoration of this historic structure and its use as a museum with changing exhibitions galleries. 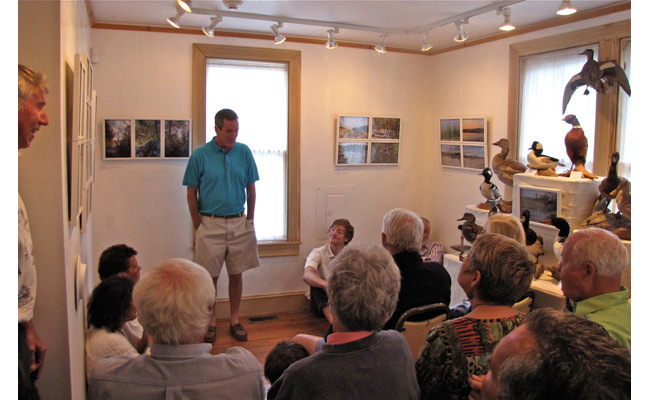 Ben Kracauer has been its curator since 2003. 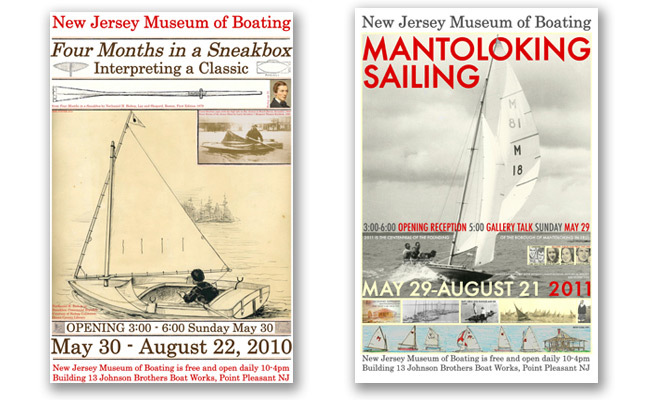 The New Jersey Museum of Boating is located on Trader’s Cove, a newly developed waterfront park on the Barnegat Bay in Brick, New Jersey, within the Mantoloking Historic Maritime District. 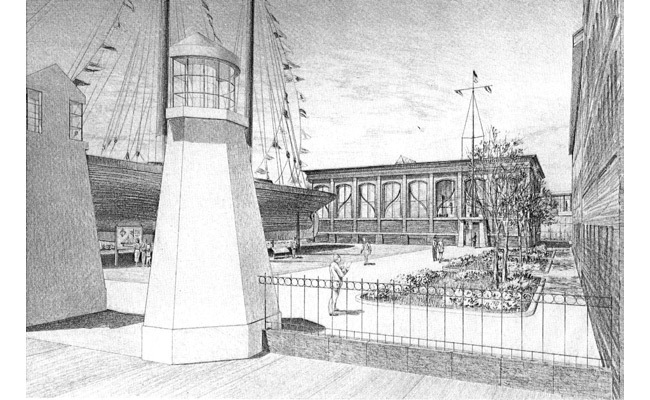 The museum will have three components: Education Pavilion, Exhibit Pavilion and Boatyard. 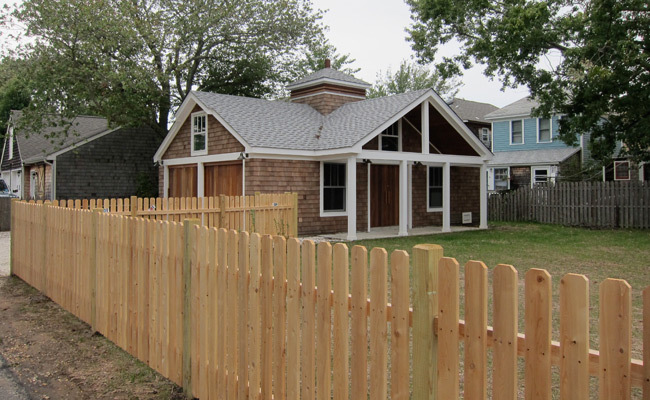 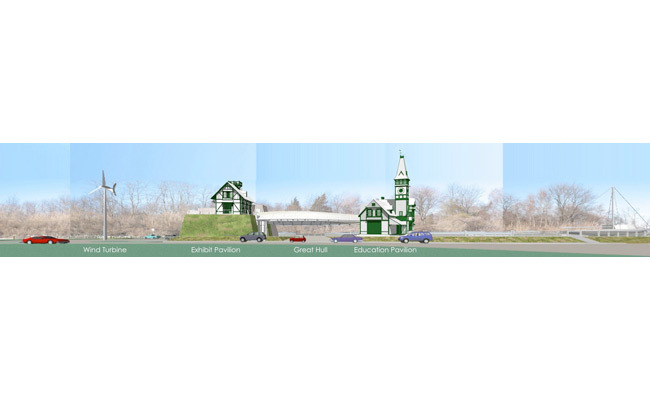 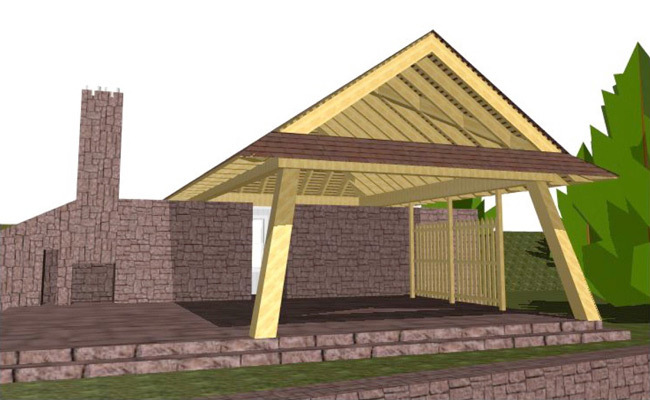 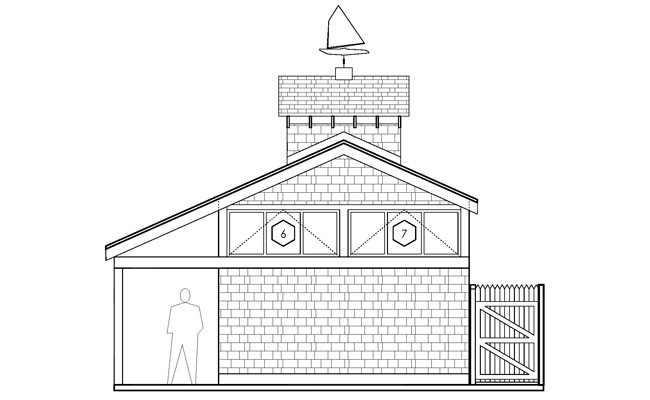 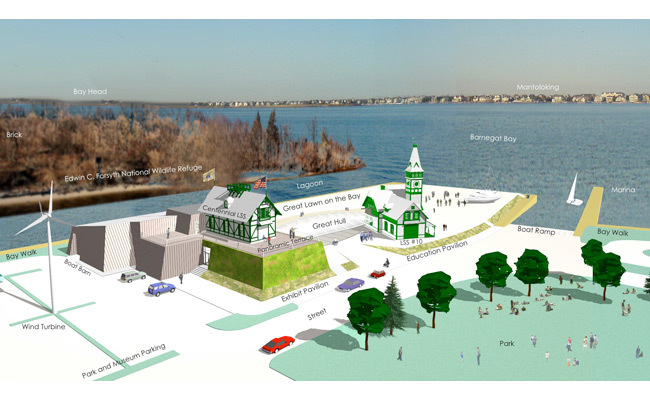 The Education Pavilion will be housed in a replica of Life Saving Station 10, originally located in Bay Head, New Jersey in the 1880’s, and lost to fire in the 1920’s. 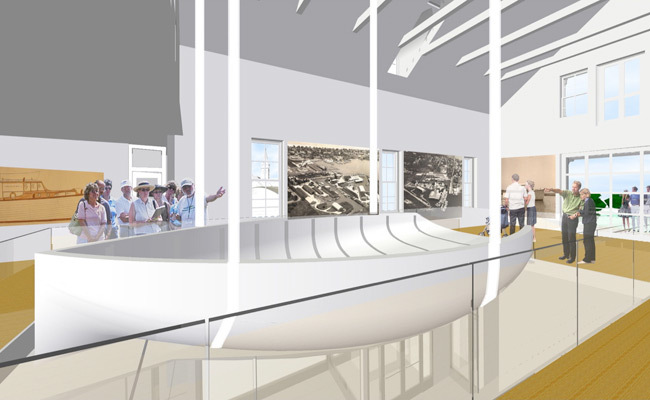 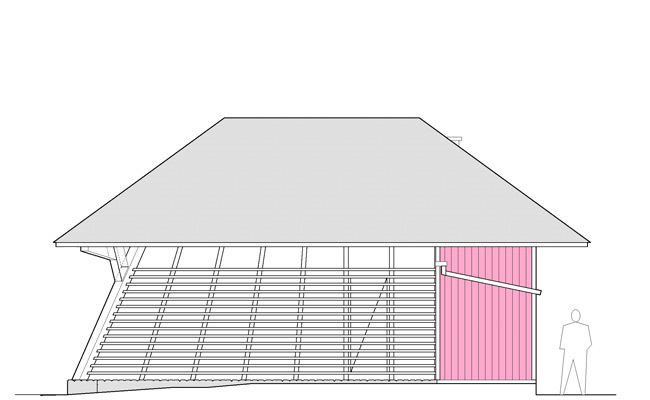 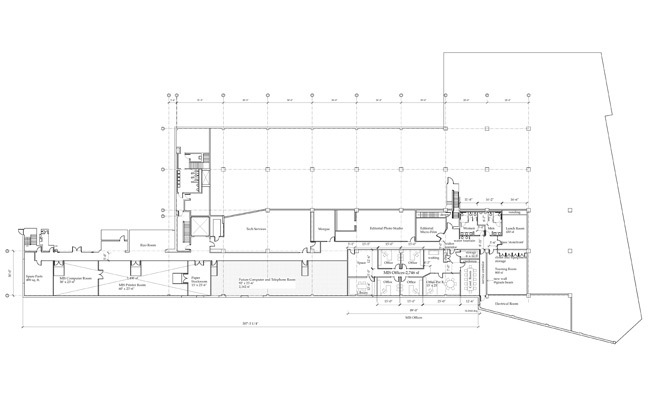 It will accommodate a boat building classroom and a collections study classroom, as well as museum offices. 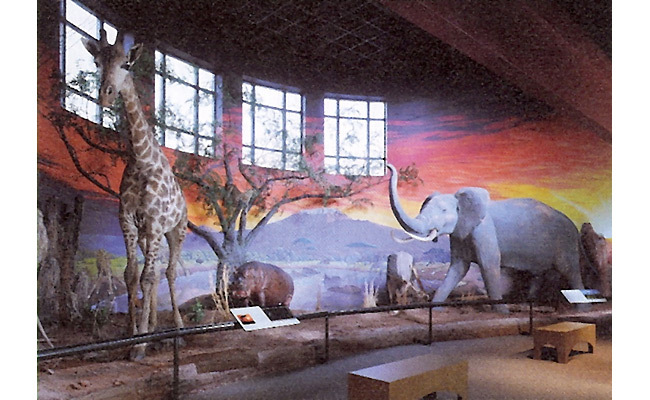 The Exhibit Pavilion will contain Special Exhibitions Gallery and Multimedia Auditorium with state-of-the-art exhibition and conservation environments. 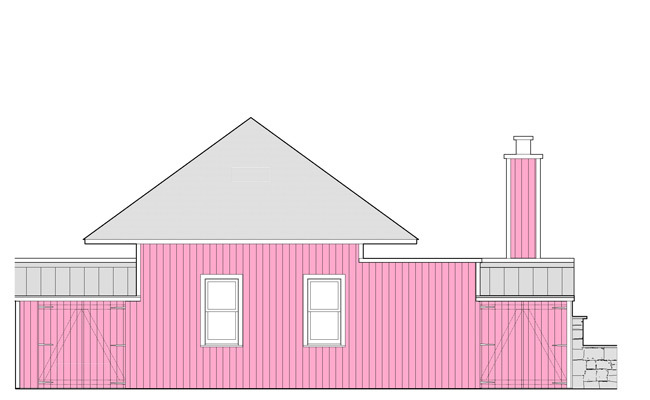 The Special Exhibitions Gallery will be housed in a replica of the Centennial Life Saving Station, built by the Life Saving Service as an exhibit for the 1876 Philadelphia Centennial Exposition, and subsequently moved to Cape May, NJ where it was lost to fire. 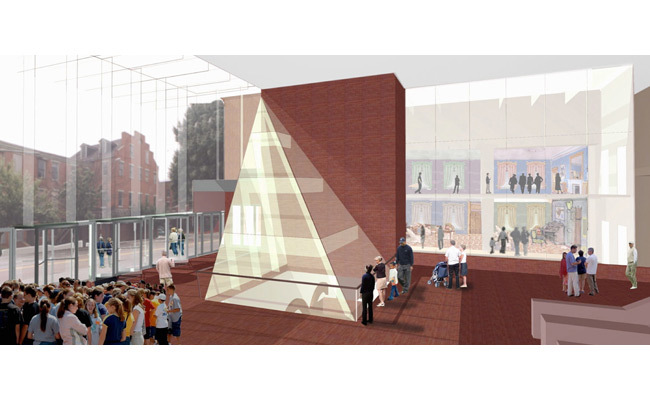 The Special Exhibitions Gallery will be placed on top of a one-story podium housing the Entrance Lobby and Multimedia Auditorium, among other functions, and covered on its exterior by a vertical garden of local vegetation. 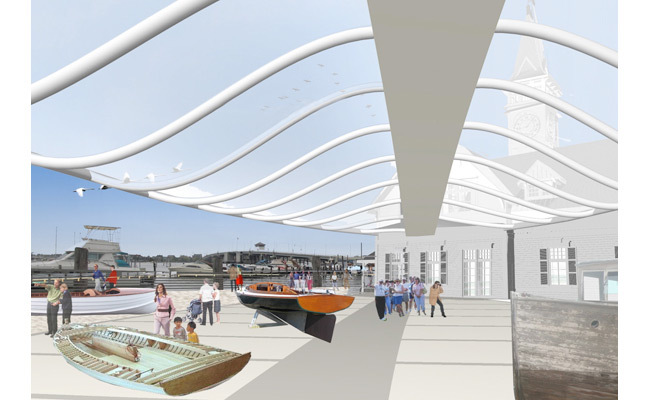 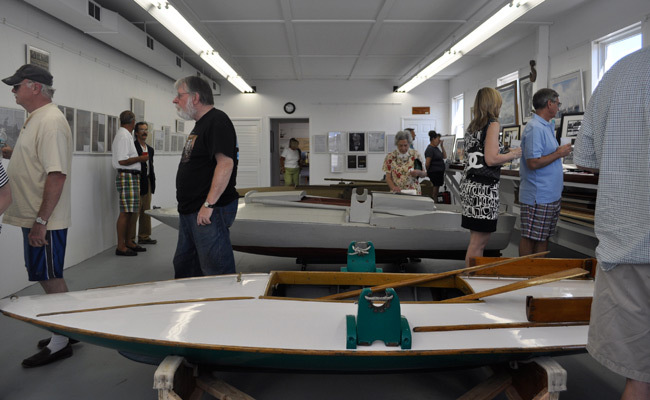 The Boatyard will feature on a rotating basis the Museum’s permanent collection of historic New Jersey Boats, as well as a Gala Tent during special outdoor events. 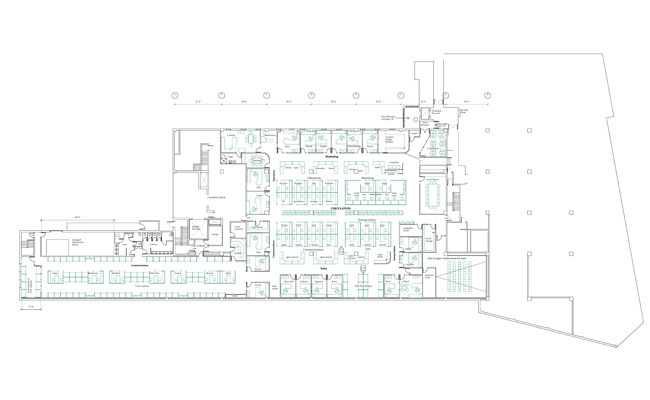 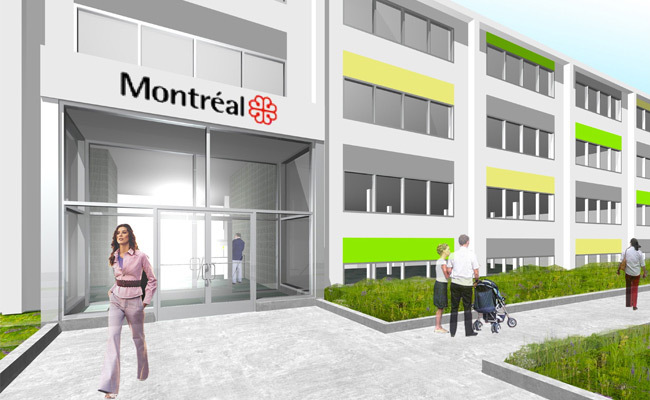 Sustainable design features will include solar power, wind power and a LEED rating. 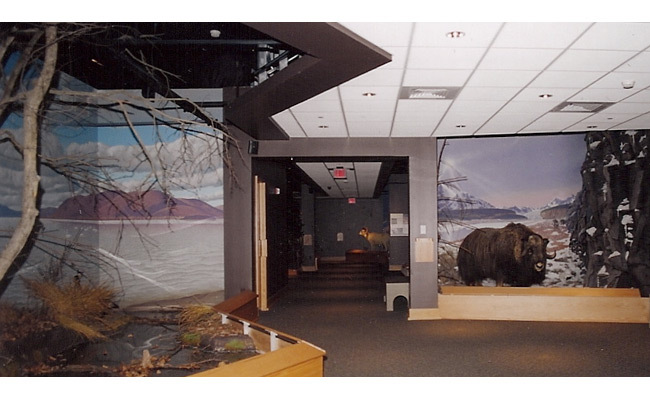 The Oakes Museum of Natural History is a new two level museum on the campus of Messiah College. 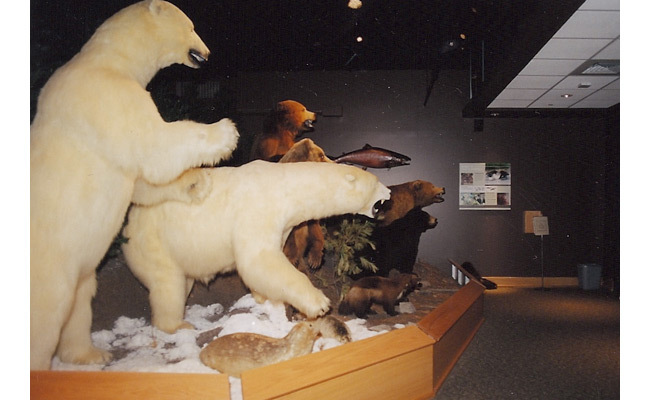 The Museum’s natural history collections have both regional and national significance. 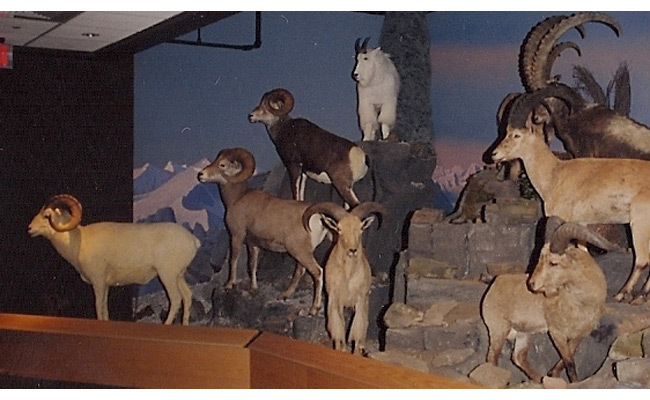 Additionally, the Museum has researched and commissioned the seemingly lost art of diorama display. 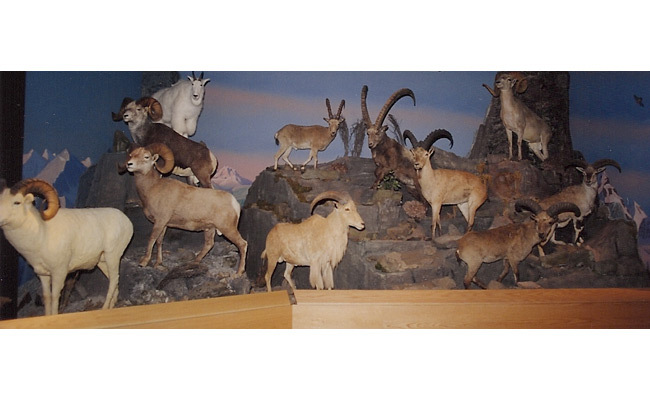 This revival is not done in the interest of revival but, rather, as a remarkable method of presenting prime specimens in a context which is both educational and entertaining to the Museum’s ever-increasing public. 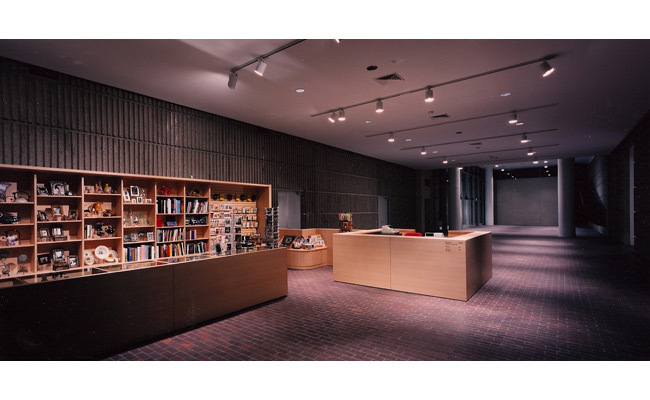 The task at the Phillips Museum at Franklin & Marshall College involved connecting a series of museum functions scattered in a disconnected and undistinguished way within a strongly articulated building designed by Minoru Yamasaki and completed in 1974. 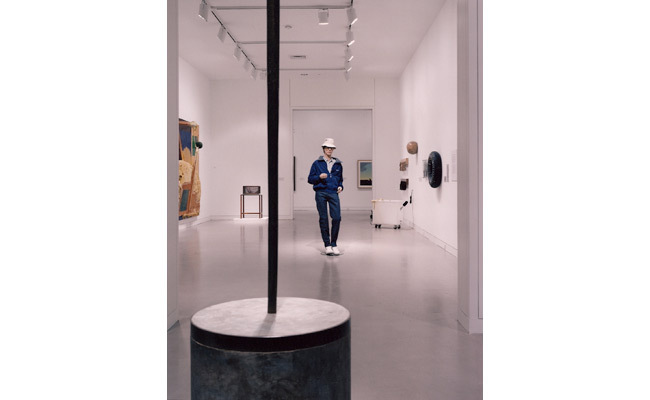 The success of the project is in its understanding of the museum’s program, the teaching needs of the faculty, the learning needs of the students, and the college’s institutional goals. 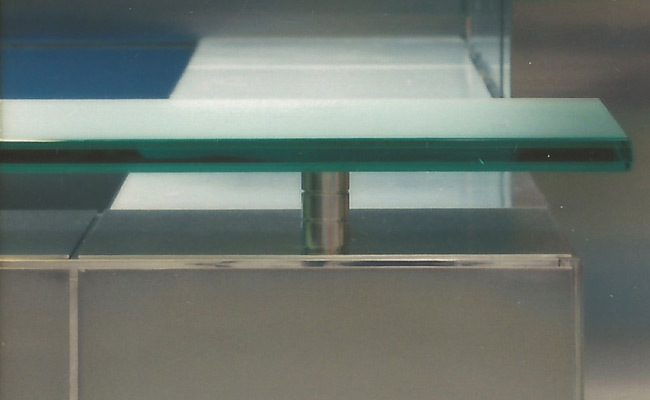 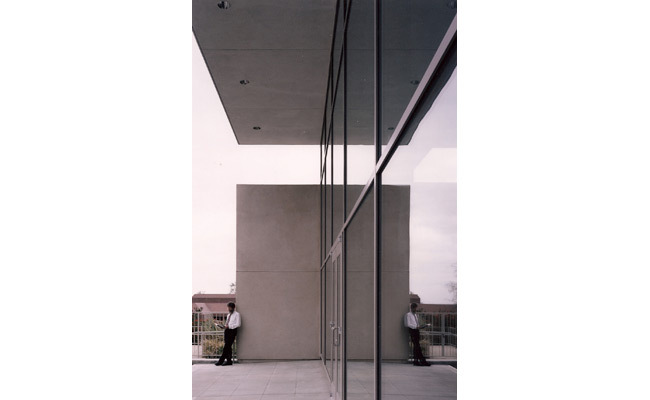 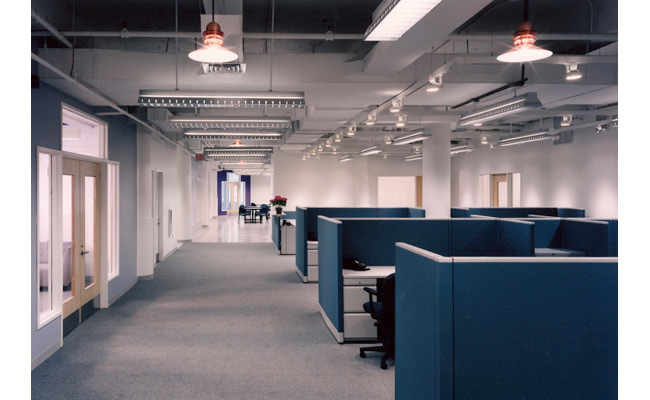 We were particularly sensitive to the “bones” of the Yamasaki building as we sought solutions to combining spaces on three levels of the building into a functional and coherent architectural whole. 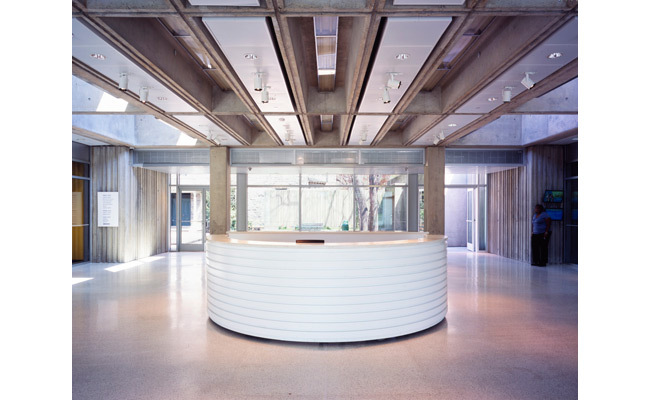 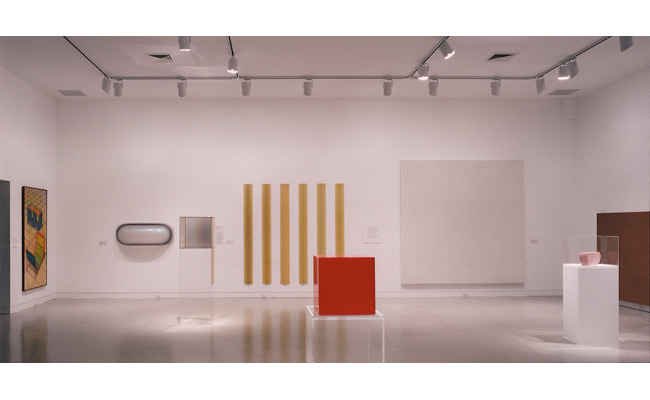 The Phillips Museum seems larger than it is by clearly defining its progression of volumes, and relating strongly to the Yamasaki building internally as well as to the growing cultural activities context within the surrounding Franklin & Marshall campus. 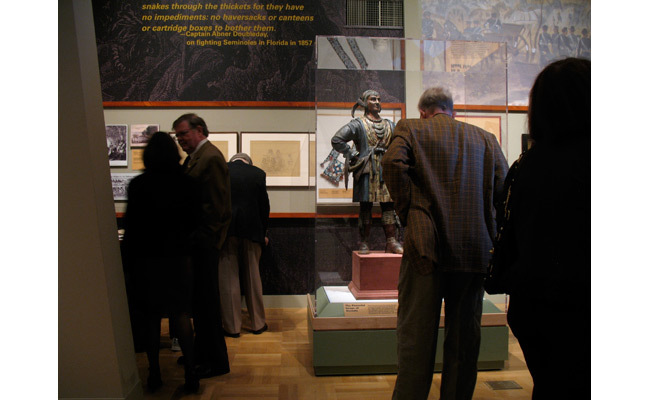 Casting a dramatic new light on the events that defined a nation, from the conflicts and rivalries of a fast-growing young republic to the fitful efforts at reconstruction after a terrible Civil War, the New-York Historical Society presented the major exhibition Grant and Lee in War and Peace from October 17, 2008 through March 29, 2009. 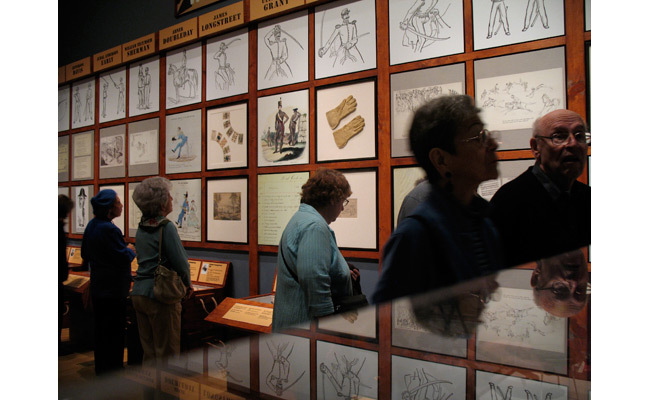 Designed by Archimuse, organized by the New-York Historical Society in collaboration with the Virginia Historical Society, the exhibition explored the most critical decades in American history through the lives of two towering men. 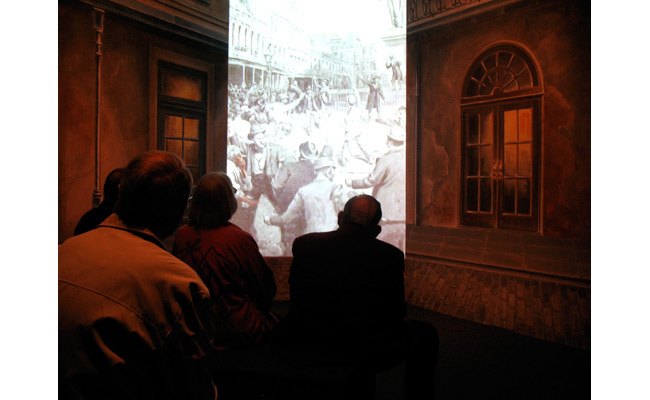 By telling the stories of Ulysses S. Grant (1822–1885), commander of the Union armies and later 18th President of the United States, and of Robert E. Lee (1807–1870), commander of the Confederate forces, the exhibition brought to life not only these two compelling figures but the forces that have shaped America, in their time and our own. 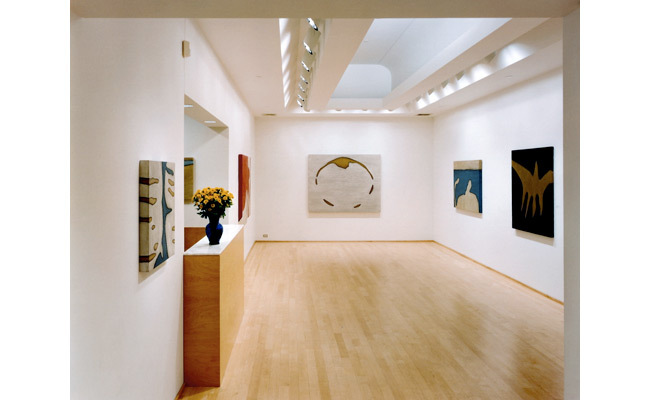 Located on Manhattan’s Upper East Side, the headquarters for this 255-year old auction house incorporates six floors of consignment storage, expert research, cataloging and exhibition areas for the various art and art object categories. 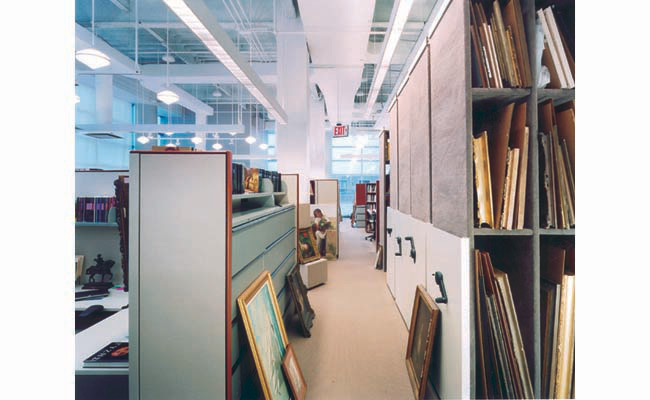 Archimuse designed all property storage for all departments, and all new exhibition furniture. 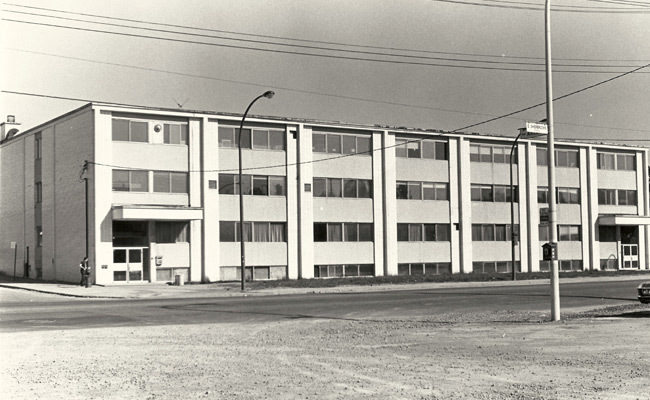 Analysis of several potential sites and final site selection, along with program development for the facility, were the key components of the first stage of development for this institution. 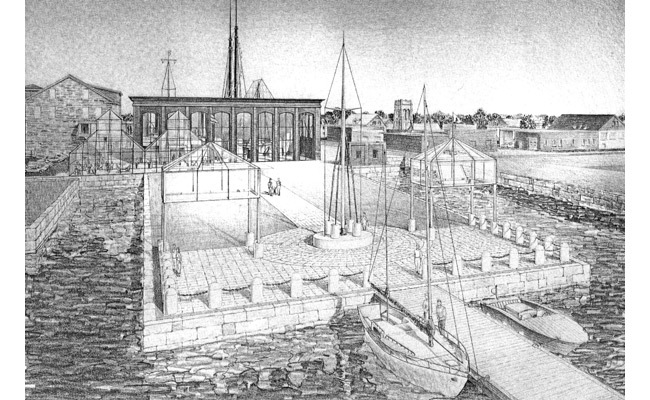 The selection of a 1910 power plant on the Newport waterfront provided enormous potential for indoor exhibits and wide-screen theater, while several acres of site allowed for dry-dock installations and a 300 - 400 linear feet of dock for historic vessels. 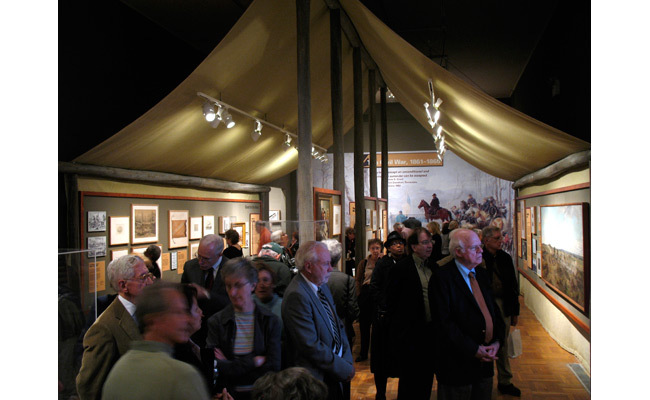 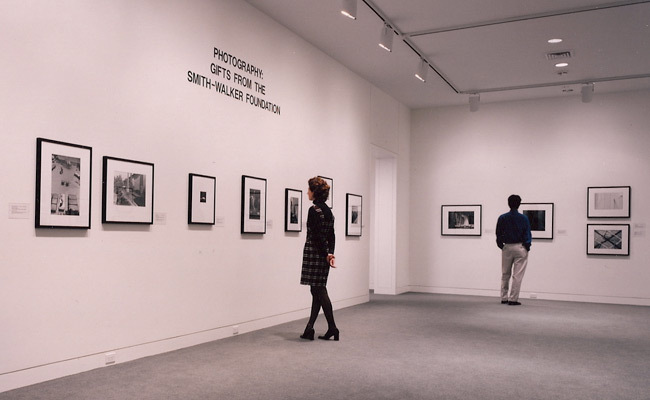 All the special exhibition galleries as well as several permanent collections galleries were occupied by this every-four-year international exhibition. 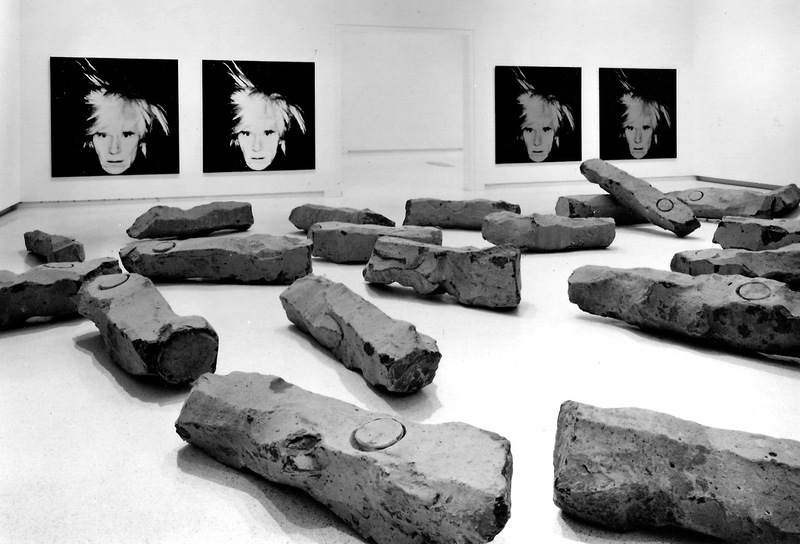 Works of art from Andy Warhol and Joseph Beuys to the most demanding and complex of site specific works were installed in approximately 25,000 square feet. 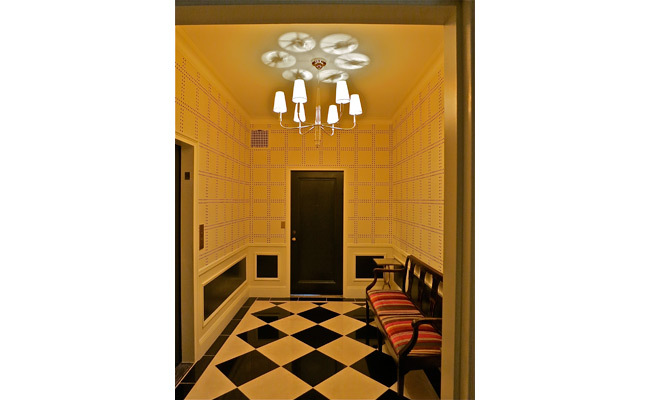 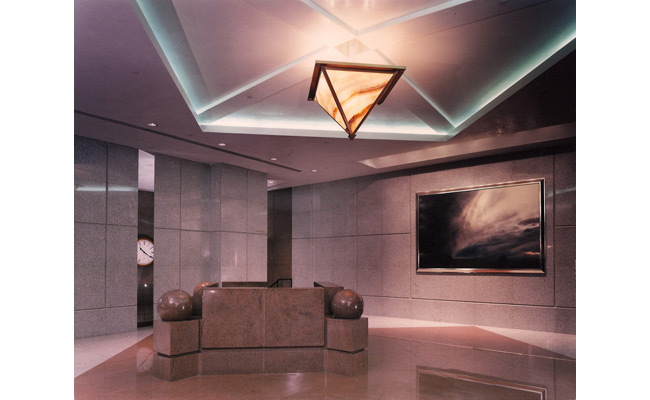 Historic architecture with modern and contemporary works of art were unique ingredients requiring equally unique lighting design solutions. 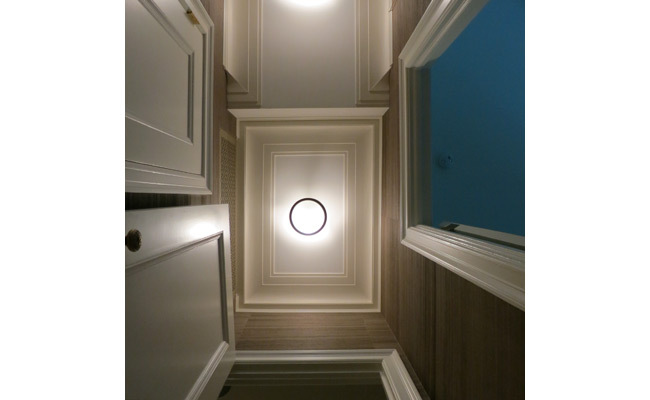 Above the laylight and below the glass skylight, custom lighting sources are to be fabricated and installed in a second phase renovation. 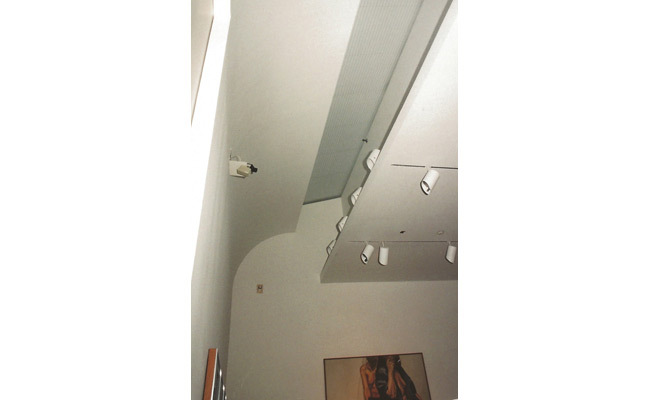 In the first phase, the subtle introduction of a museum-quality lighting system on both levels of the gallery was accomplished while honoring the original character and detail of the space. 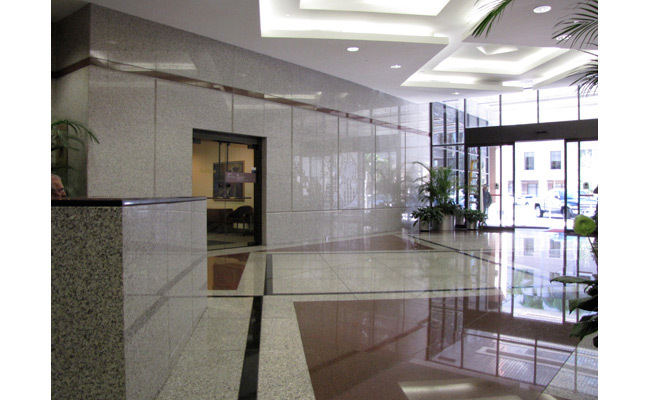 The entrance lobby of this 1970s era office building in Coral Gables was completely renovated with beautiful and durable stone finishes and complimentary lighting. 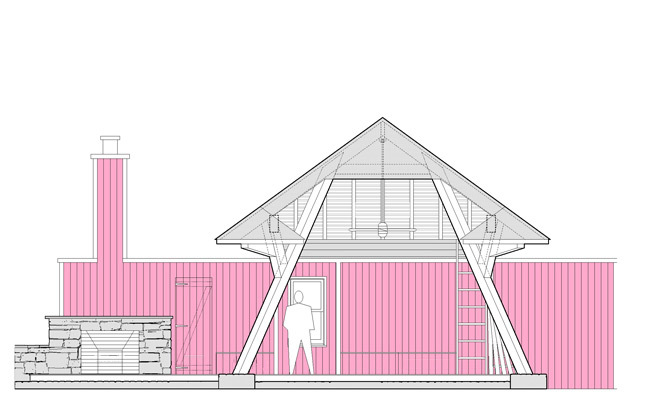 This is a big small building - big ideas, big forms, daring wood structure, small open air pavilion with vernacular details. 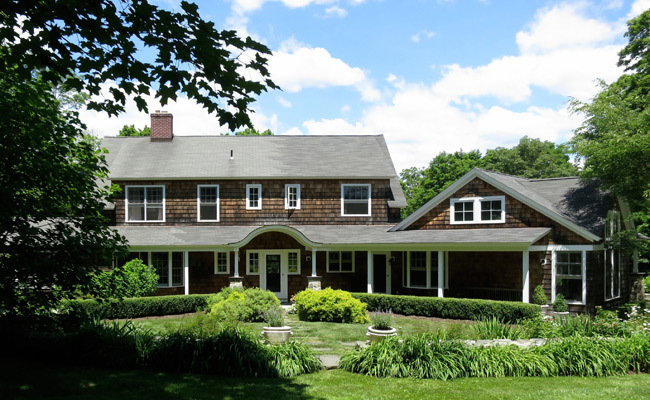 This Colonial Revival house was built in the 1920s for the president of the New York Stock Exchange. 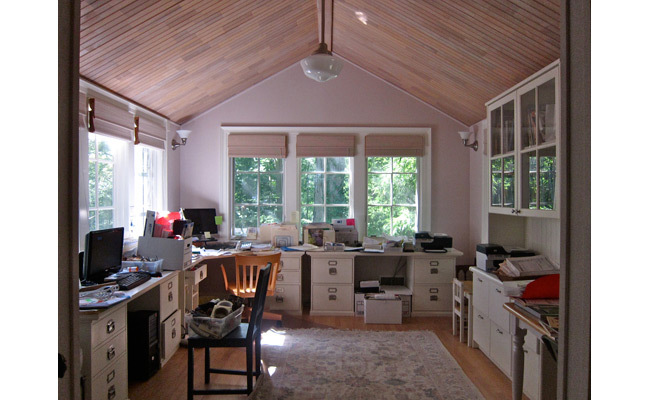 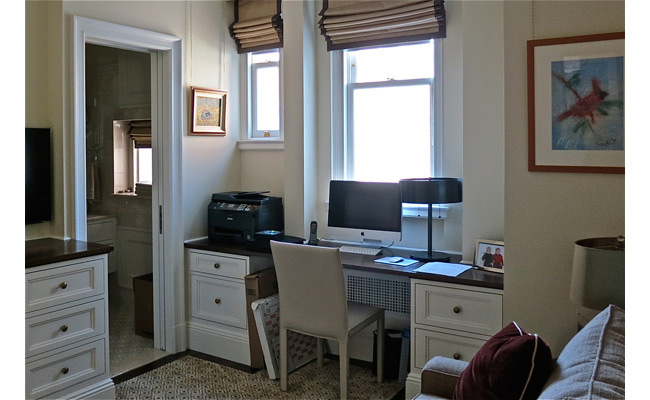 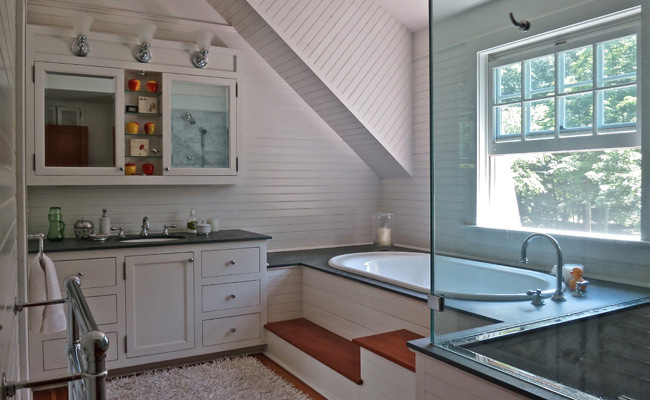 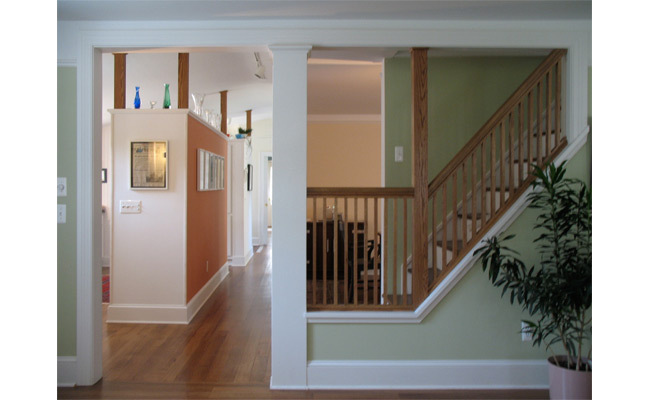 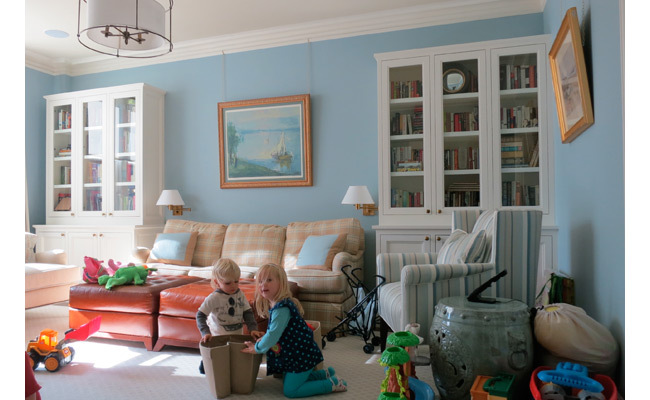 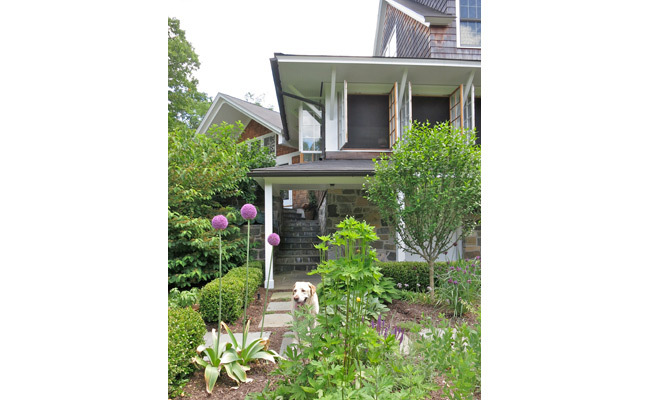 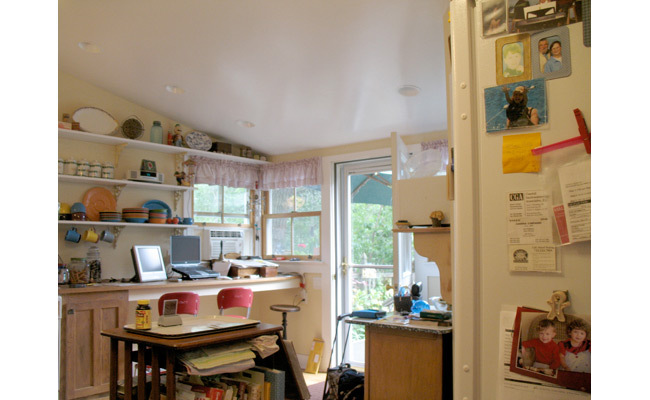 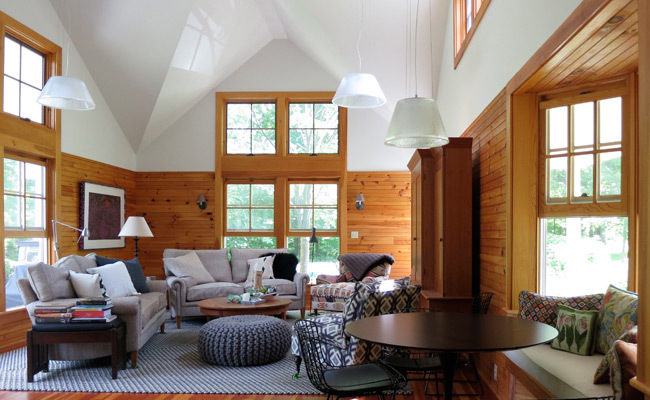 The current owners, with four small children, asked for a mudroom entrance addition, a home office addition, and a greatly enlarged family room and kitchen, while restoring the integrity of the architecture of their early twentieth century house. 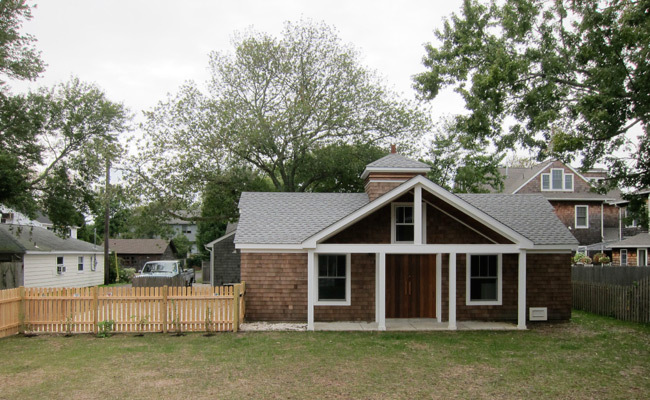 An addition to an 1980s suburban house has transformed it into a Massachusetts saltbox with windows instead of walls. 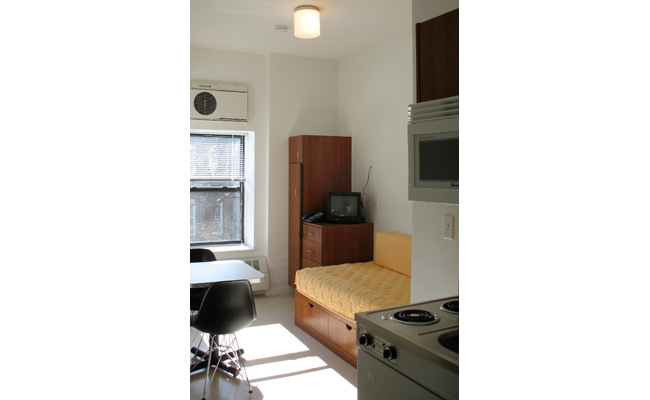 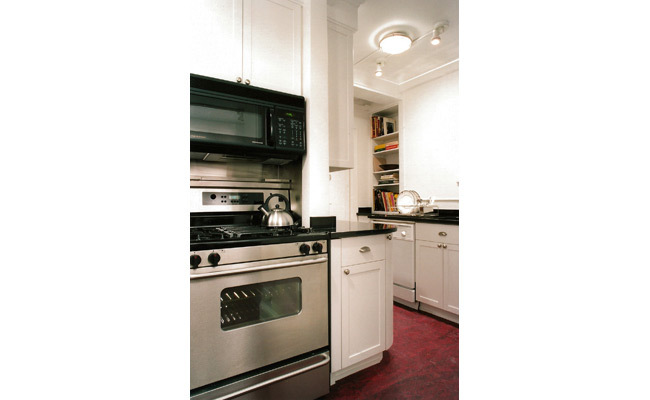 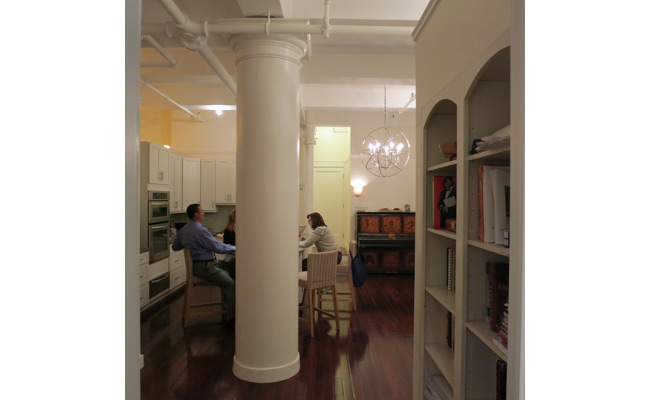 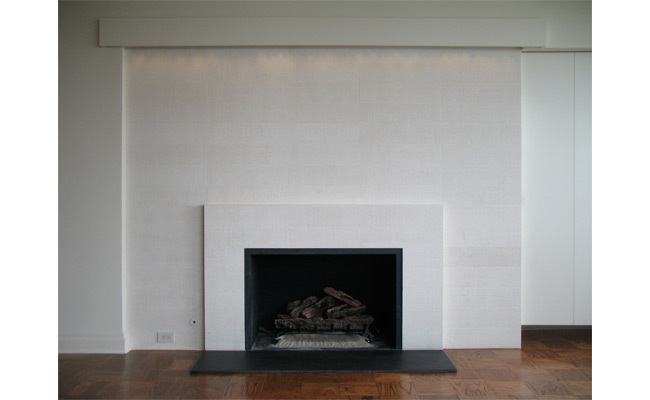 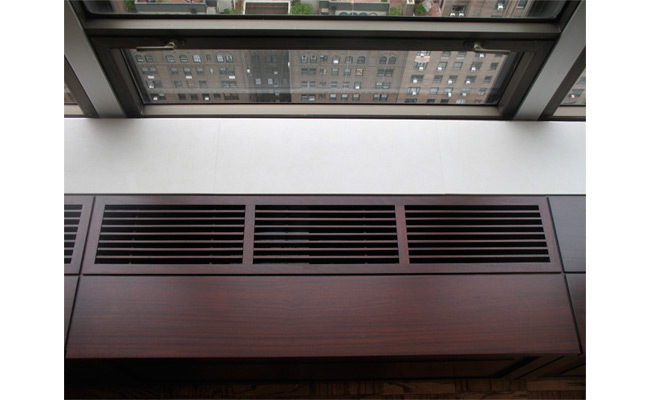 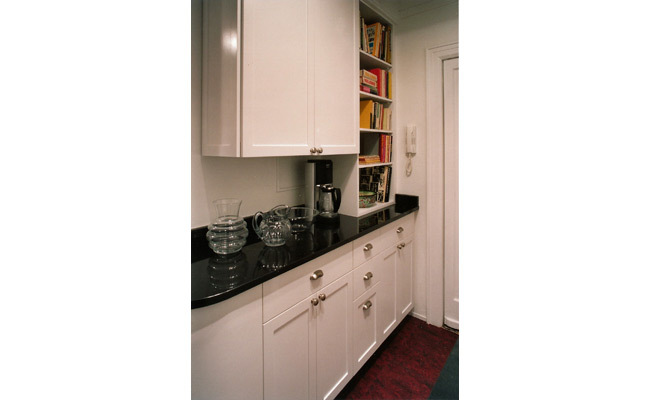 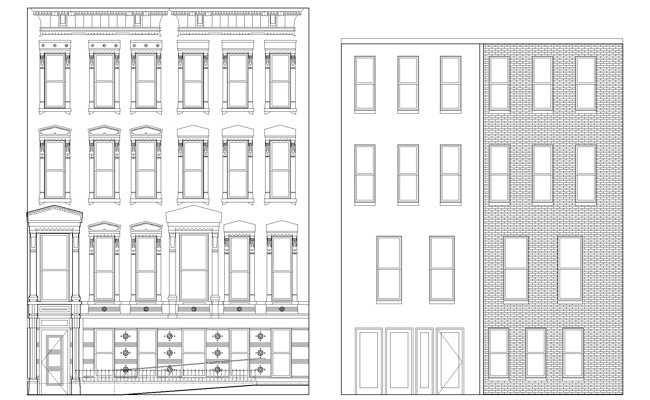 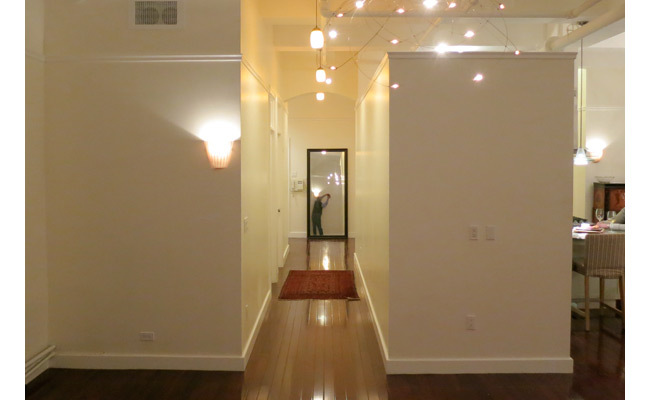 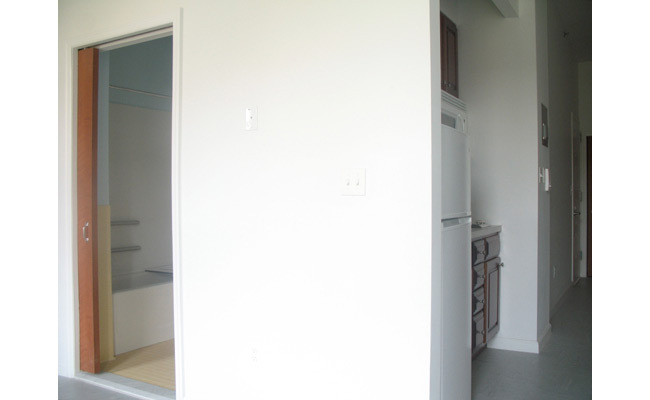 Our smallest project in New York, we like its intimacy and pre-war character. 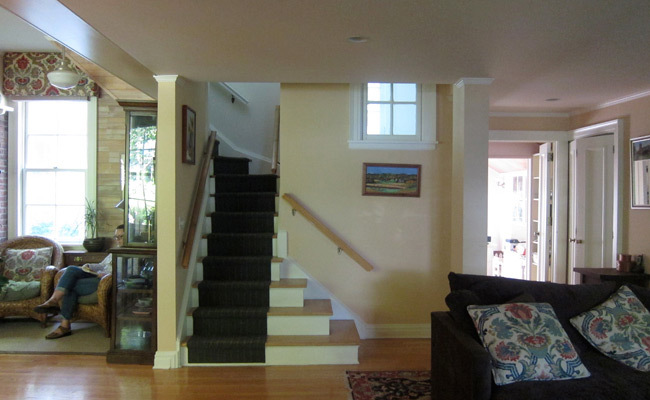 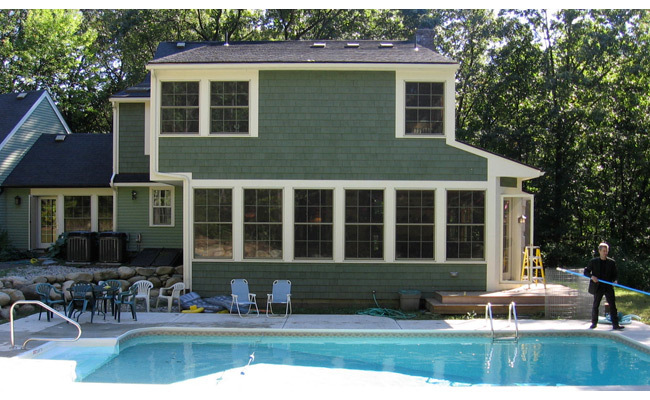 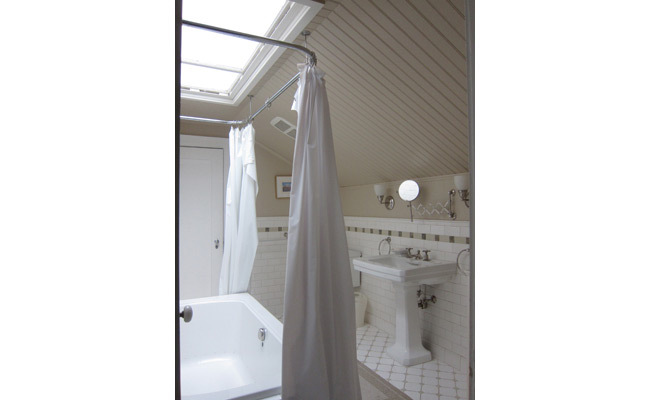 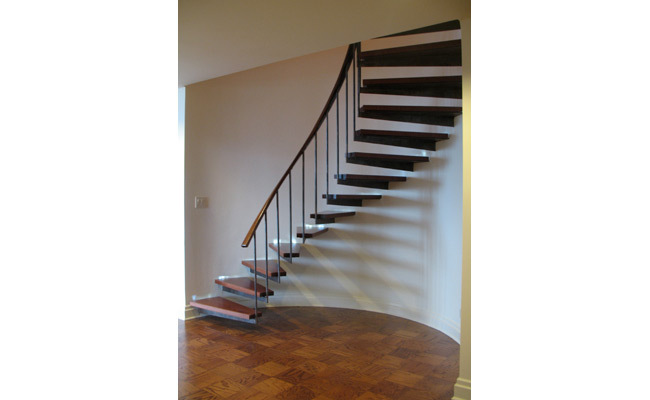 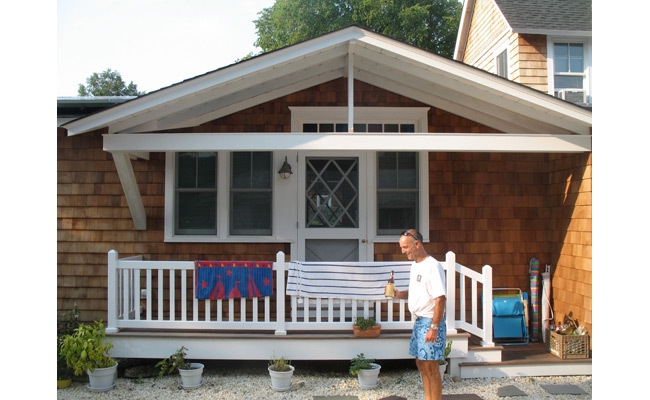 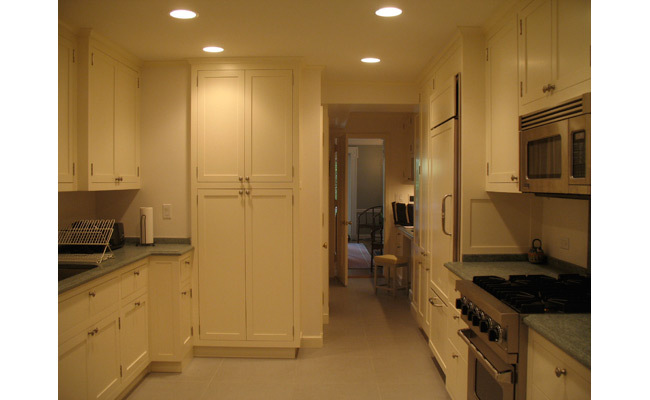 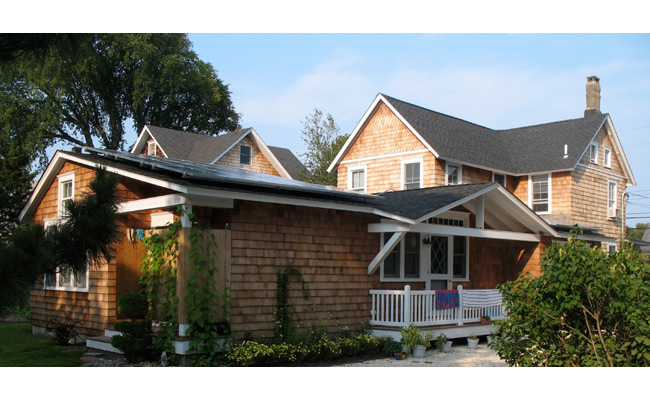 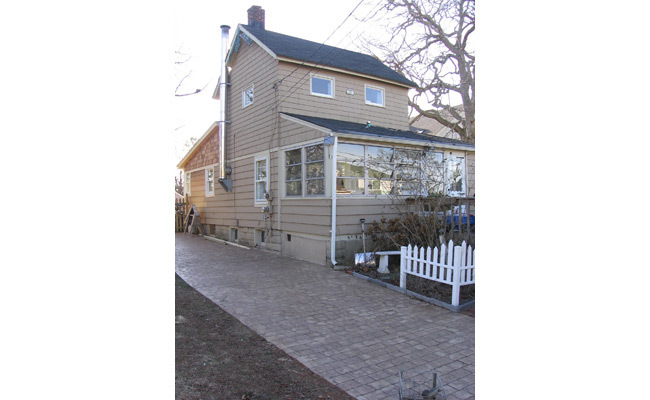 This project was performed pro bono for a retired schoolteacher couple in an historic Jersey Shore village. 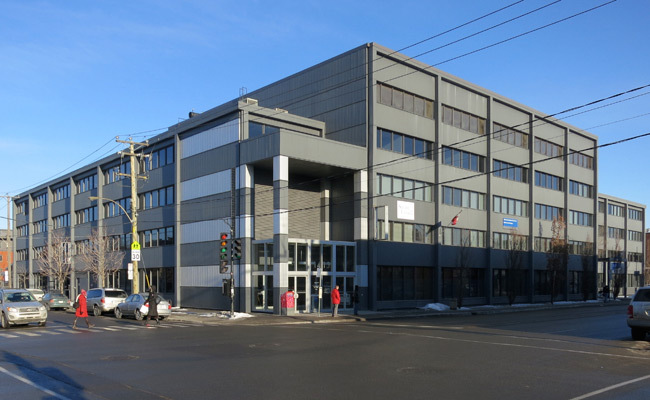 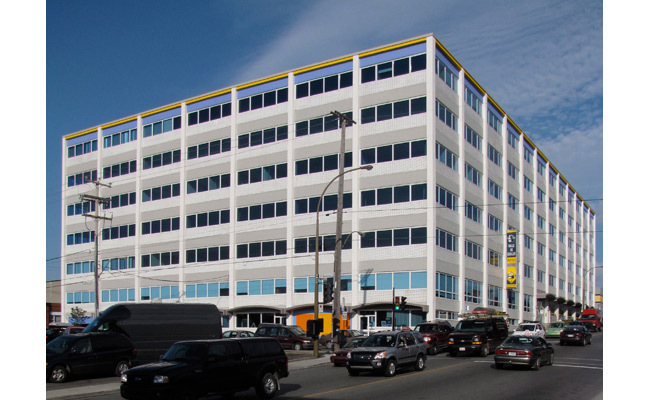 This office building in Montréal, Canada was constructed in 1965. 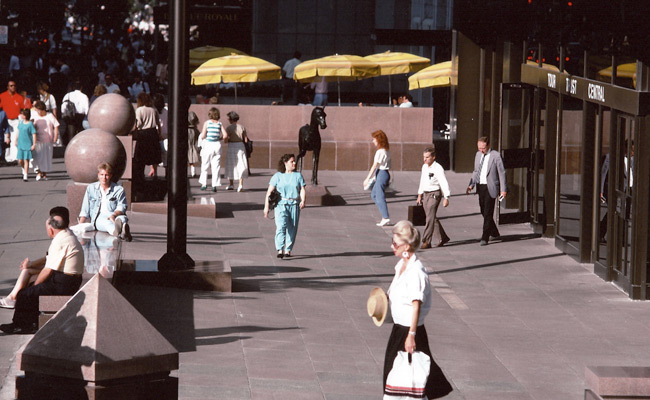 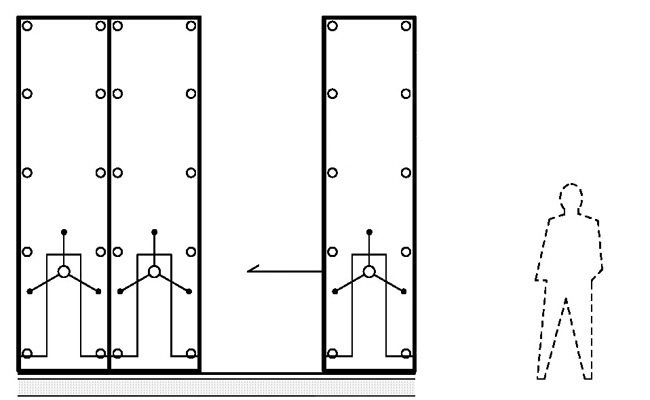 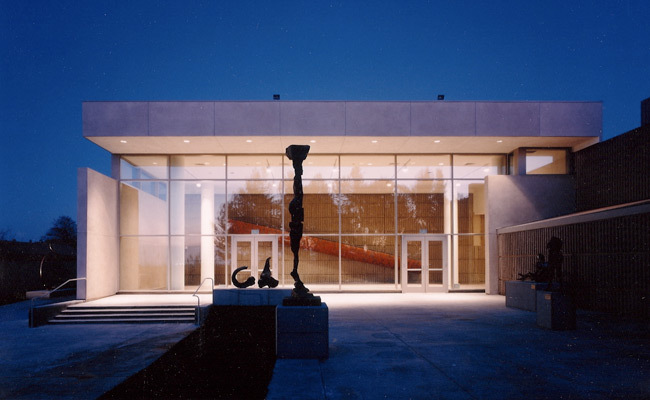 Archimuse designed the renovation of the exterior curtain wall facade in 1988, including the addition of a new entrance vestibule with a glass ceiling, and the renovation and enlargement of the entrance lobby. 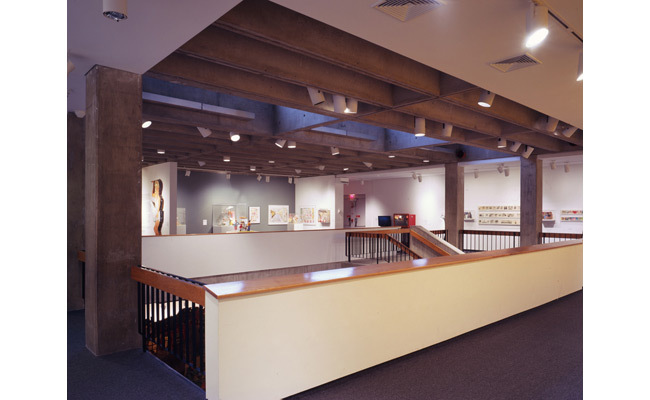 The focus of this gallery, located in the Fuller Building, is art and artifacts from ancient Egypt and Persia. 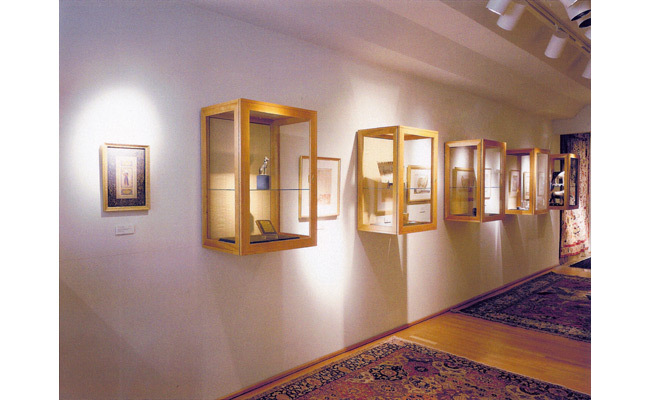 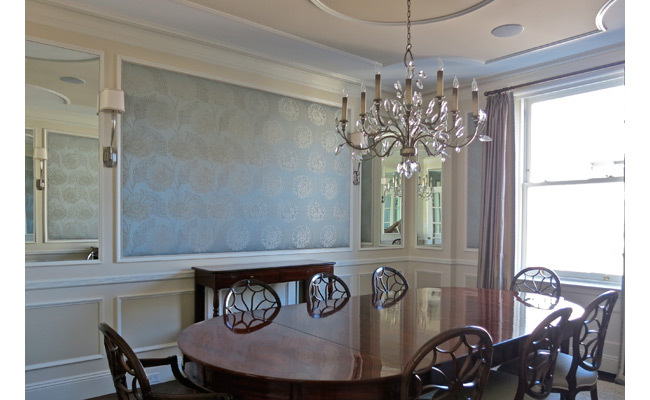 The design solution required a combination of custom wall mounted vitrines and wall space for paintings, works on paper and textiles. 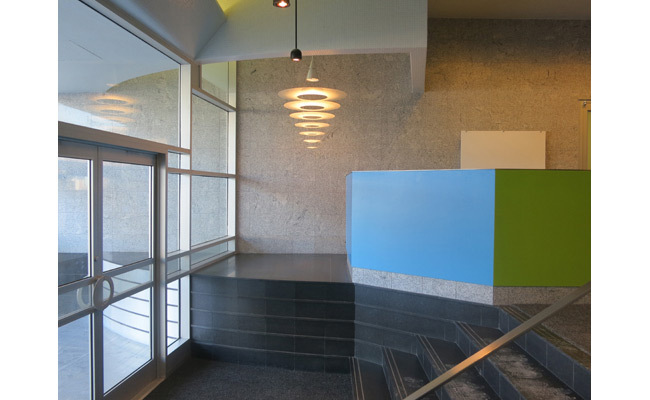 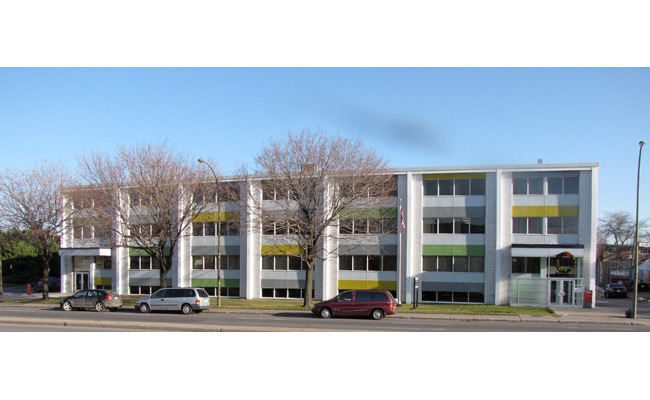 Built in 1964 for textile manufacturing, and converted into an office building, including fully renovated base building lobby and toilets.Exterior color scheme was designed byArtist Richard Peruse, including a minimalist mural facing the street. 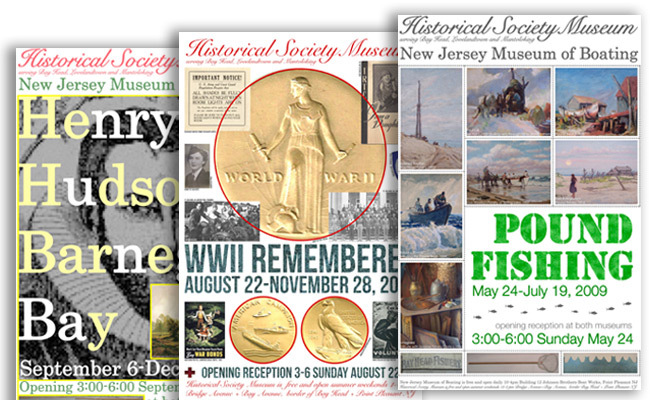 Archimuse had been providing architectural services to the Star-Ledger, New Jerseys’ largest newspaper, since 1992. 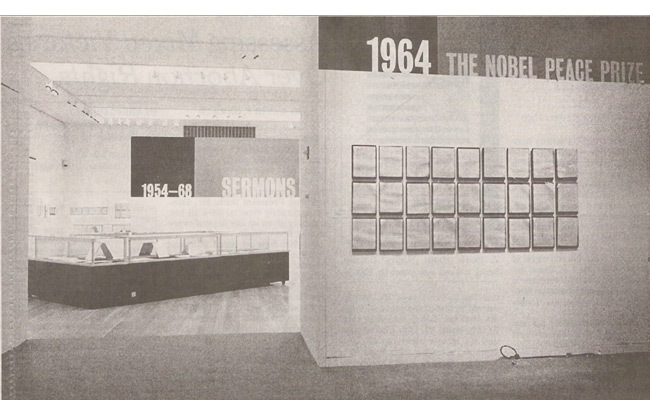 The departments of the newspaper that have been designed by Archimuse including accounting, advertising, circulation, credit, human resources, and the Star-Ledger’s state of the art newsroom. 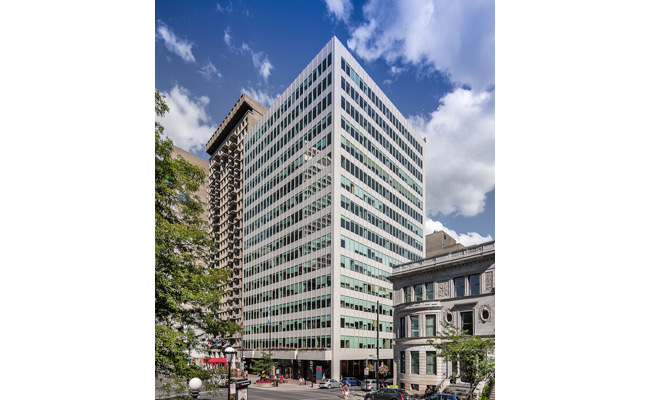 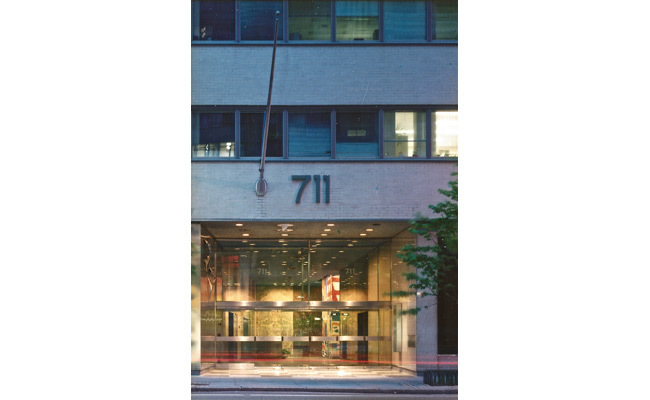 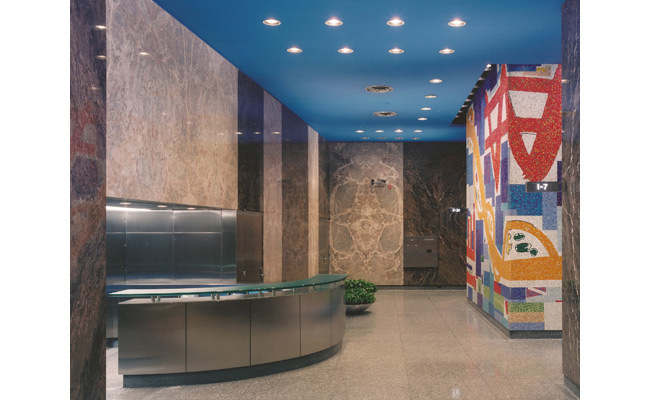 This 1966 office building received a new, accessible elevator and a facade of glass mosaic tile in various colors, painted concrete, and insulating glass. 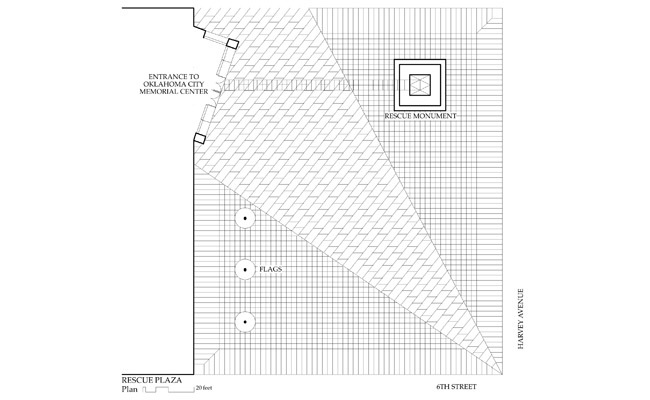 The Oklahoma City Memorial is a sacred precinct. 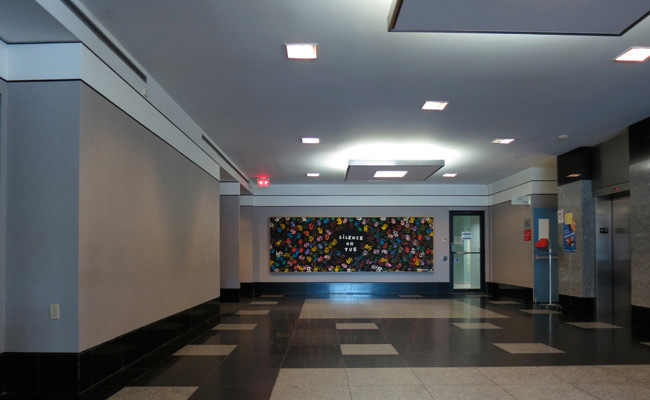 The Monument to Those Who Died is made of one hundred and sixty-eight cast glass columns that form an ellipse on the ground where the Murrah Building spilled onto 5th Street. 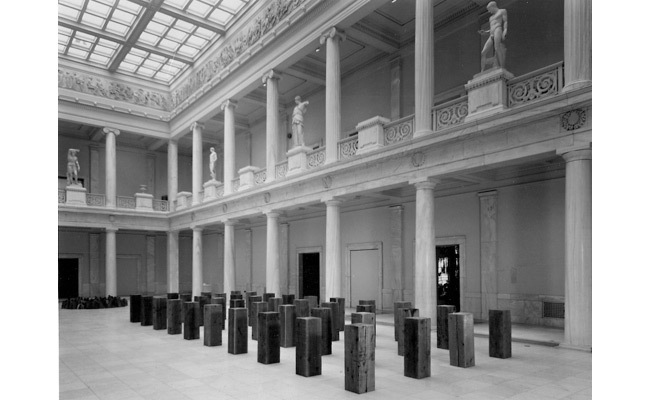 The columns surround a reflecting pool of water, and a ceramic marker, cast from the red clay of Oklahoma, floats inside each fourteen foot tall column. 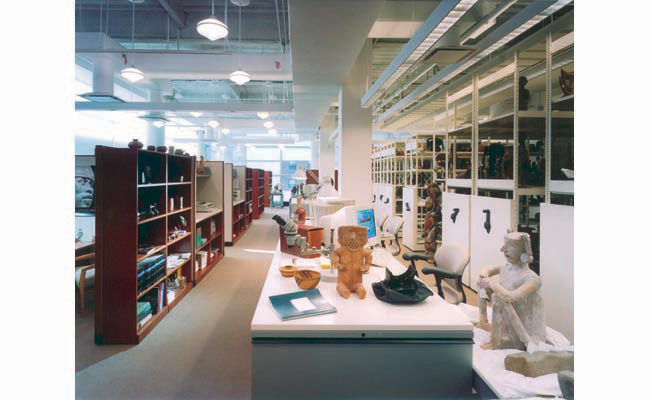 The position of each ceramic marker is determined by the age of the victim, and together they scribe a rising line from youngest to oldest. 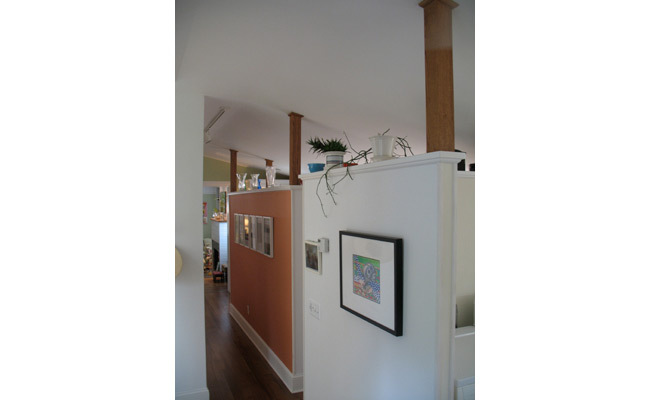 Columns of pregnant women contain two forms. 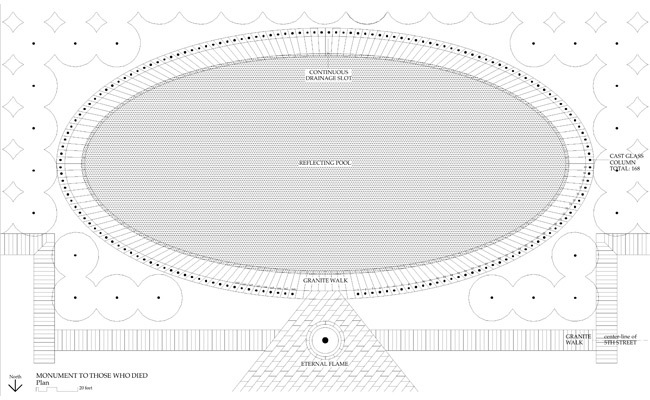 The Eternal Flame at the apex of the ellipse illuminates each glass column by means of fiber optics. 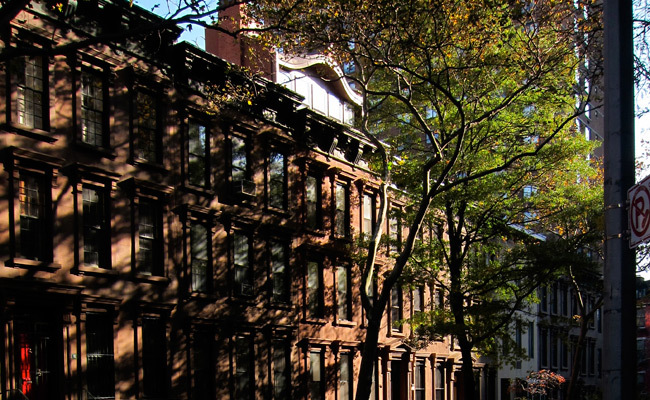 Shimmering by day, glowing by night, the columns ensure that the memory and spirit of those who perished will always illuminate the City. 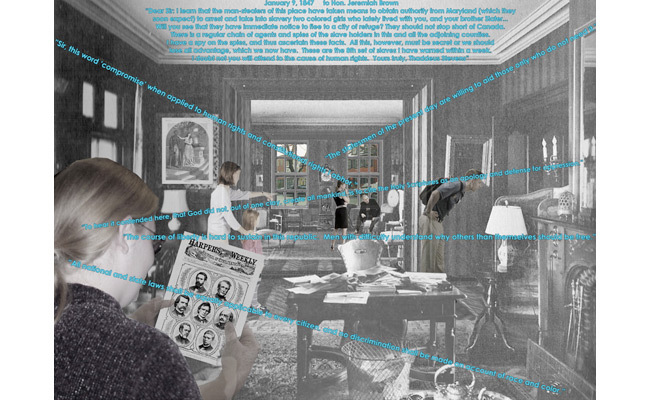 The survivors continue the task of recovery they began in the horror of April 19th. 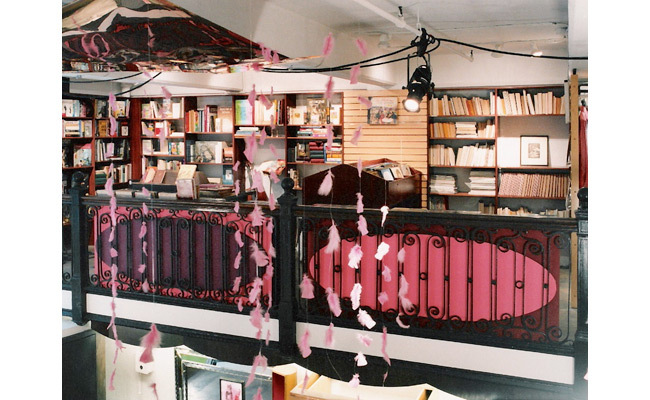 They bear witness for all of us, for all time. 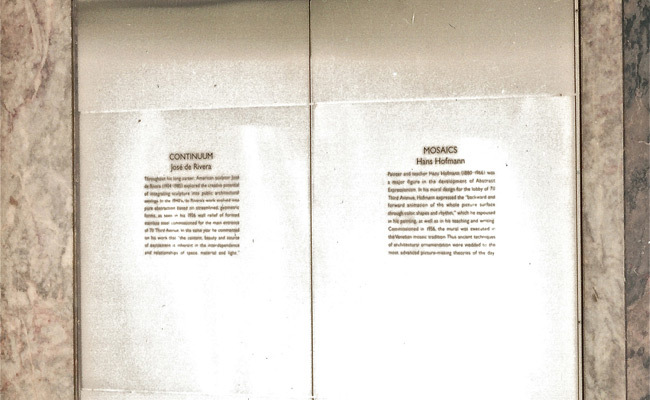 Names are inscribed on the white marble Survivors Wall, at the south side of the Journal Record Building near the Survivor Tree. 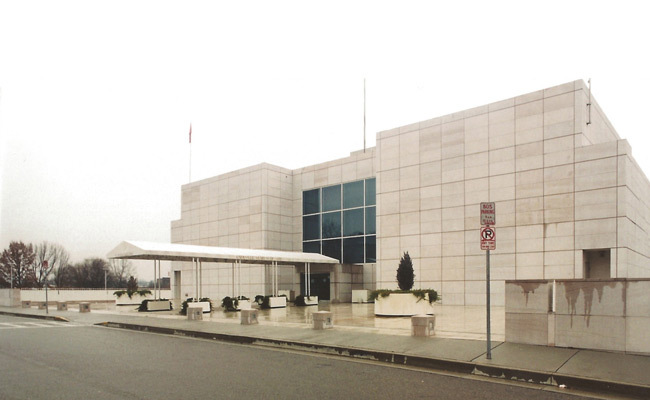 Rescue Plaza is the formal entrance to the Oklahoma City Memorial. 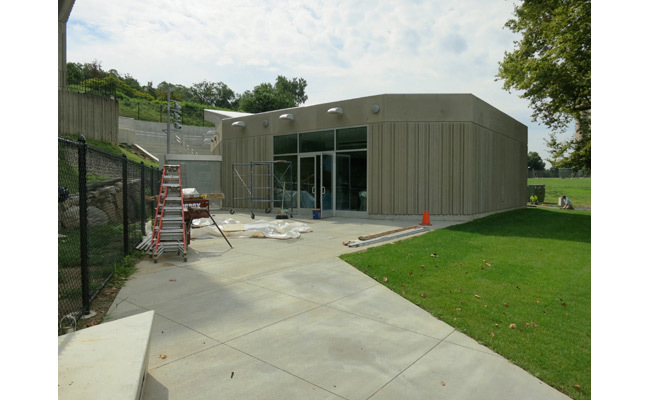 Its open space provides an opportunity for visitors to prepare for the contemplation of the Memorial. 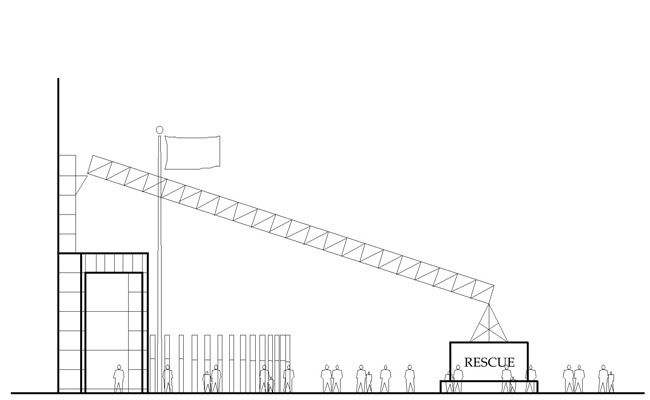 The Rescue Monument evokes a crane boom, and it forms an entrance arch by being attached to the facade of the Oklahoma City Memorial Center. 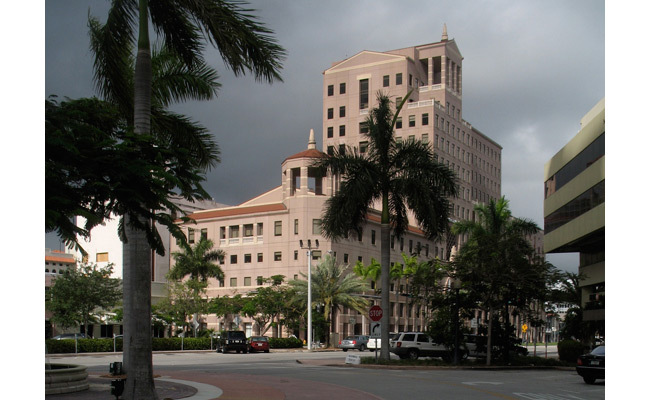 The mandate of this institution, to prevent future terrorism, is a hopeful rescue of the future from the horrors that have been witnessed at this site, and it manifests the will to triumph over evil. 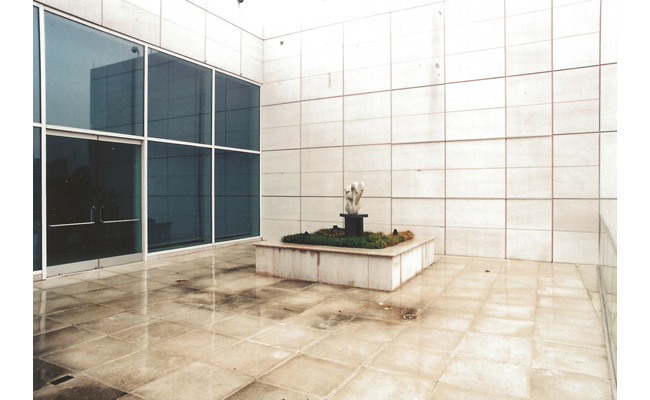 The people of Oklahoma City, through their manifold acts of grace and heroism, and by their commitment to civic values in building this place of witness and memory, act as one to repair a shattered world. 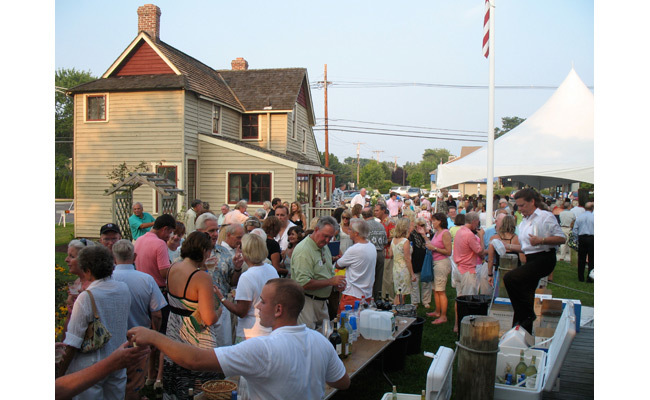 Bay Head, developed in the 1880s, was recognized as an historical district by the State Historic Preservation Office of NJ on November 18, 2005. 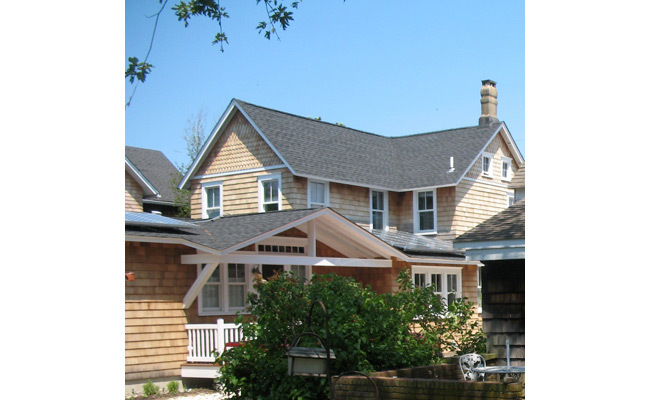 The two story garage on an alley is in the particular regional variant of shingle style characteristic of this Jersey Shore village at the head of the Barnegat Bay. 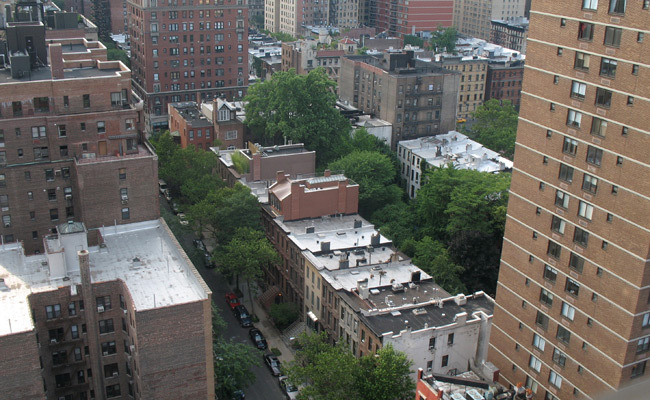 A large percentage of Syrian Jews emigrated to the U.S. during the first half of the 20th century, and Brooklyn has the largest Syrian-Jewish community, estimated to comprise 75,000 people. 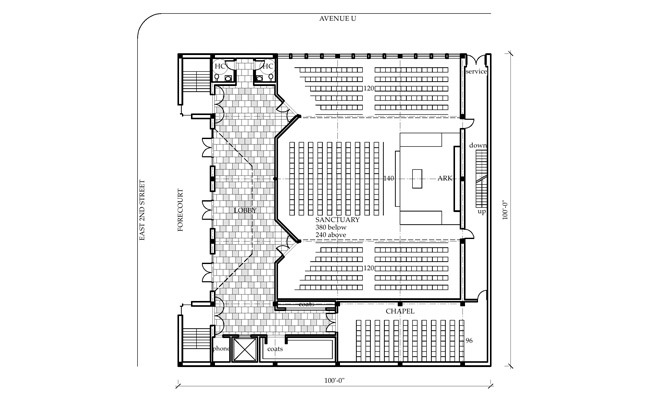 The synagogue was designed for this Brooklyn congregation to blend into the early twentieth century architecture of its context. 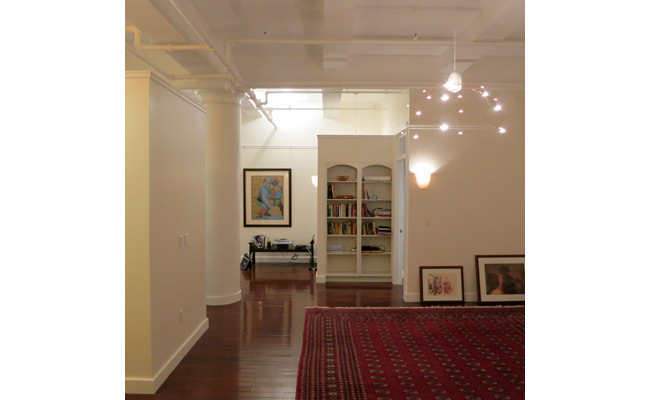 Built in 1910, this downtown Fifth Avenue loft building has 12' ceiling heights with majestic interior Doric style columns providing the architectural punch taken full advantage of by the 2012 renovation. 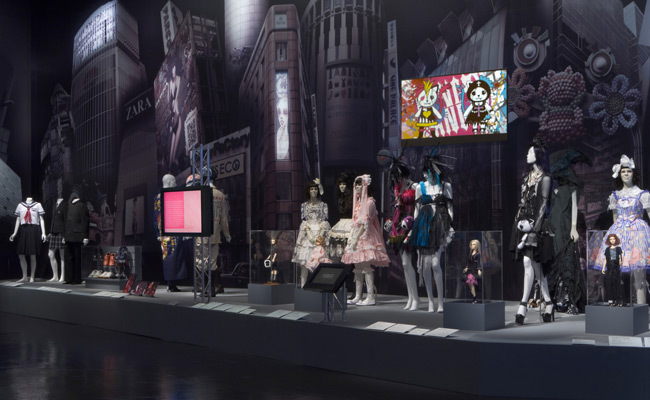 Japan Fashion Now was installed from September of 2010 through February of 2011. 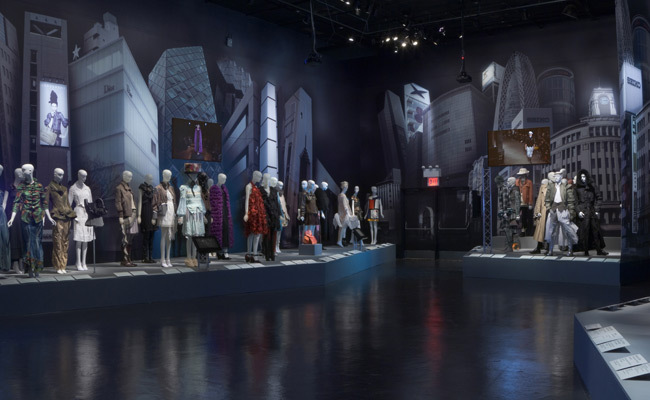 Retooling the skylines of the city with a “blade runner” atmosphere captured the raucous and almost unchartable fashion scene of Tokyo. 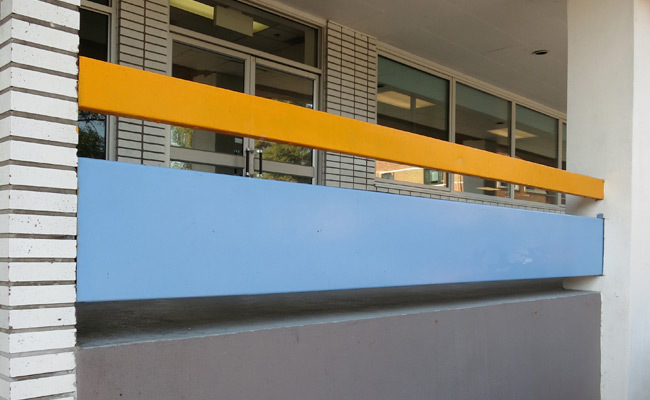 Media of various types from frozen and moving projections to animated text panels partnered well with the urban sense and the juxtaposition of remarkable fashions of all schools. 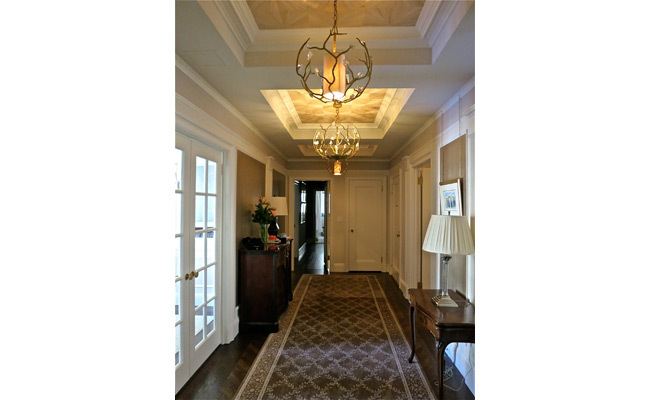 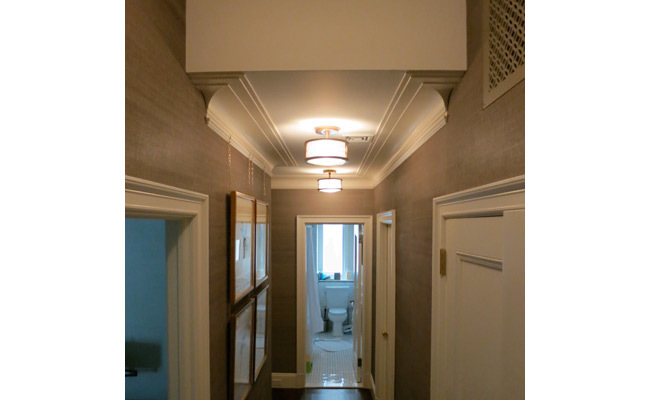 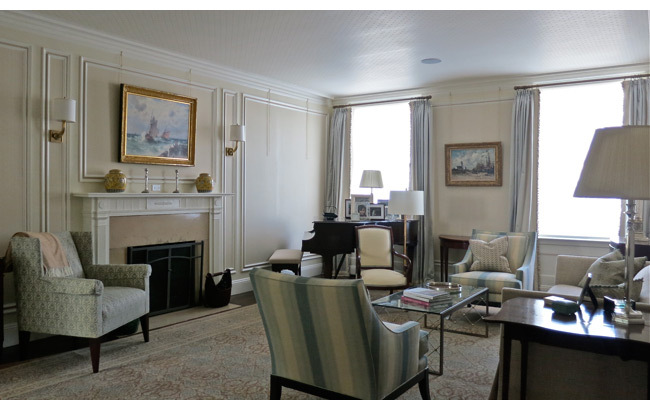 This was a careful restoration of a classic nine room apartment in a Fifth Avenue building designed by a leading prewar high-rise apartment building architect, John E. R. Carpenter. 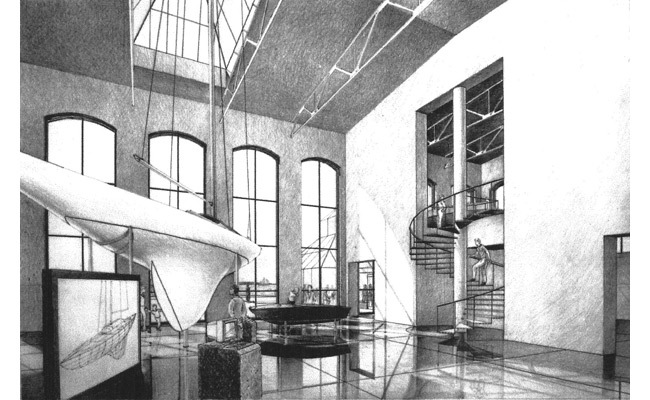 Carpenter studied architecture at MIT in Boston and the École des Beaux Arts in Paris; his work was described in The New York Times in 1930, as having a "quiet, restful feeling in their large, high-ceiling rooms, the careful finish of detail, the skilled but unobtrusive service." 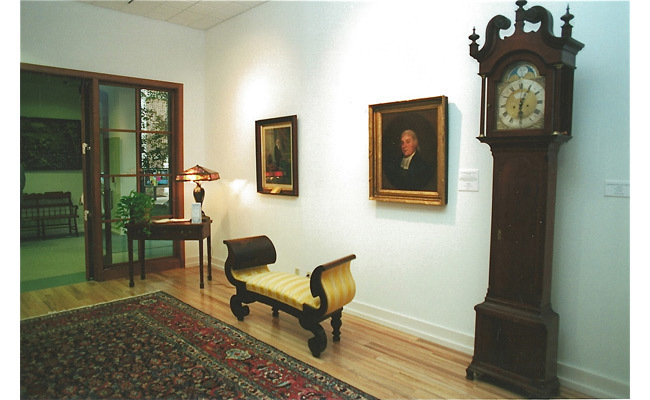 The Archimuse renovation, with decoration by J.D. 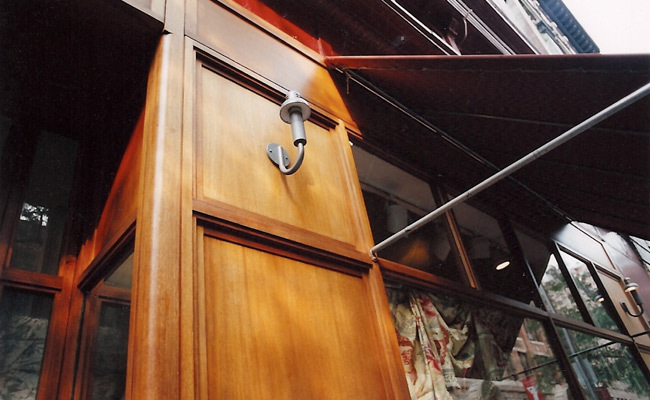 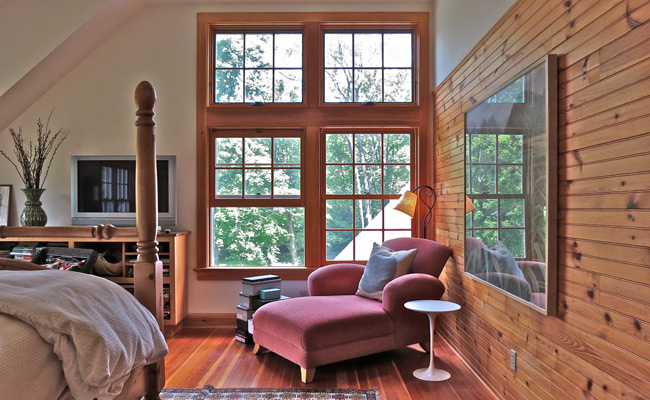 Bell, Inc, honors Carpenter's vision of gracious urban living and included full window replacement, restoring fifteen double hung wood windows with integrated weights and chains.